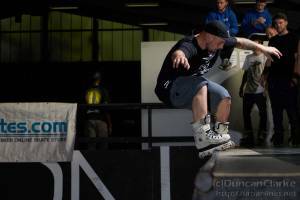 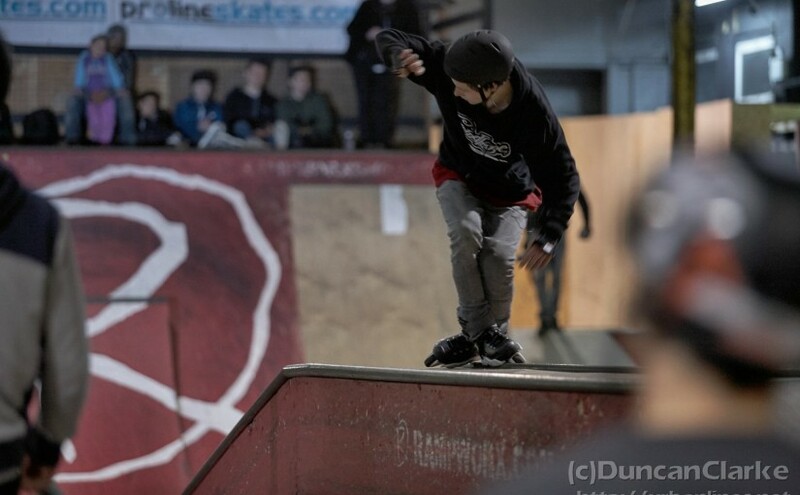 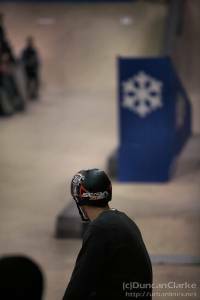 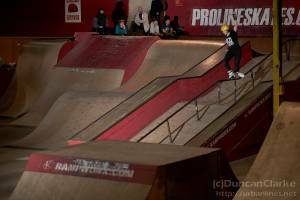 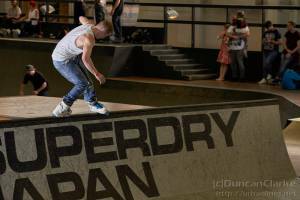 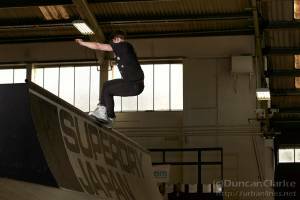 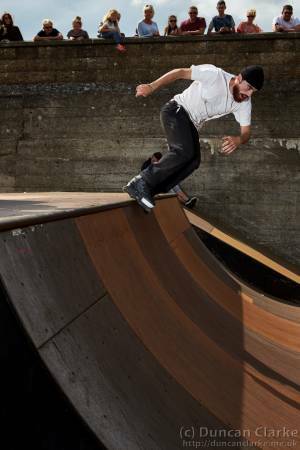 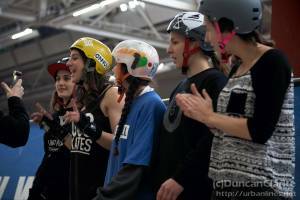 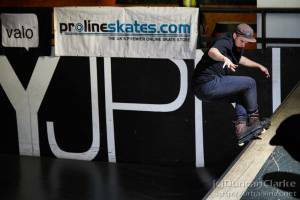 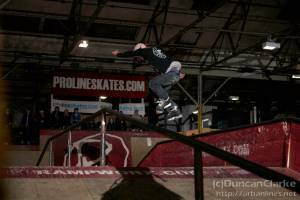 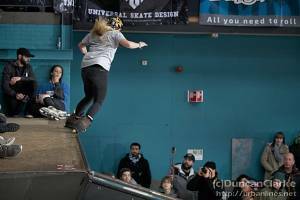 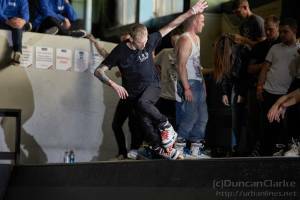 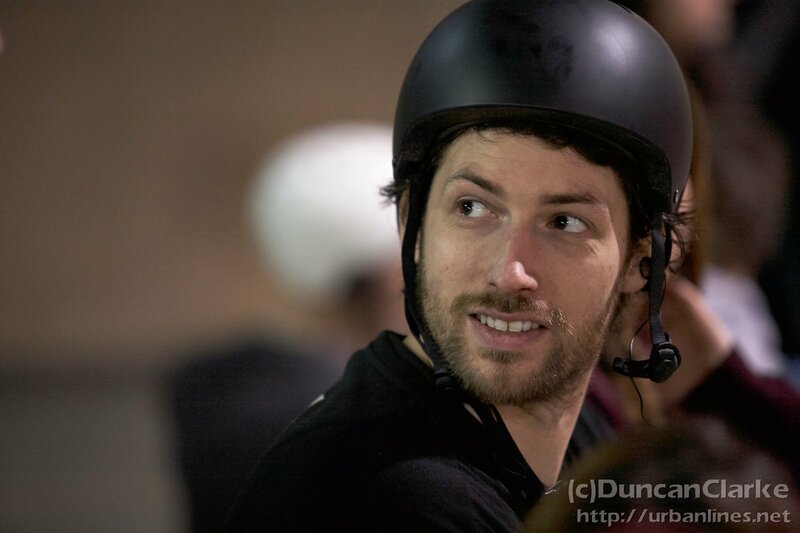 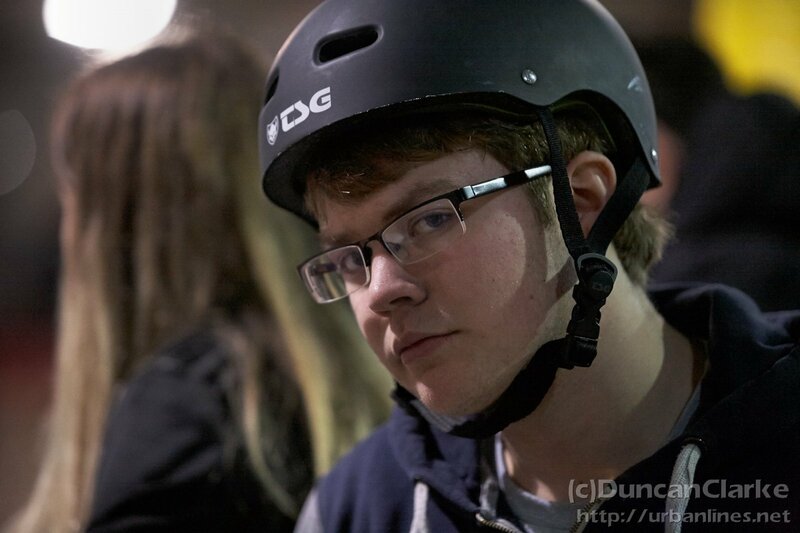 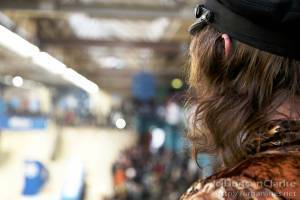 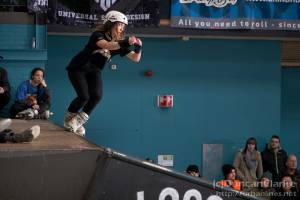 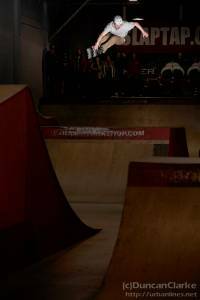 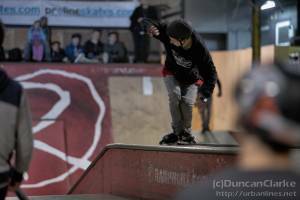 Returning to Adrenaline Alley again for the first big event of the UK calendar with a host of skaters from around the world. Not much to say. 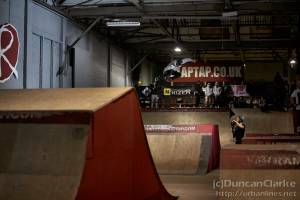 A great friendly event with some amazing skills. 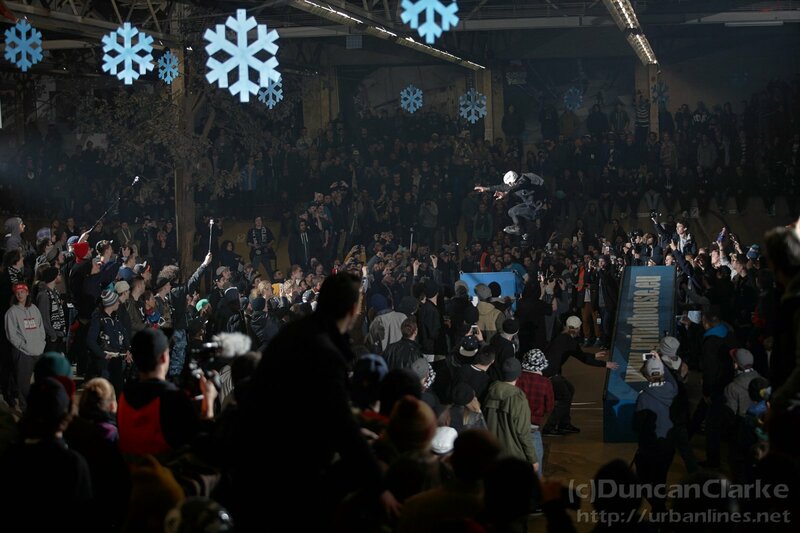 We don’t all get together all that often but when we do, it goes down. 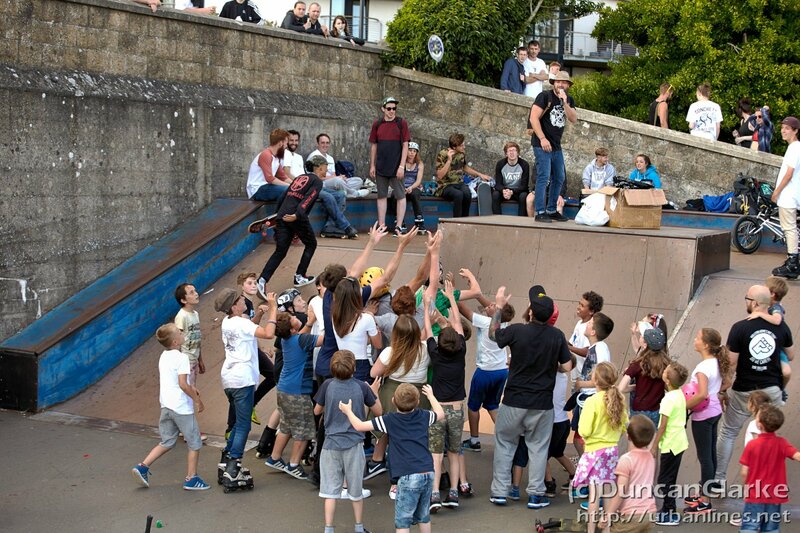 Back to Barry again this year for the Richard Taylor Trophy. 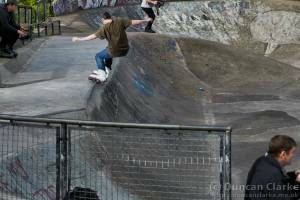 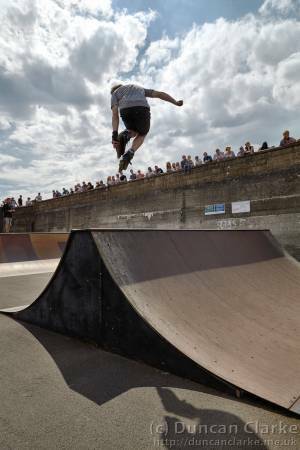 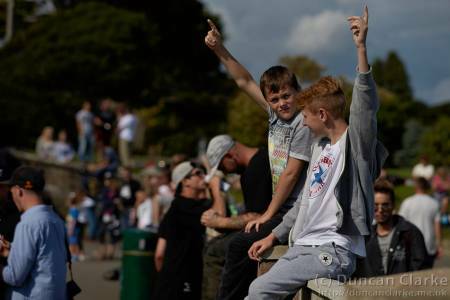 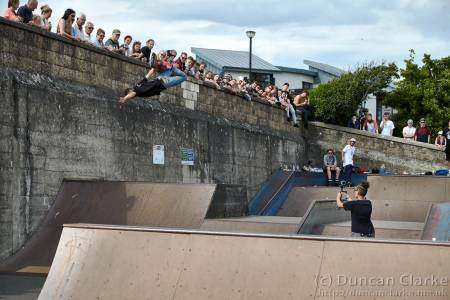 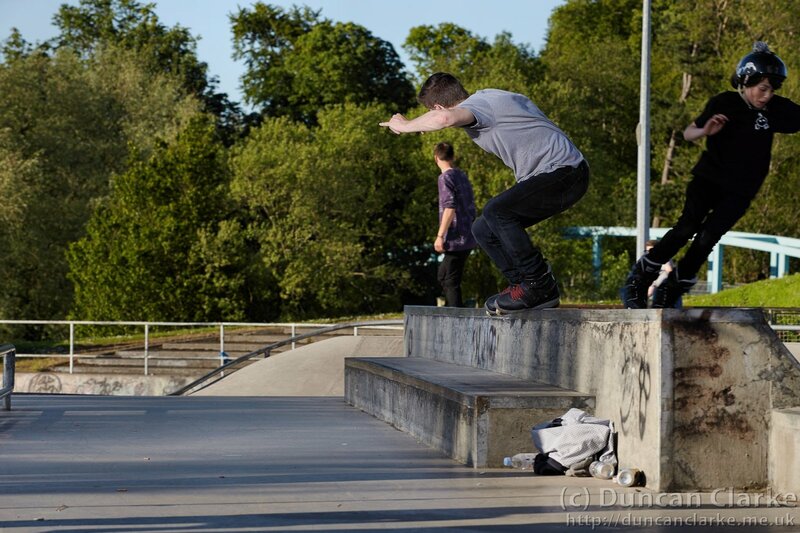 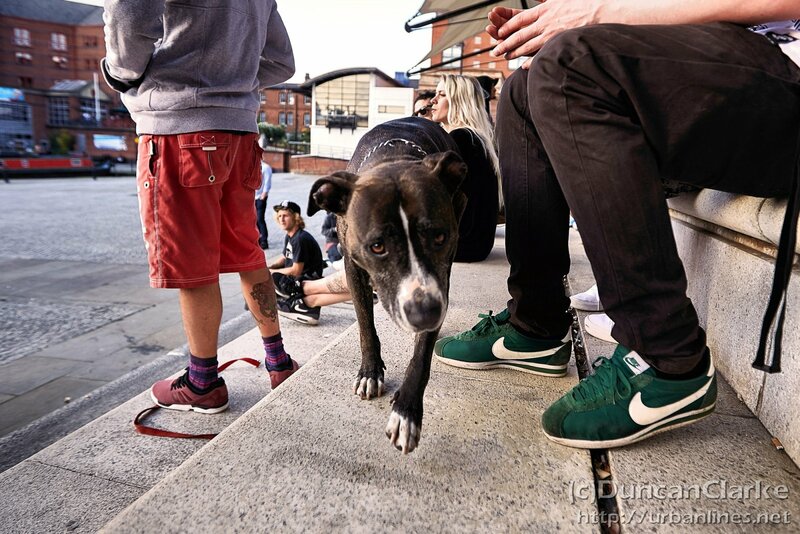 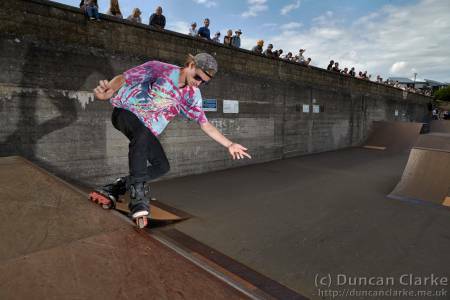 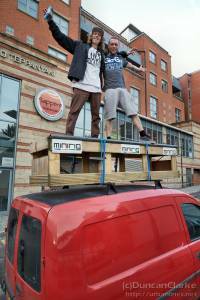 As always it was a great day with loads of people turning up to skate, chill, meet up, relax and generally enjoy the day. 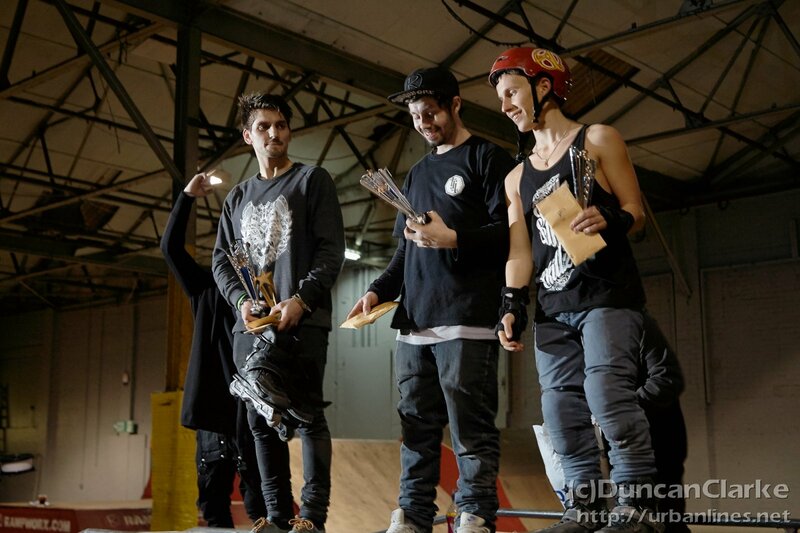 With some competitions and generous prizes thrown in there was something for everyone. 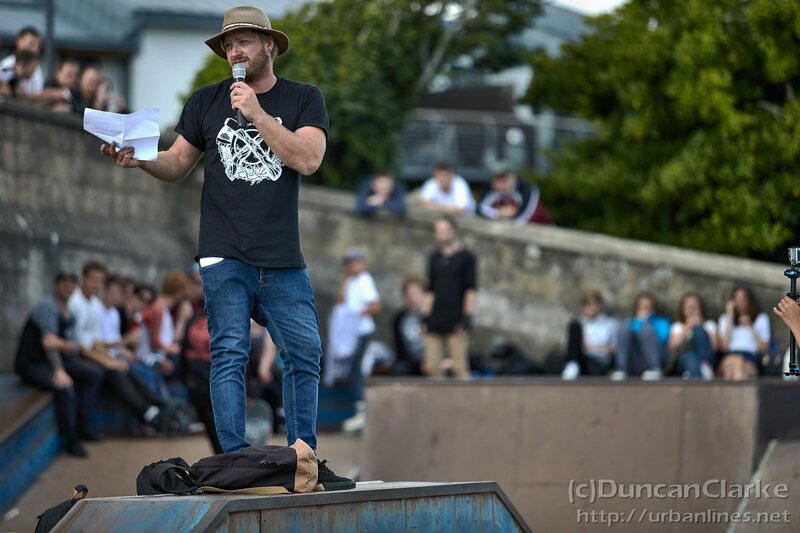 Thanks as always to Gaynor, Rob and all of the locals who put on the event and the sponsors that supported it. A change to the organisation this year but a familiar feel to what is an established and friendly annual event at The House skatepark. 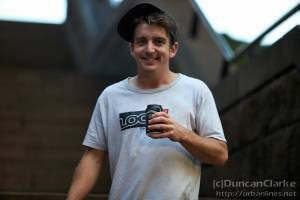 As Noiya were not holding the reins this year it was picked up by Bobby Smith and the local crew of Forged From Steel. 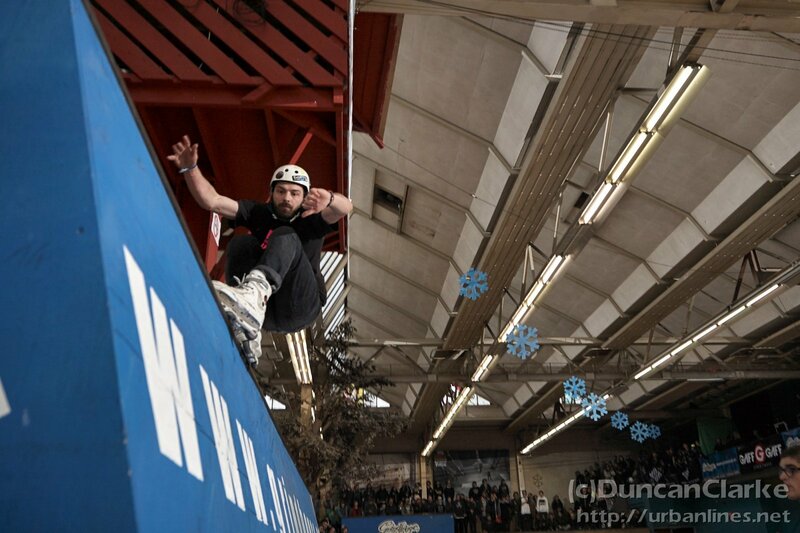 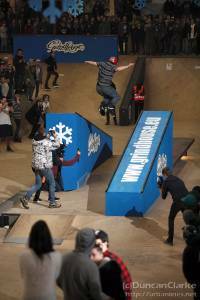 A wholly appropriate moniker for such a down to earth skate session and competition. 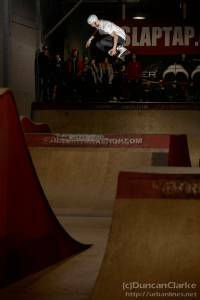 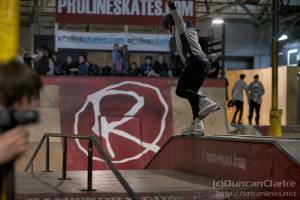 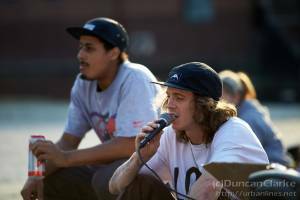 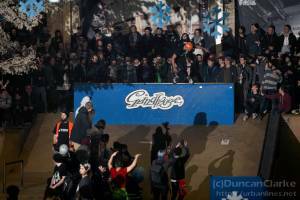 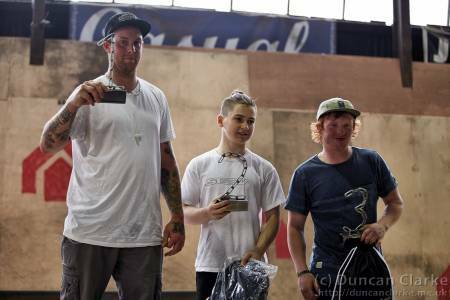 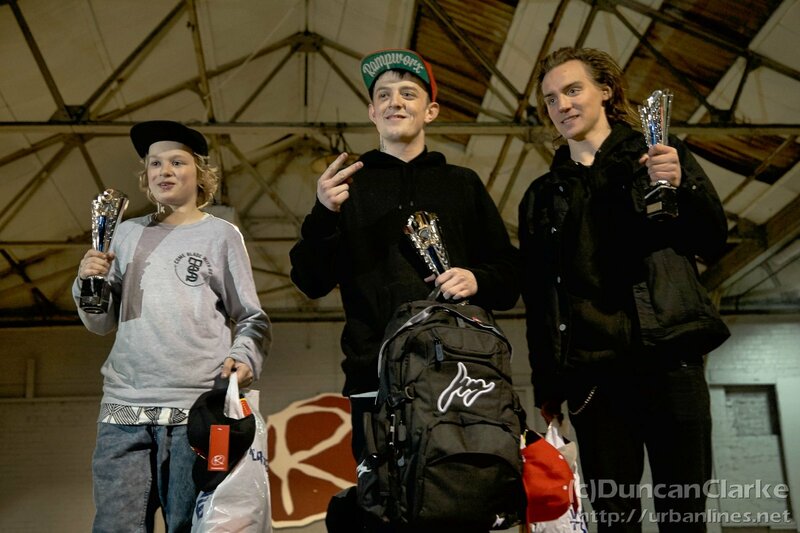 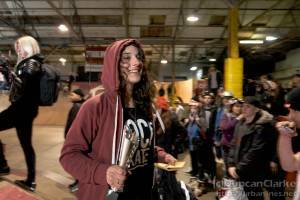 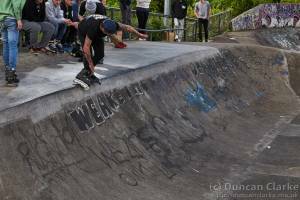 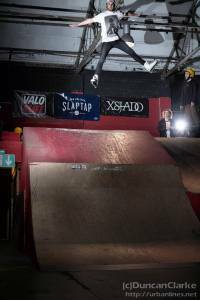 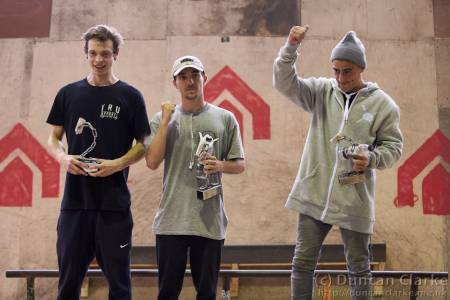 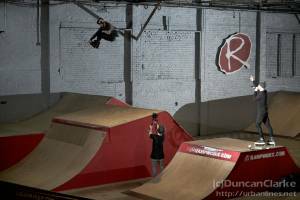 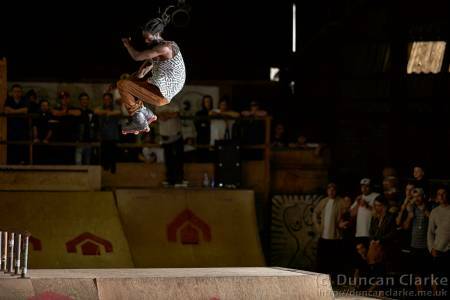 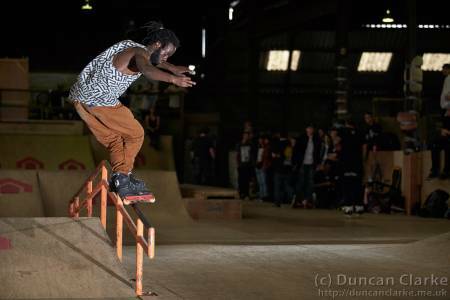 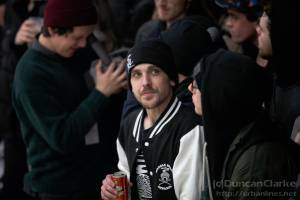 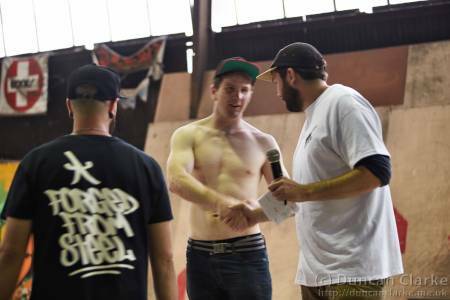 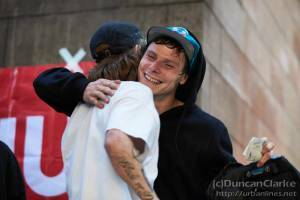 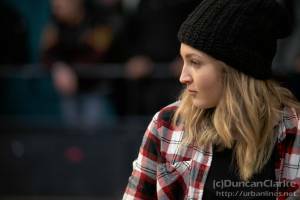 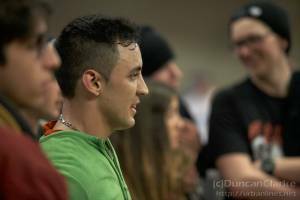 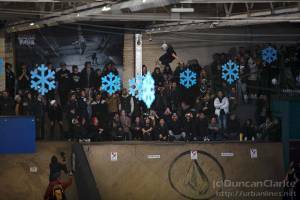 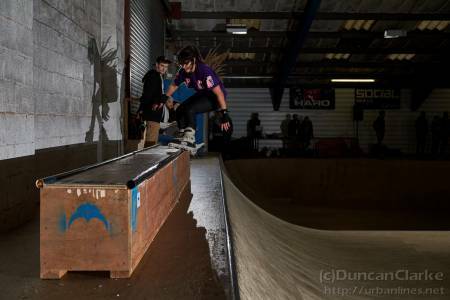 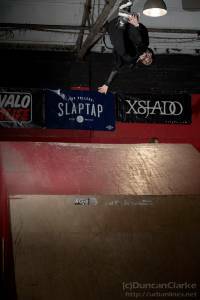 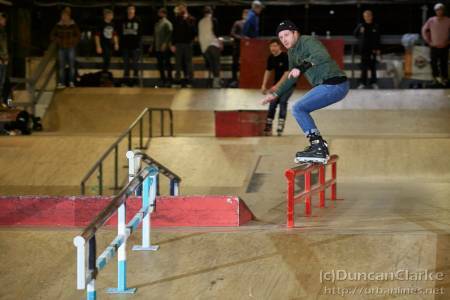 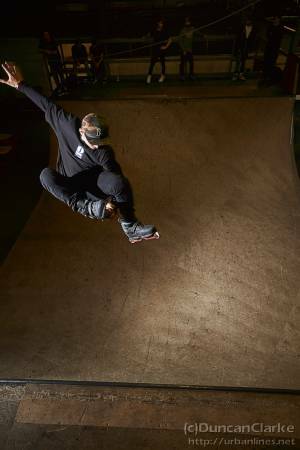 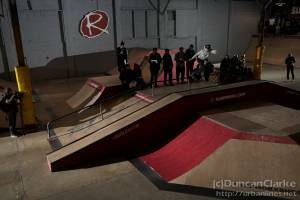 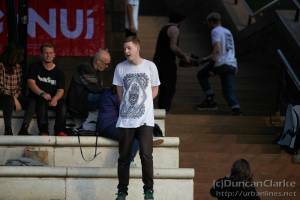 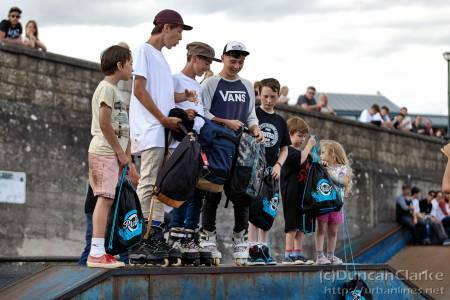 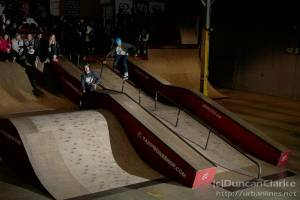 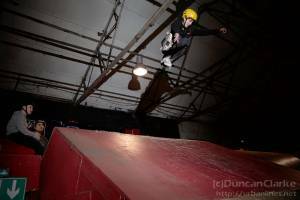 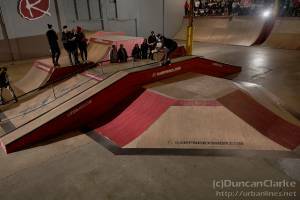 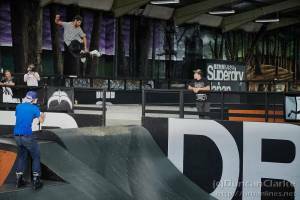 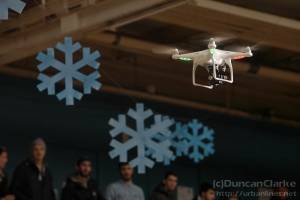 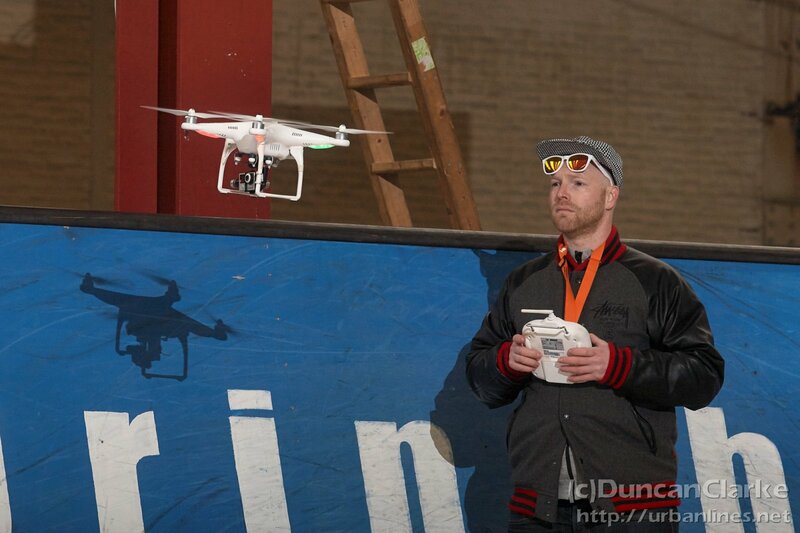 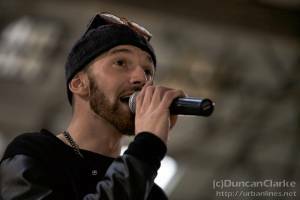 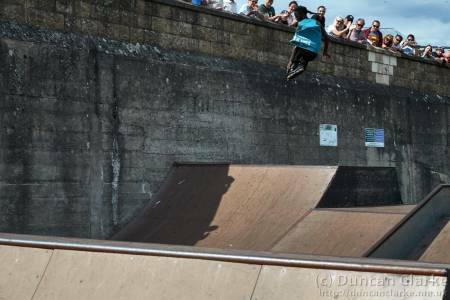 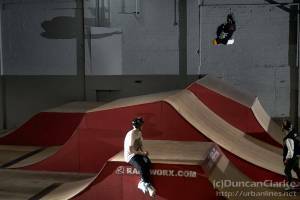 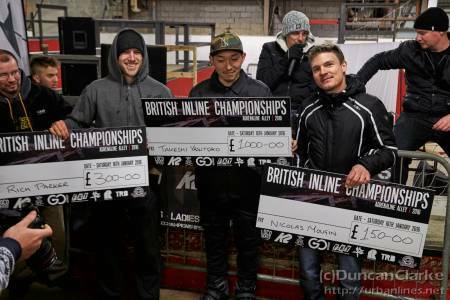 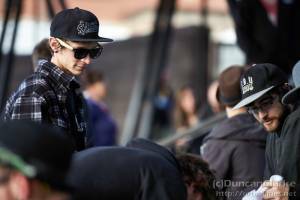 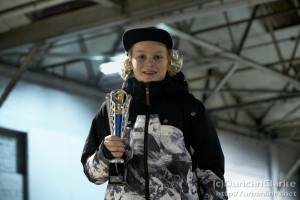 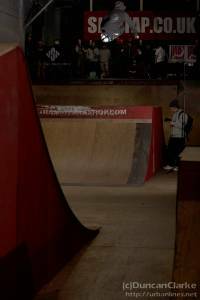 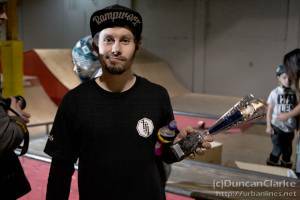 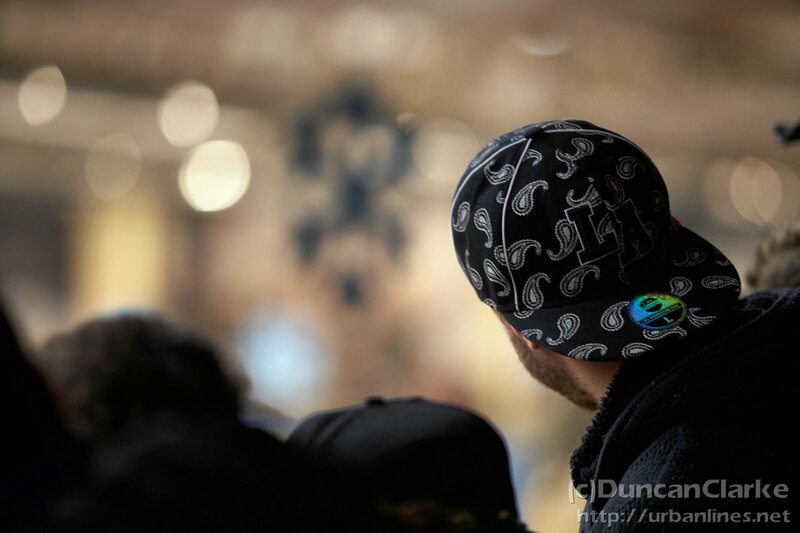 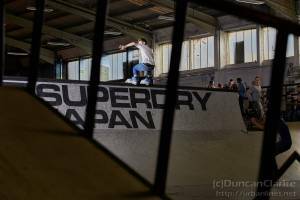 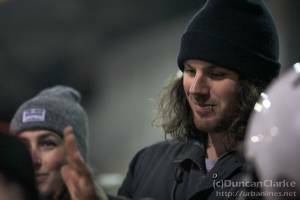 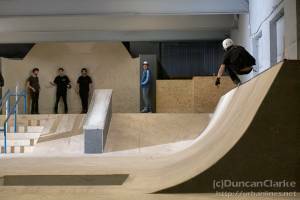 With an impressive $950 in the prize pot and a load of extra goodies shared between the 2 classes and best trick, many turned up for the event but went that extra mile for the prizes. 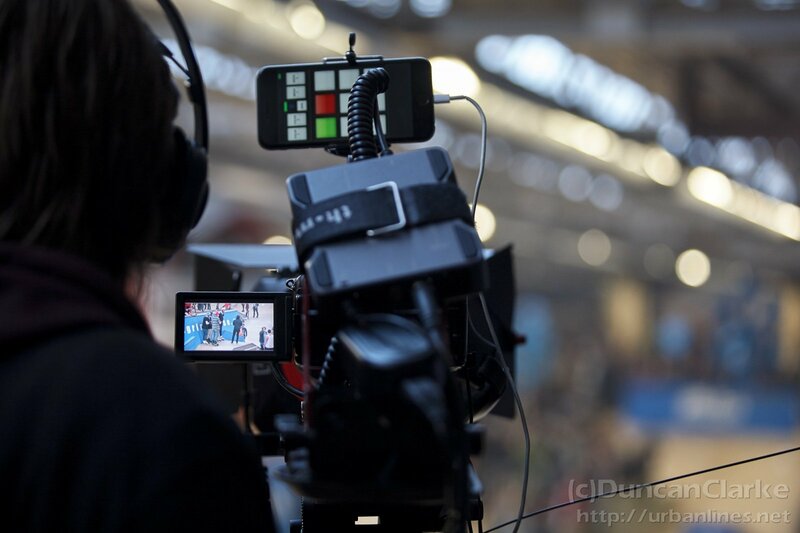 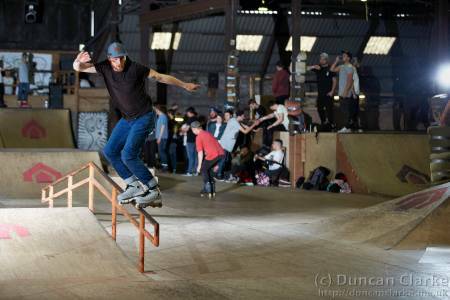 And I thought I’d grab a few clips at the end of the day and put them together too..
On the back of a few popular events came the first Fruit Boot Shootout and it was another great day out. 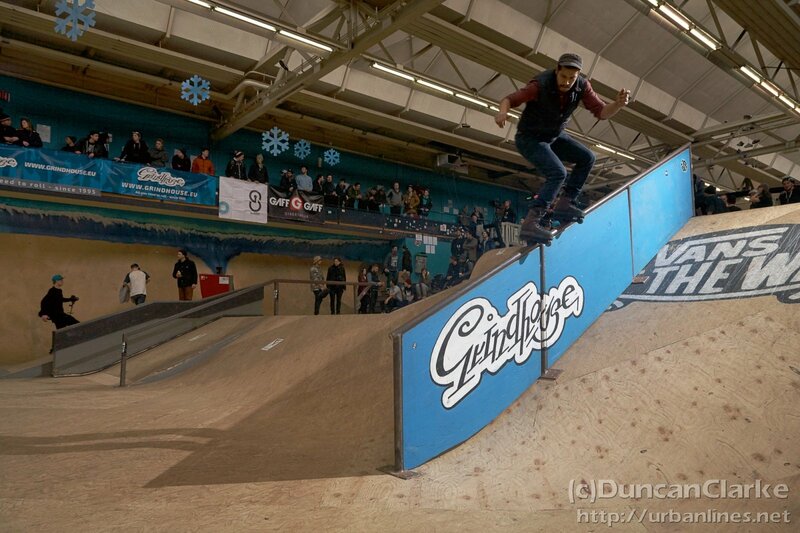 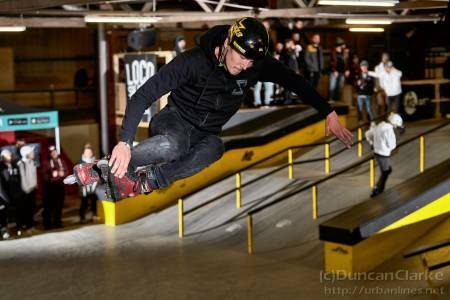 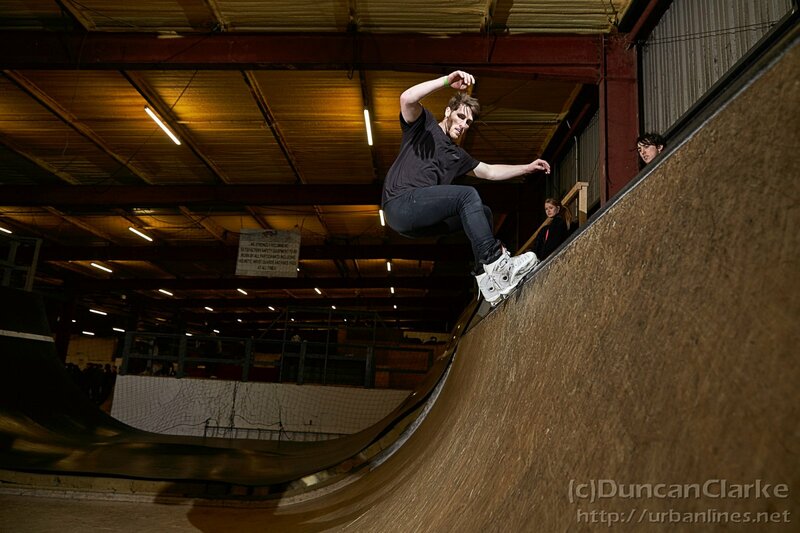 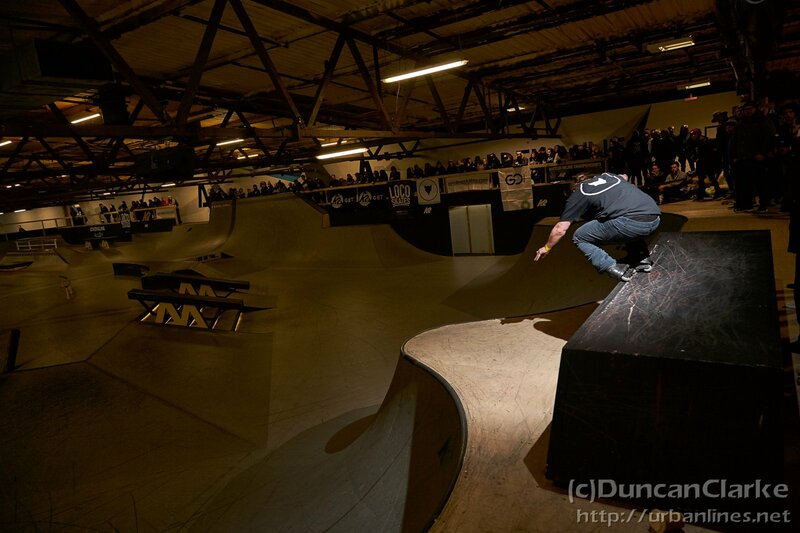 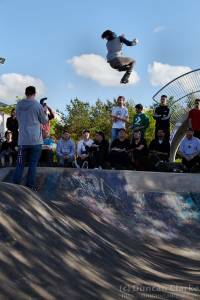 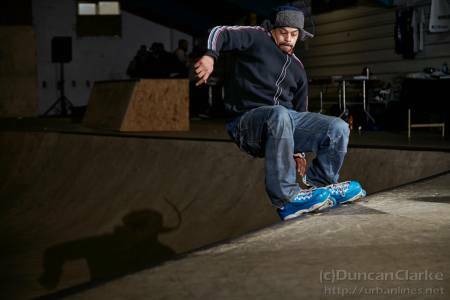 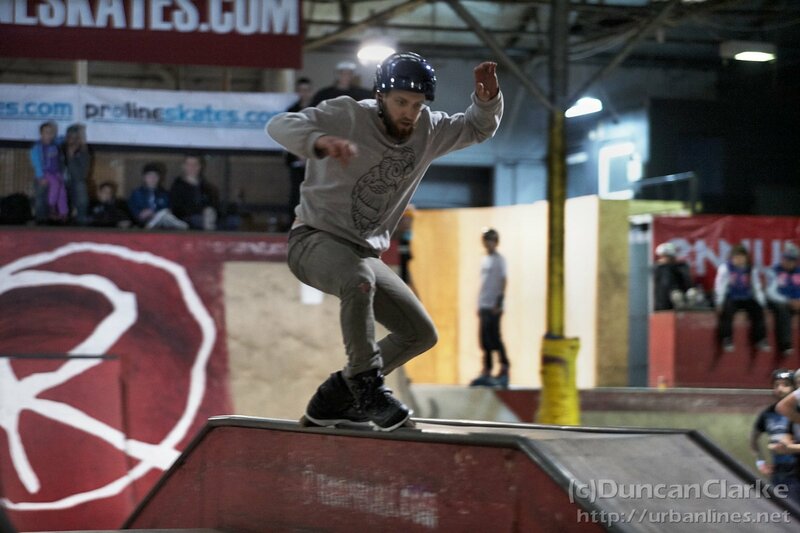 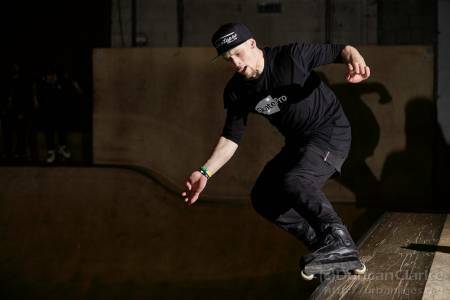 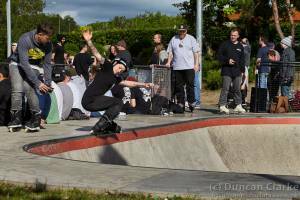 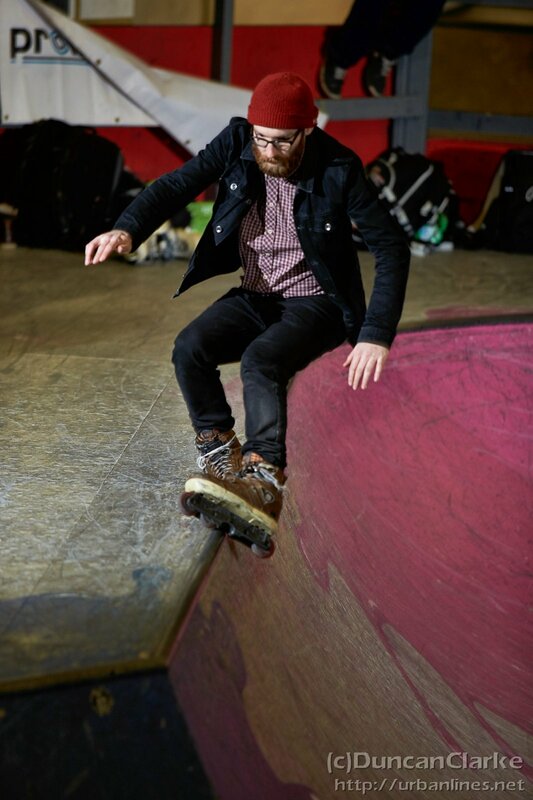 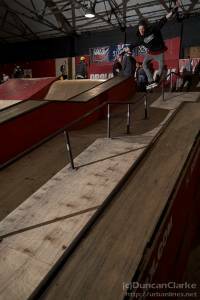 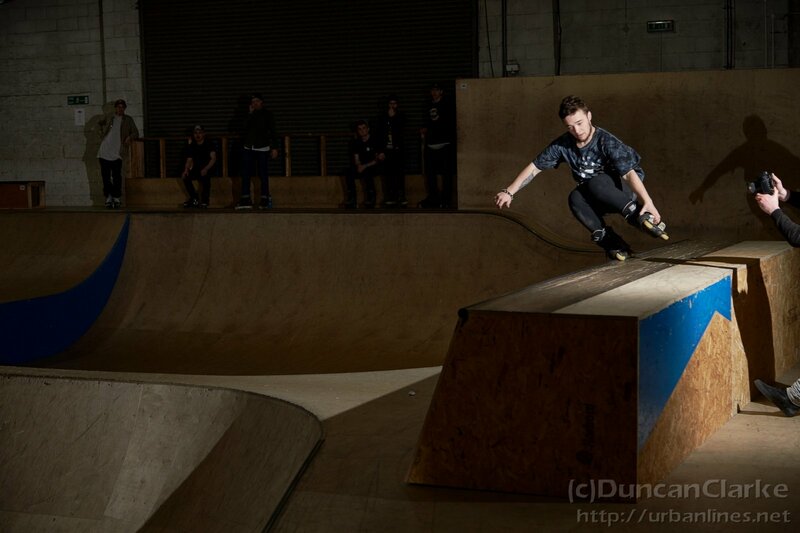 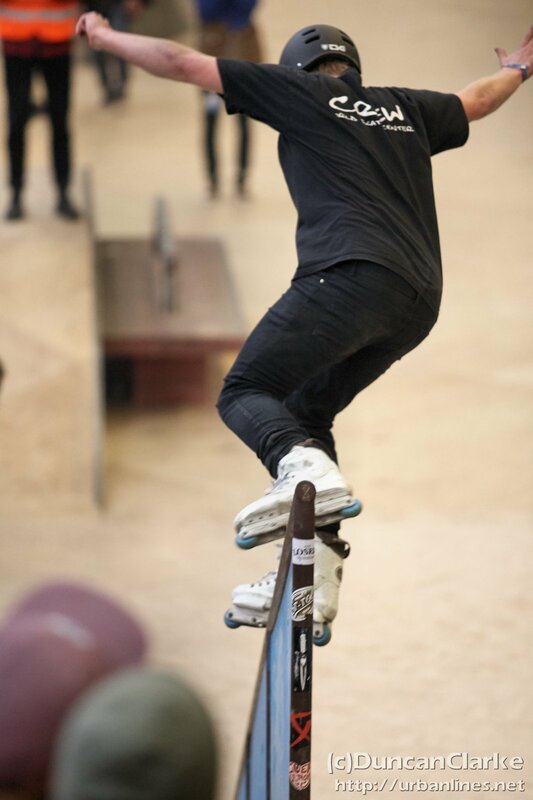 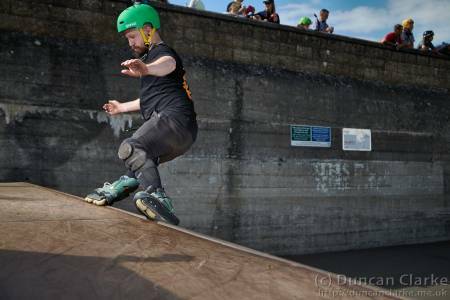 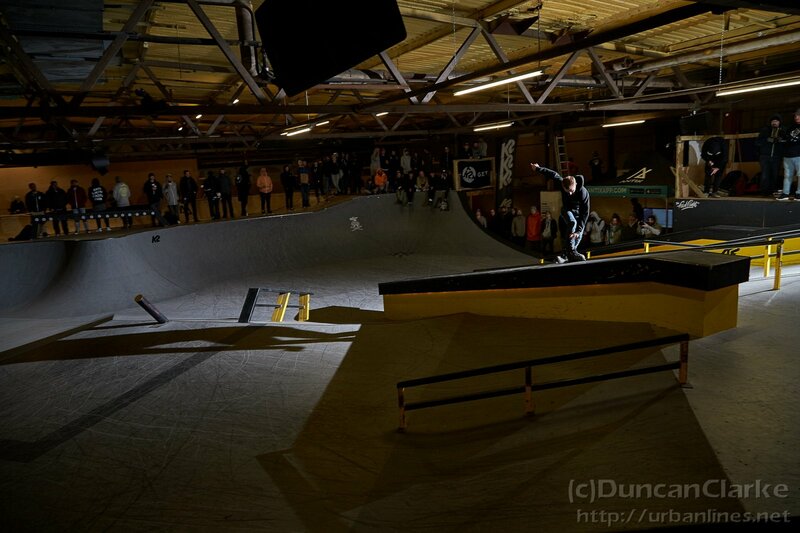 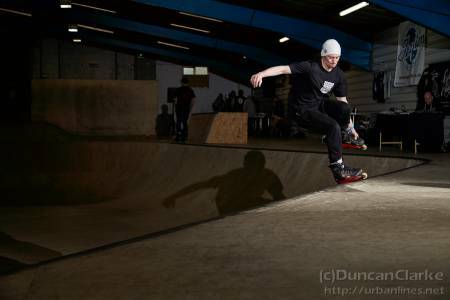 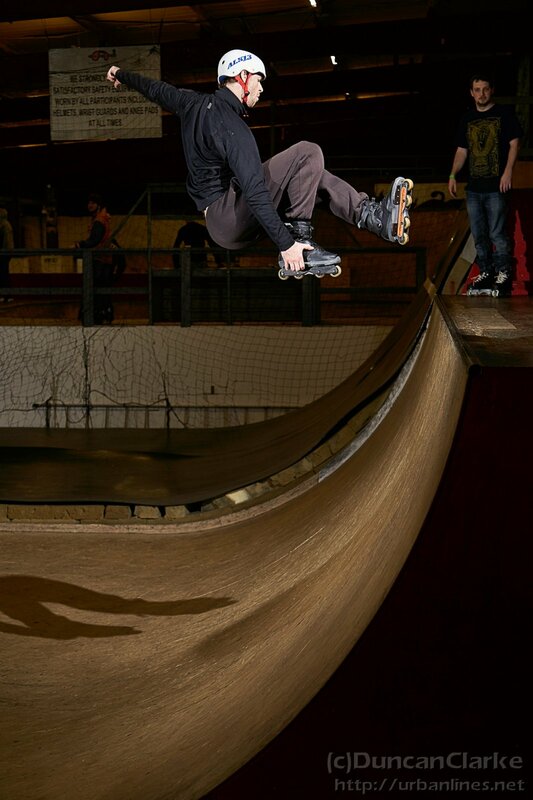 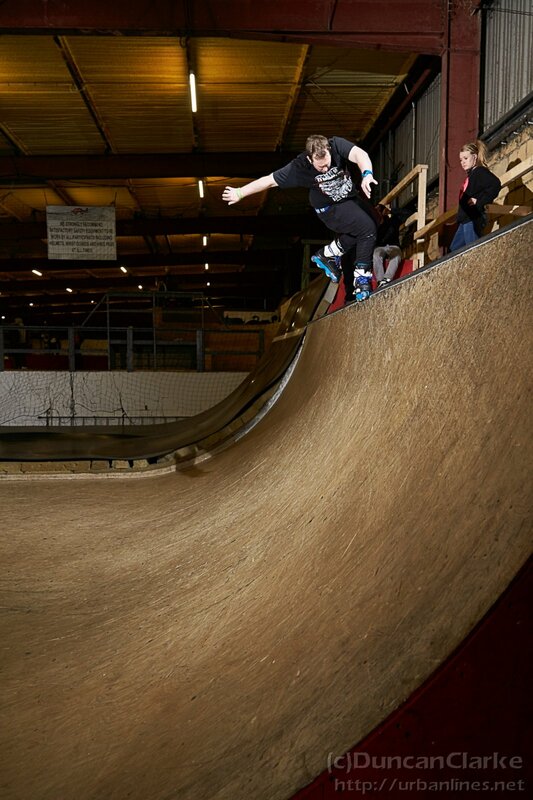 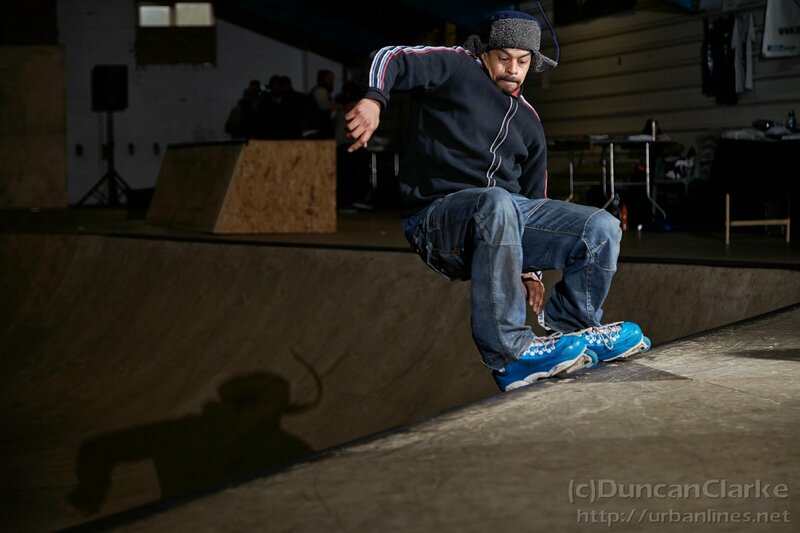 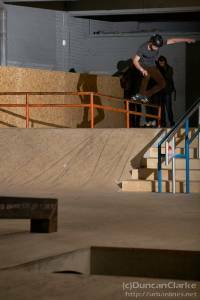 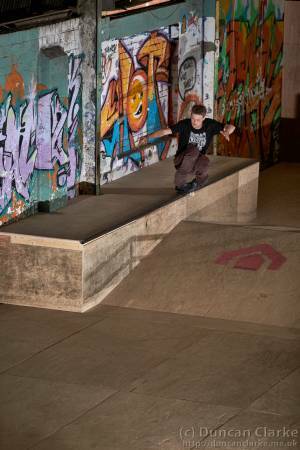 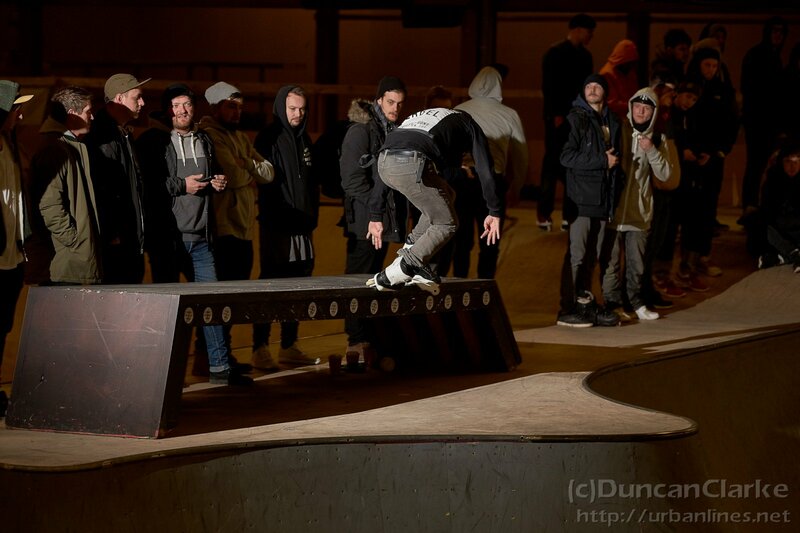 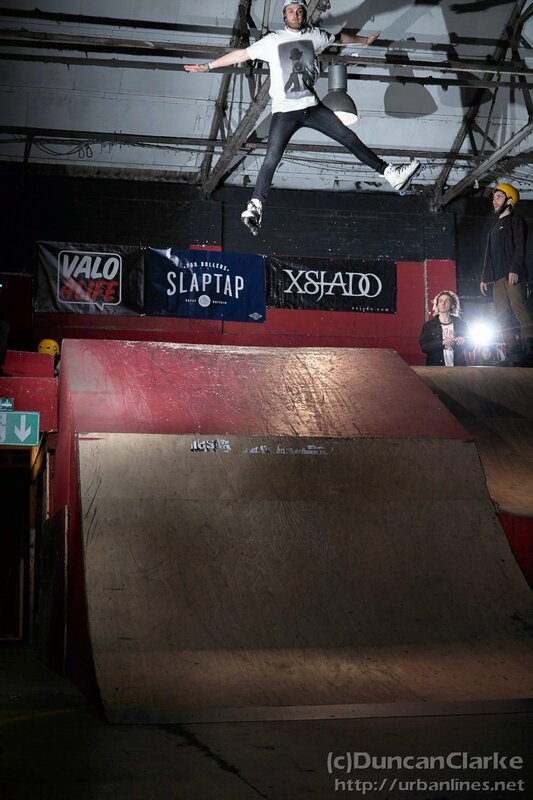 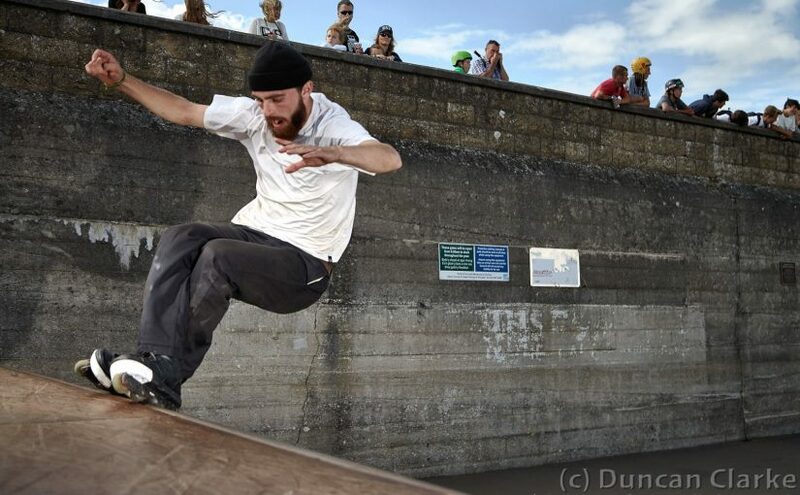 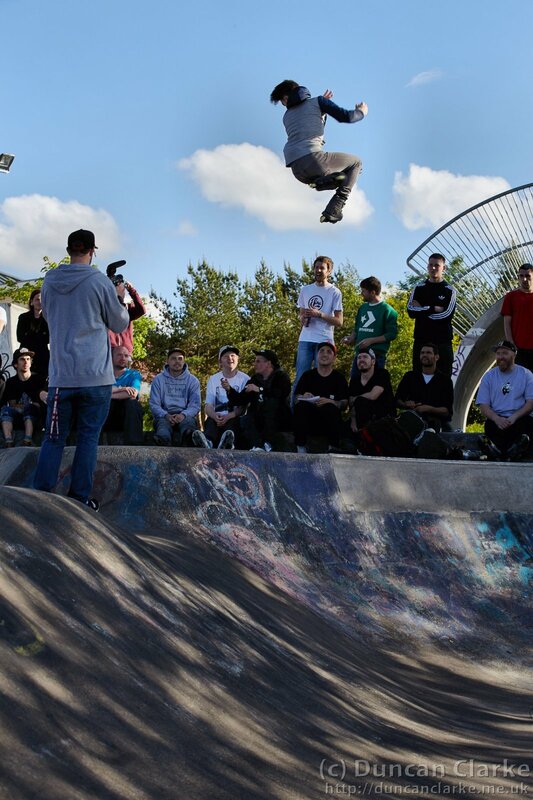 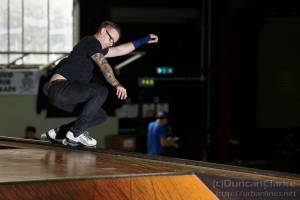 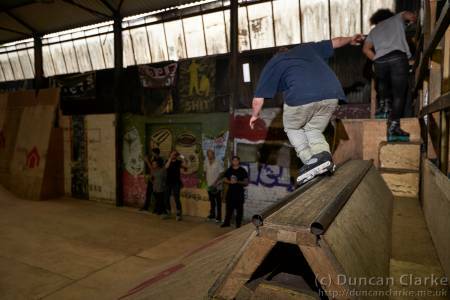 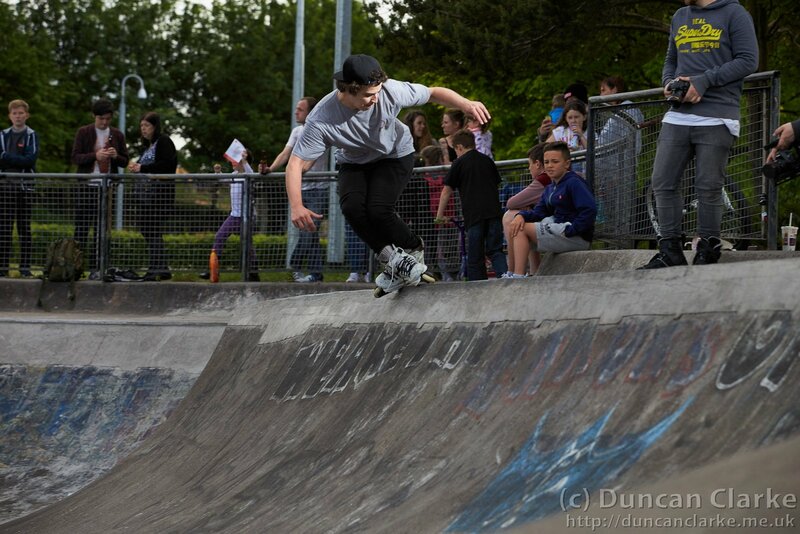 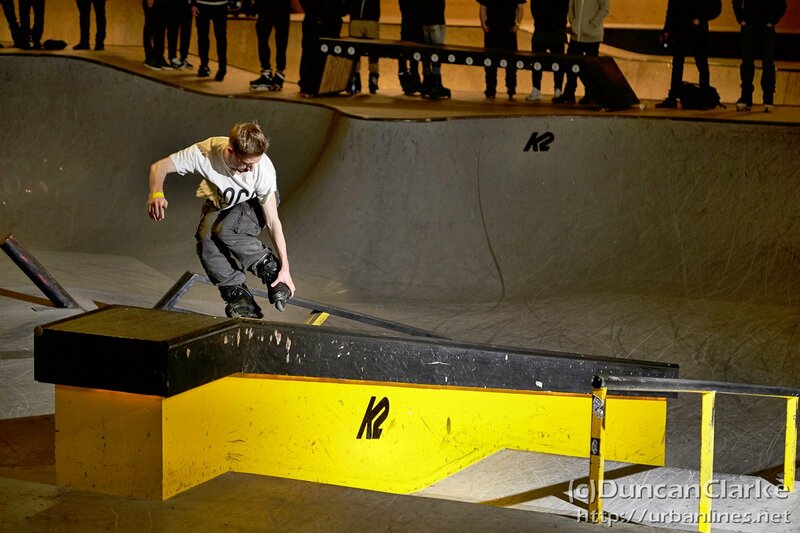 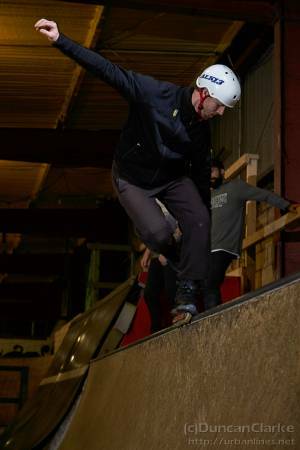 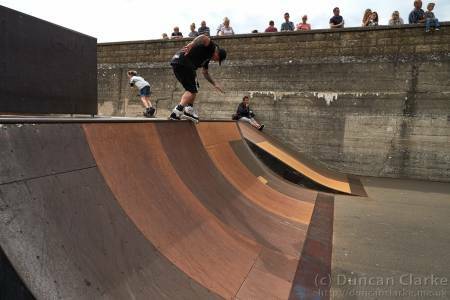 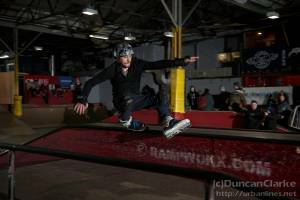 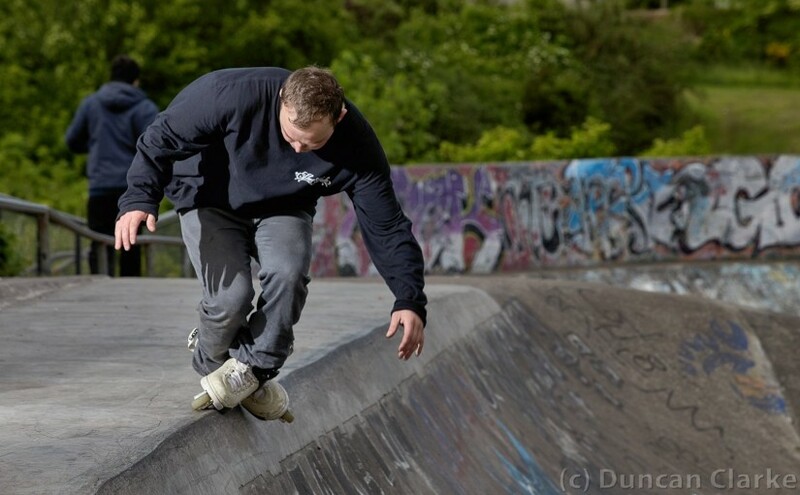 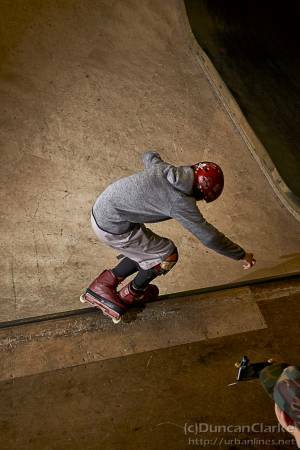 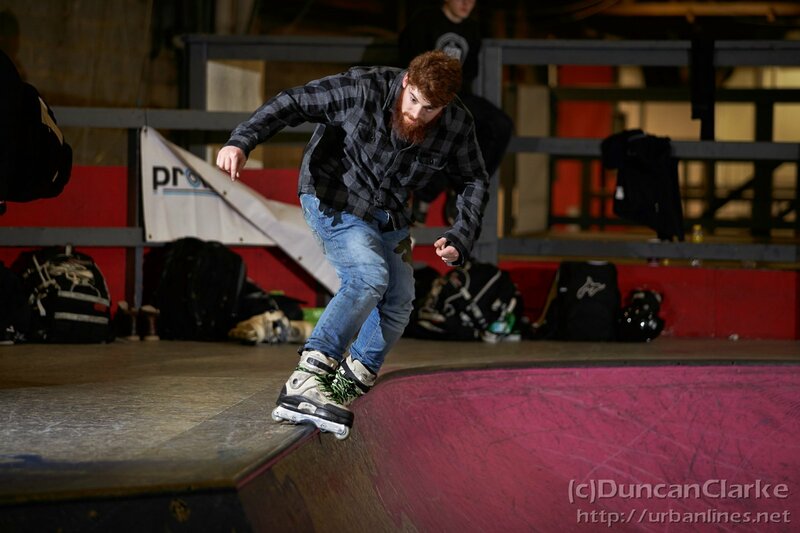 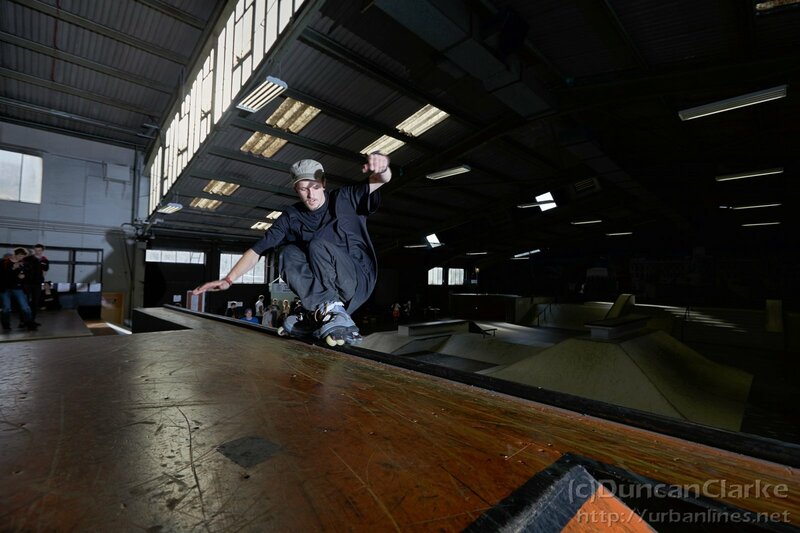 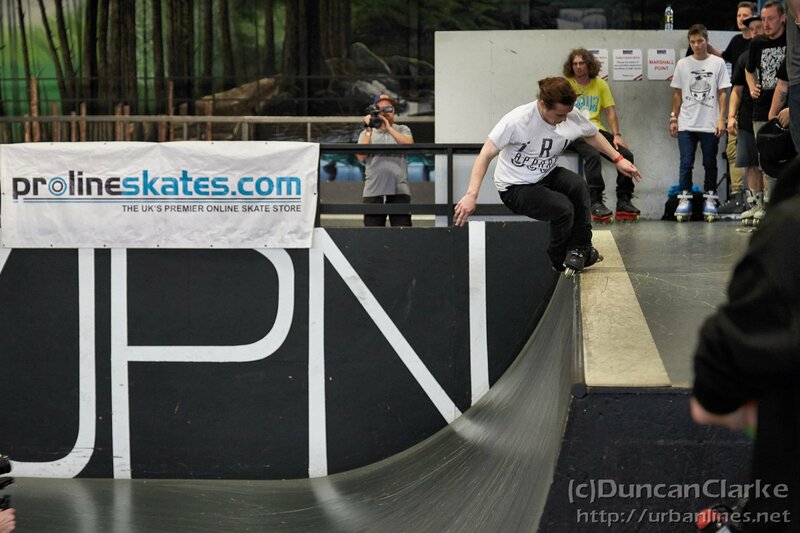 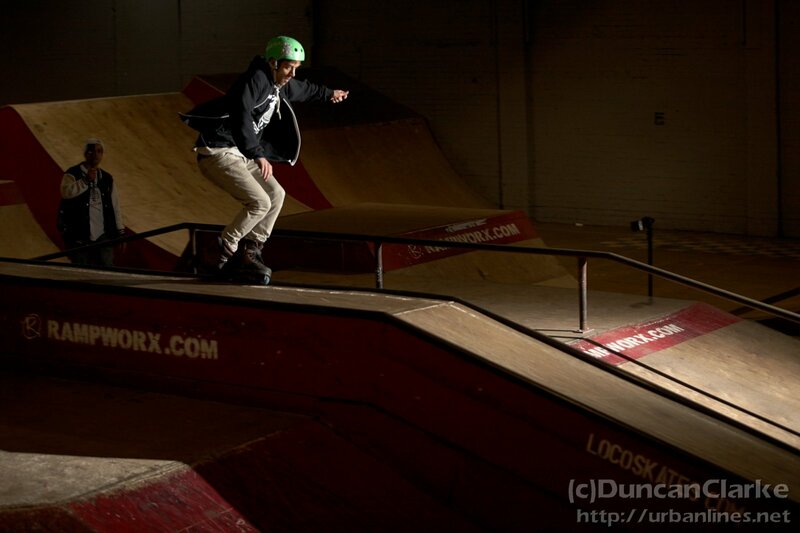 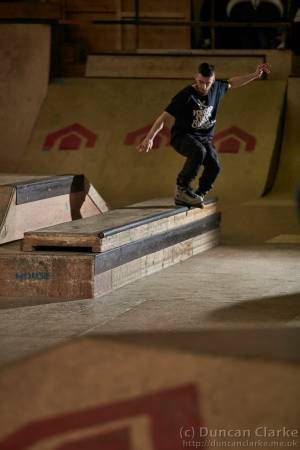 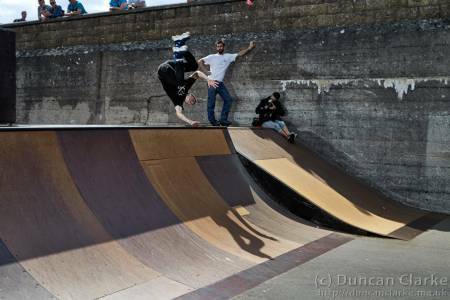 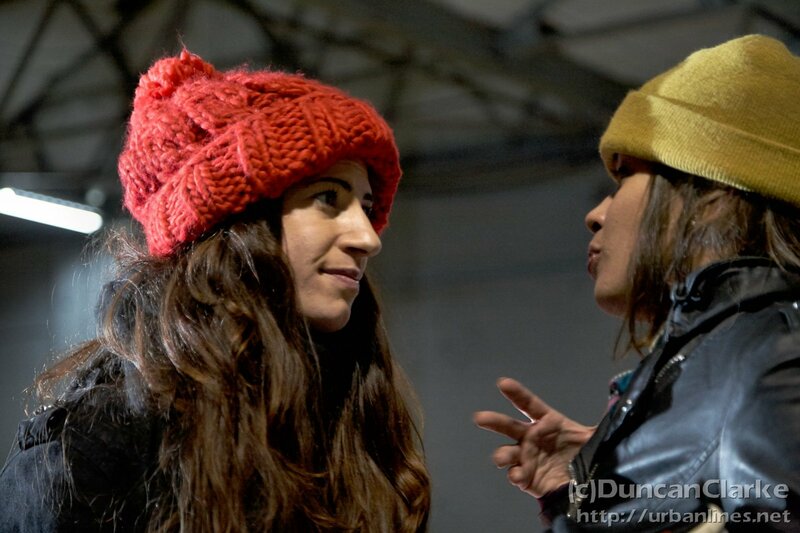 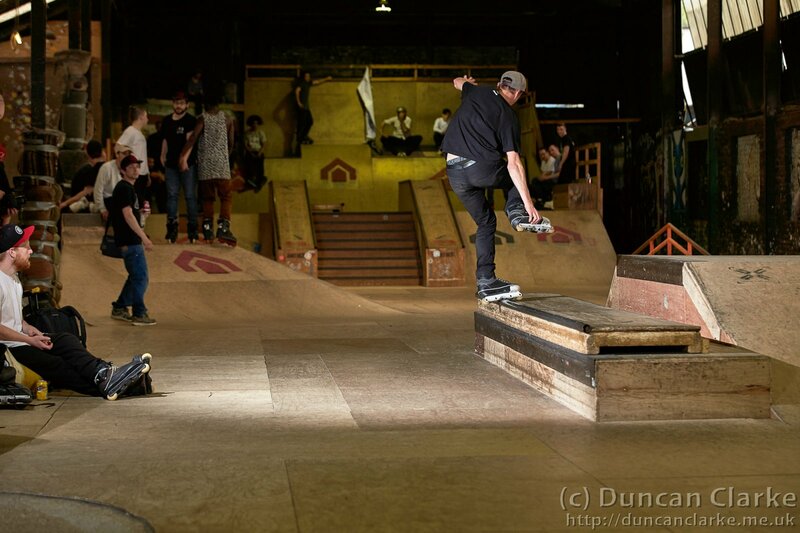 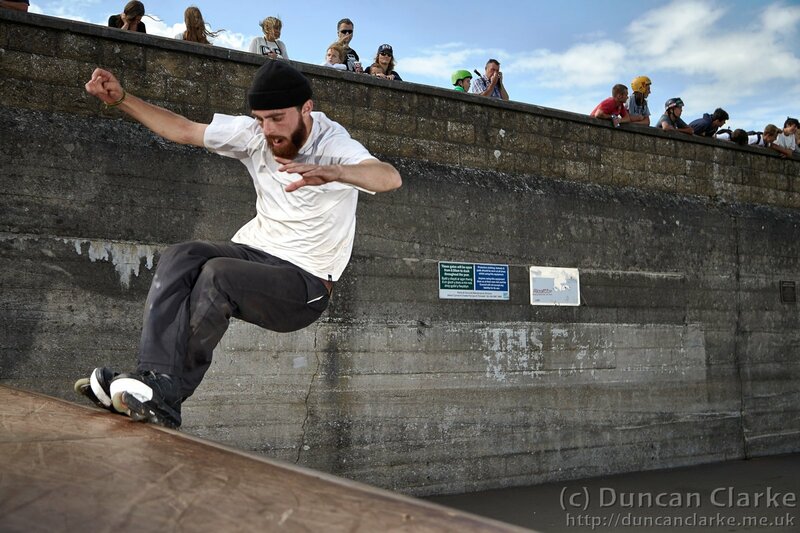 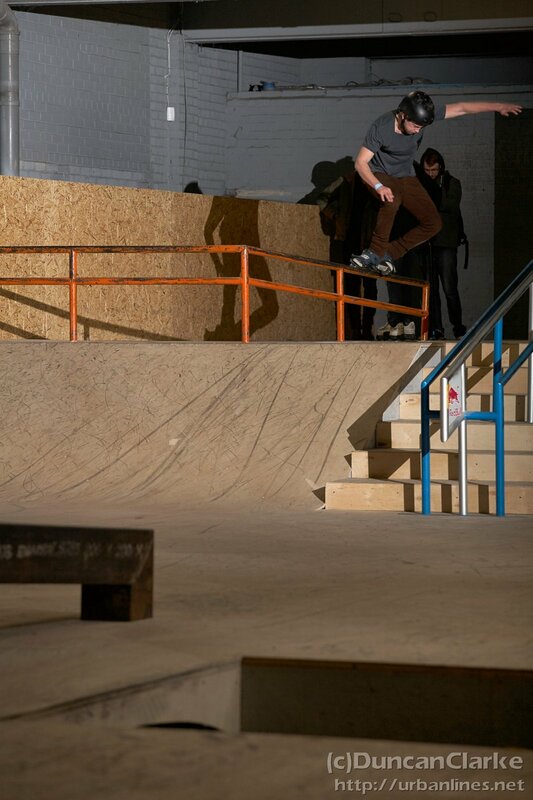 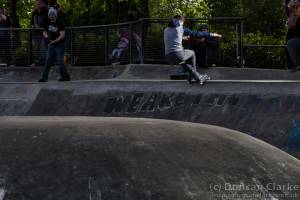 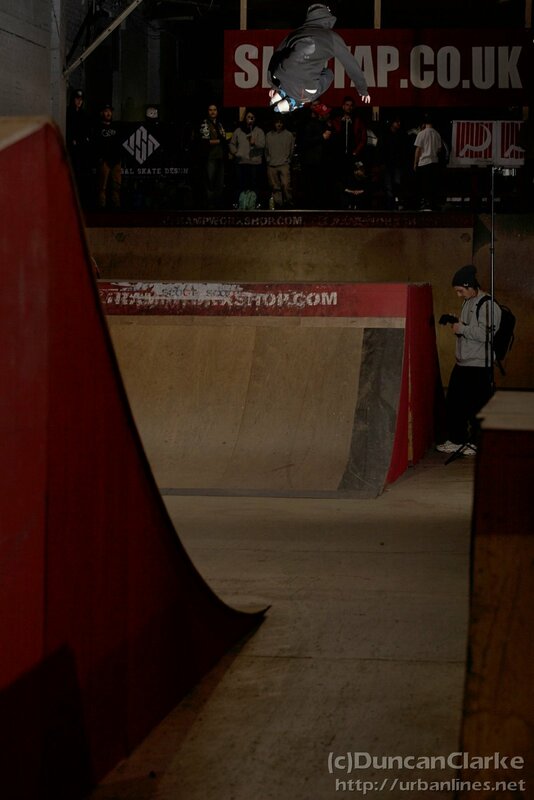 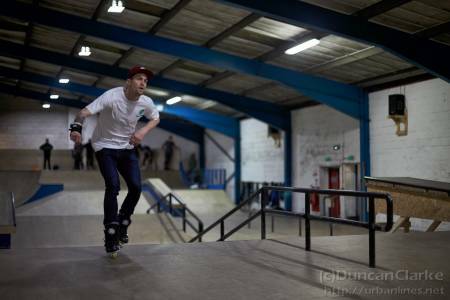 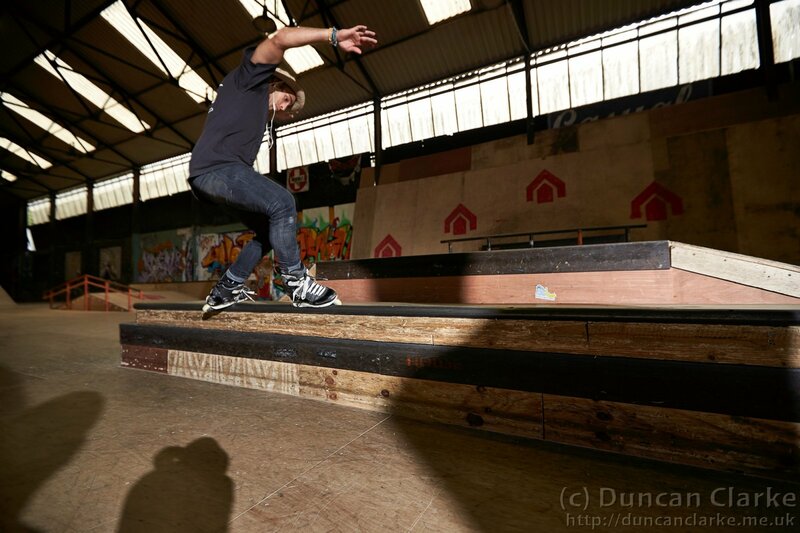 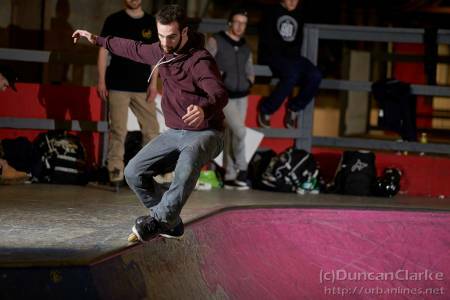 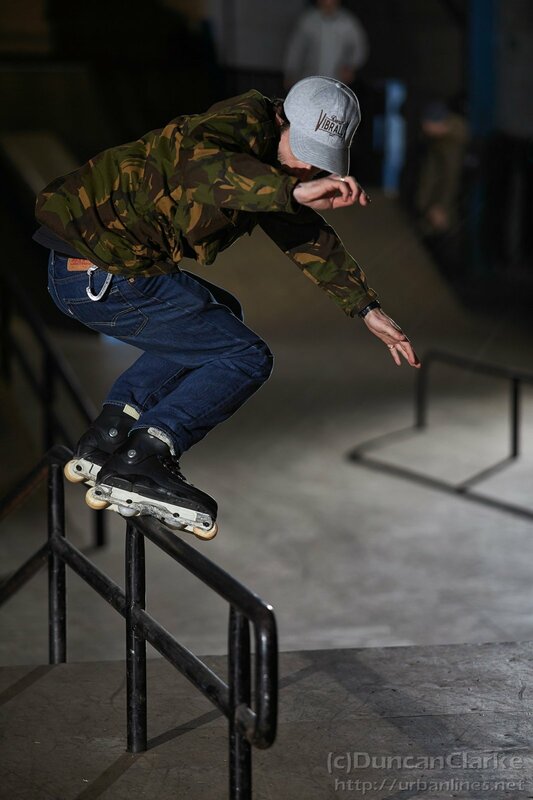 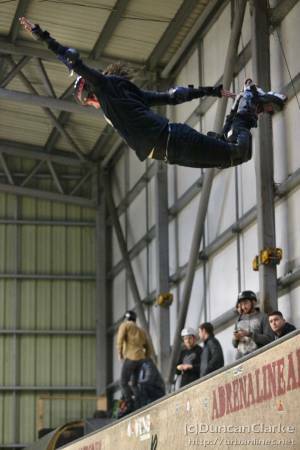 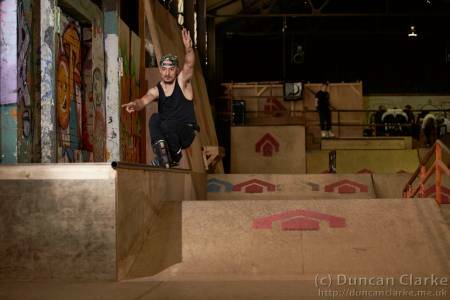 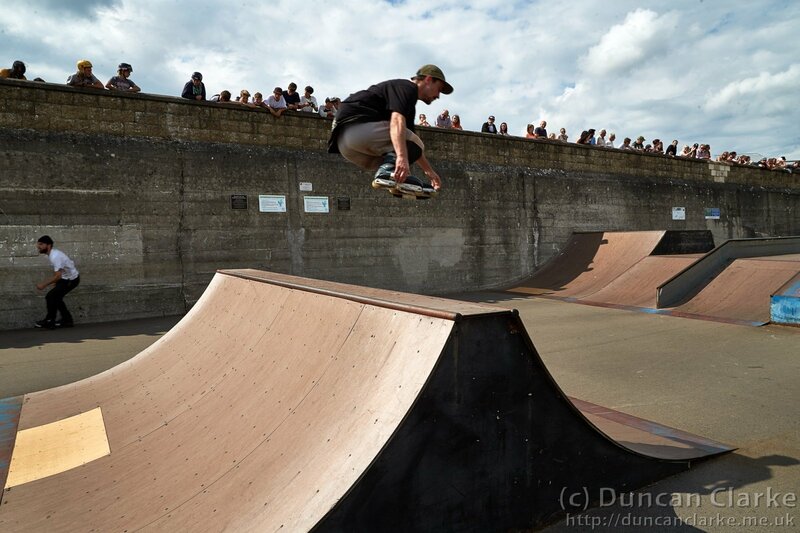 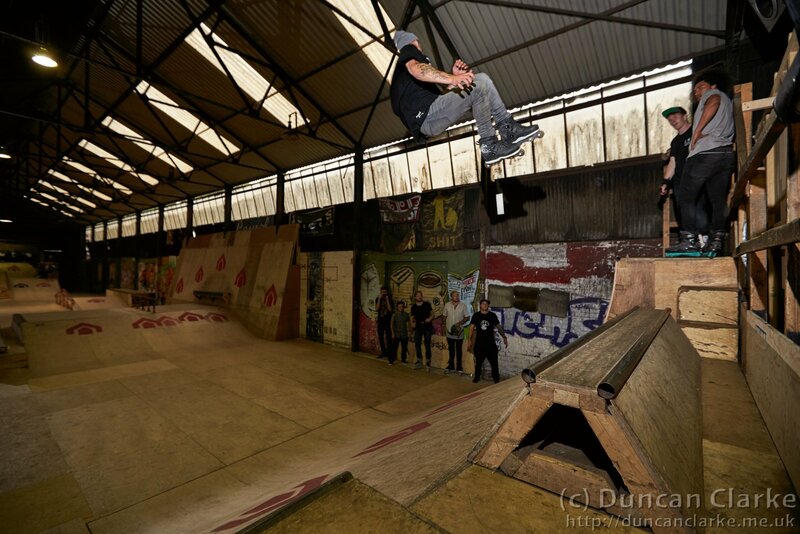 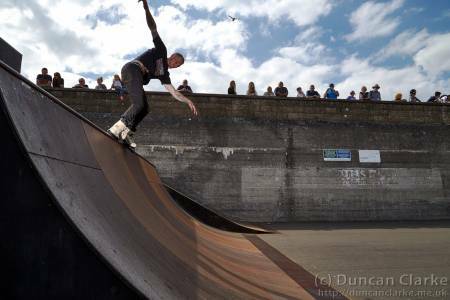 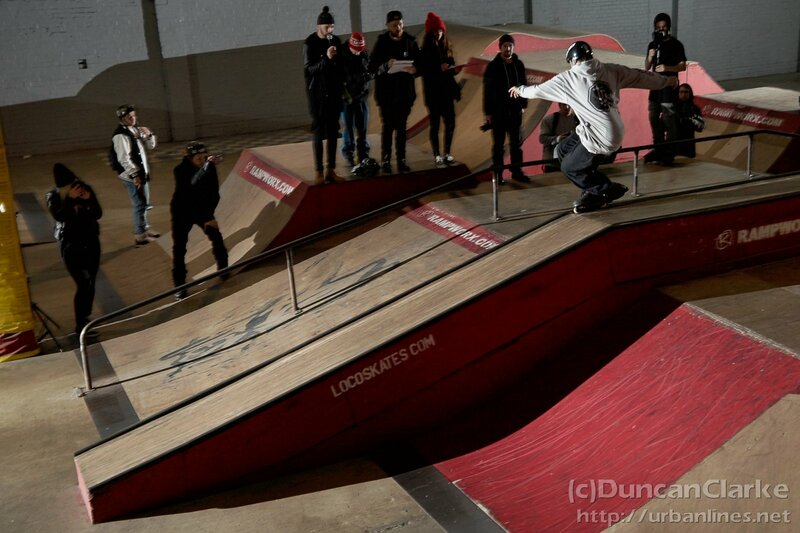 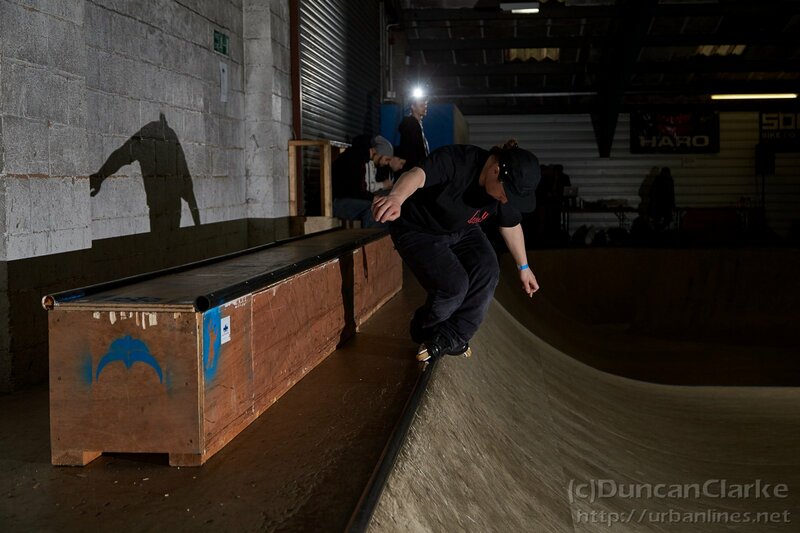 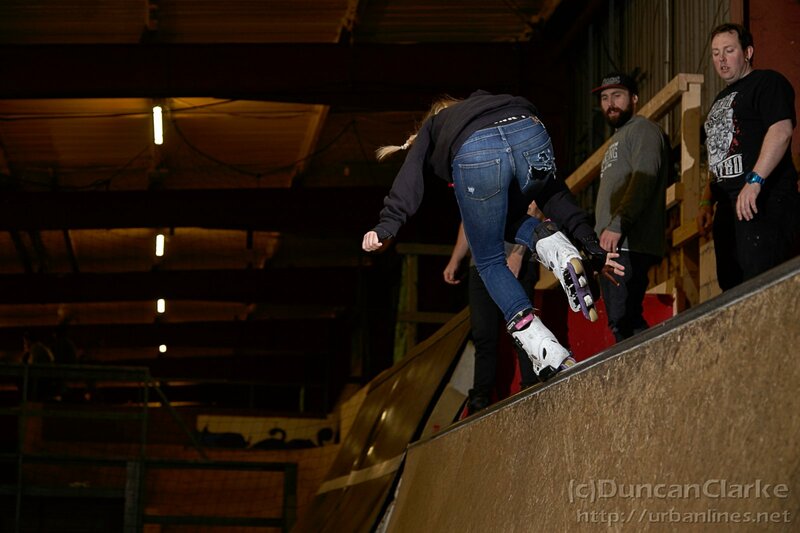 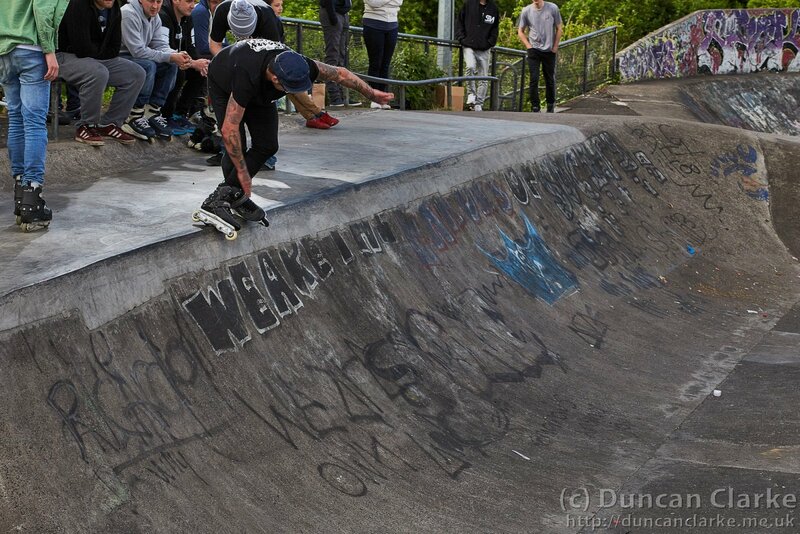 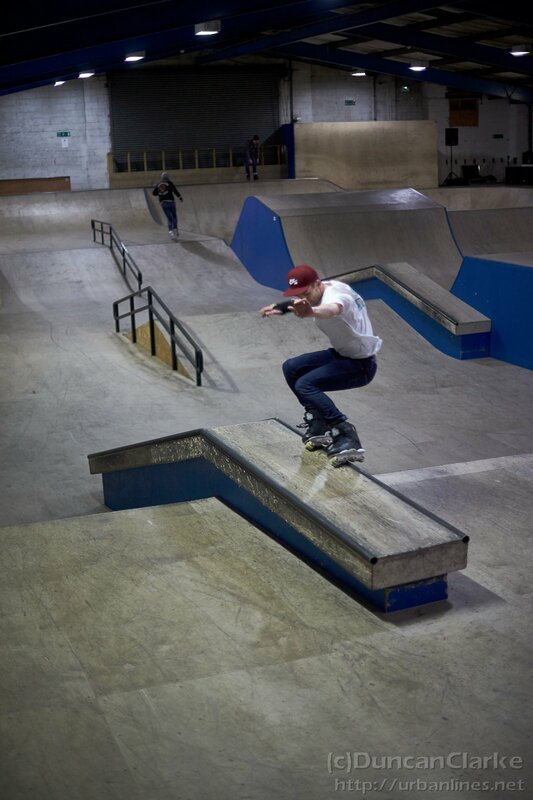 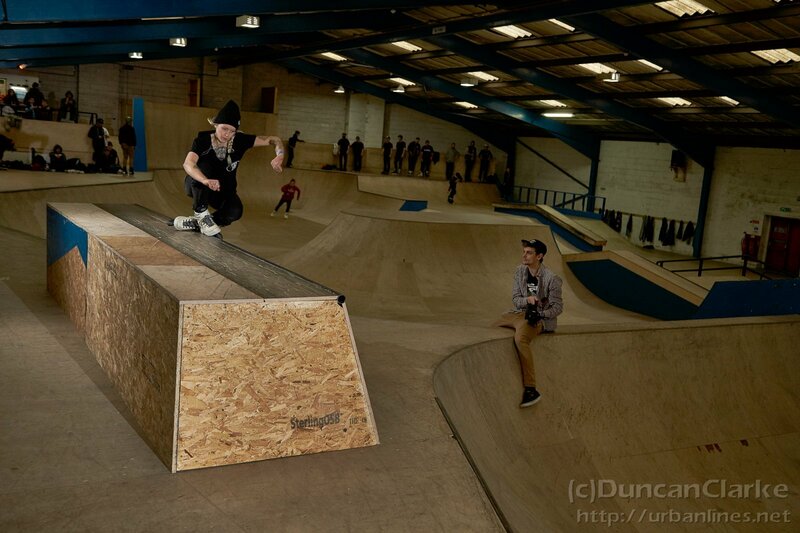 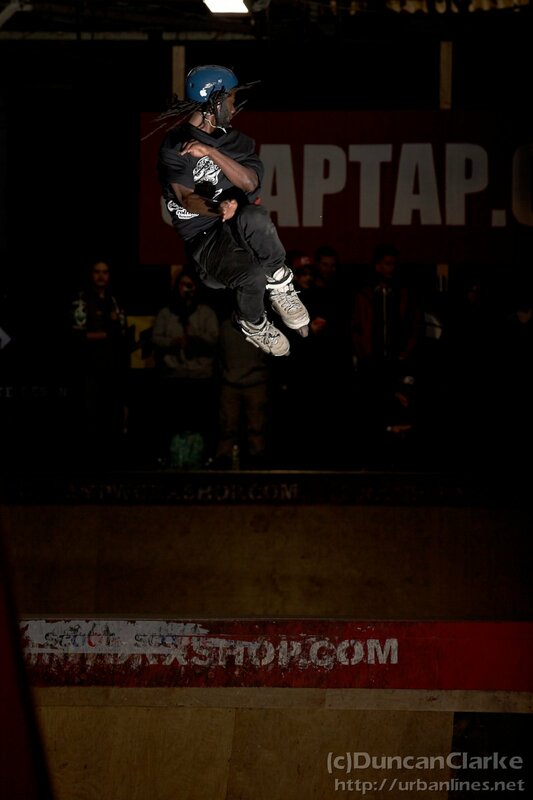 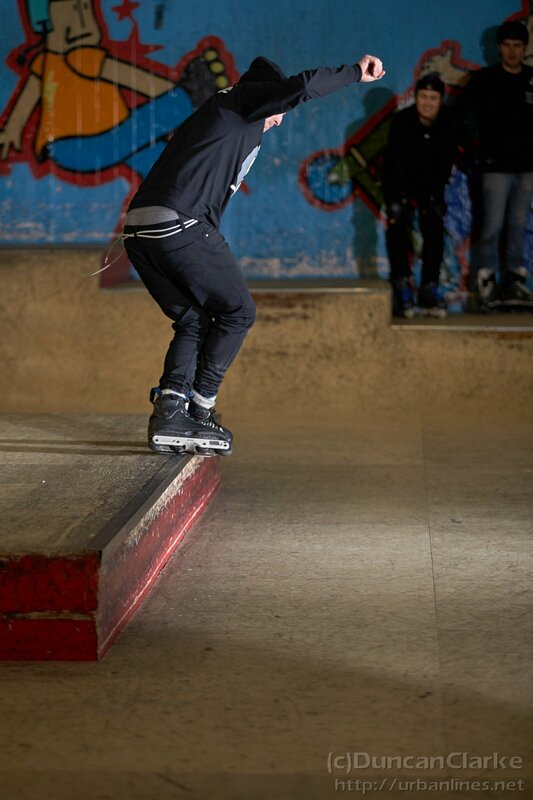 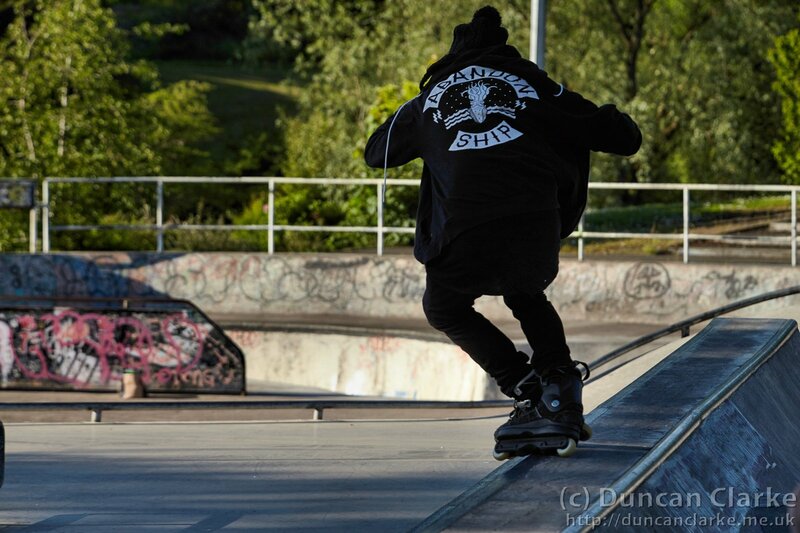 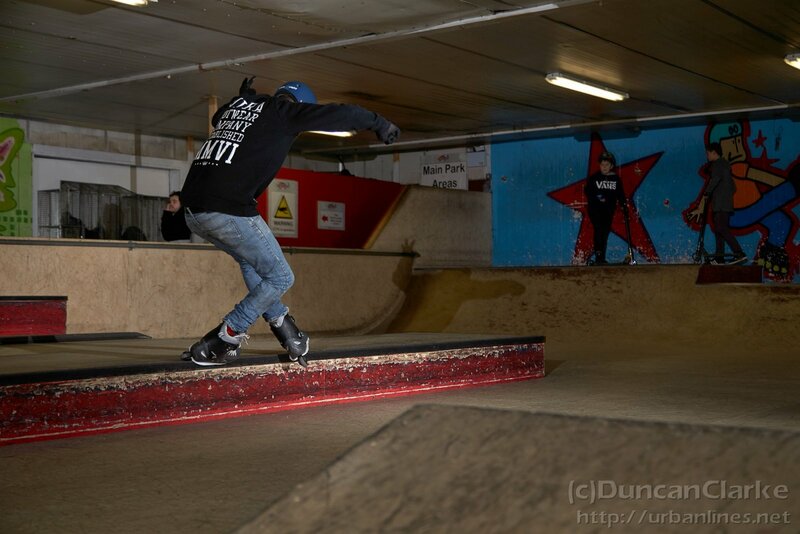 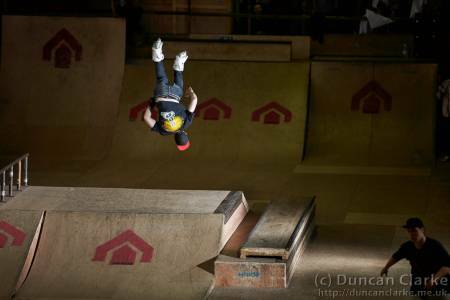 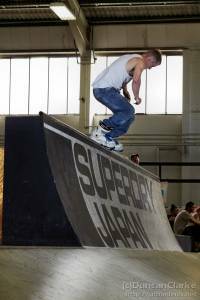 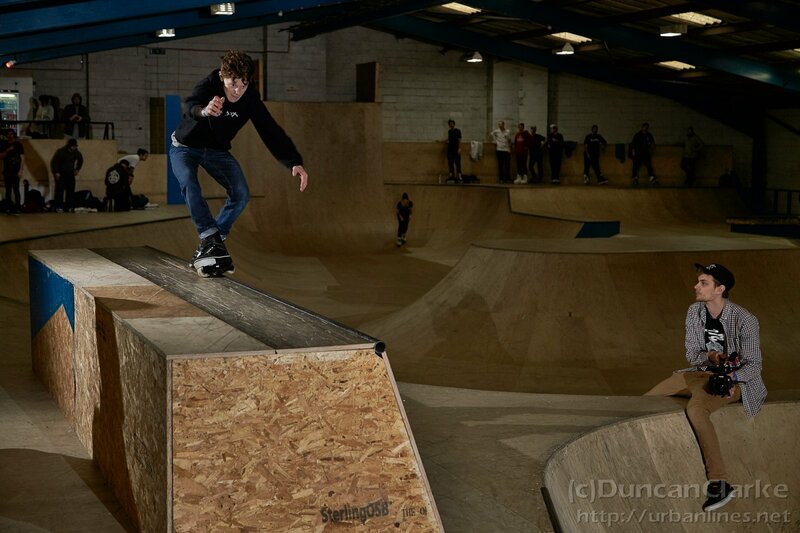 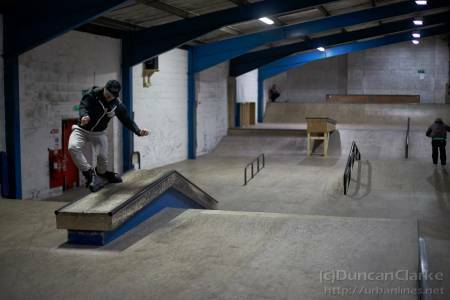 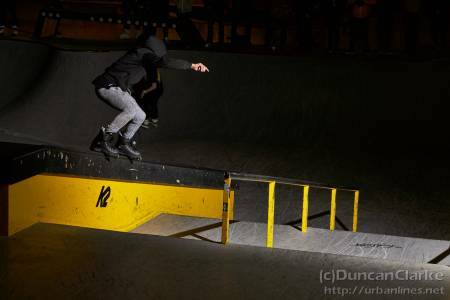 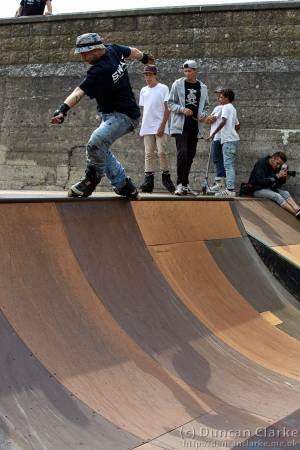 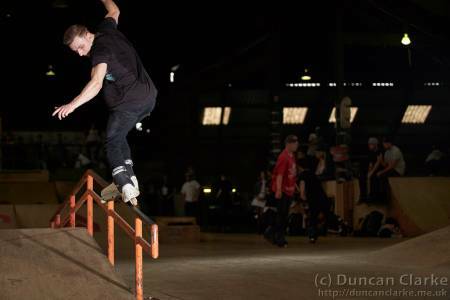 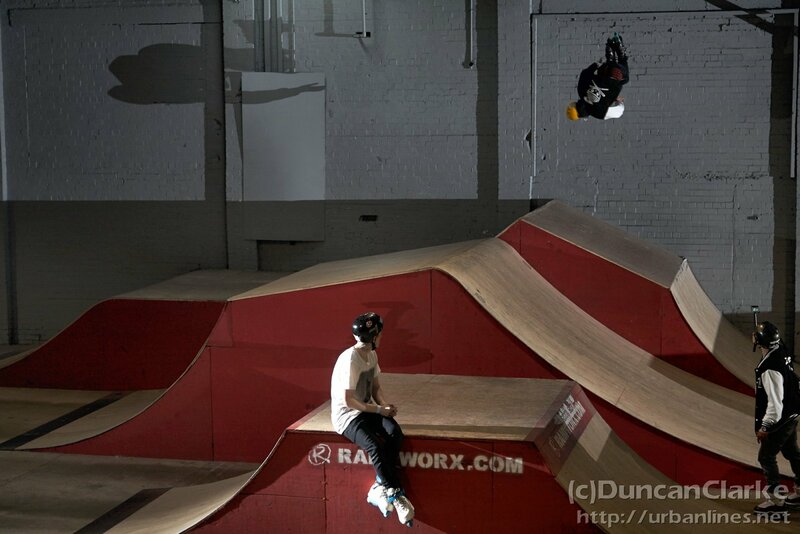 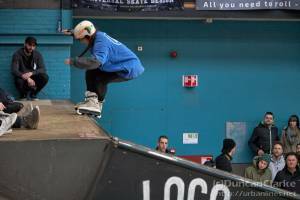 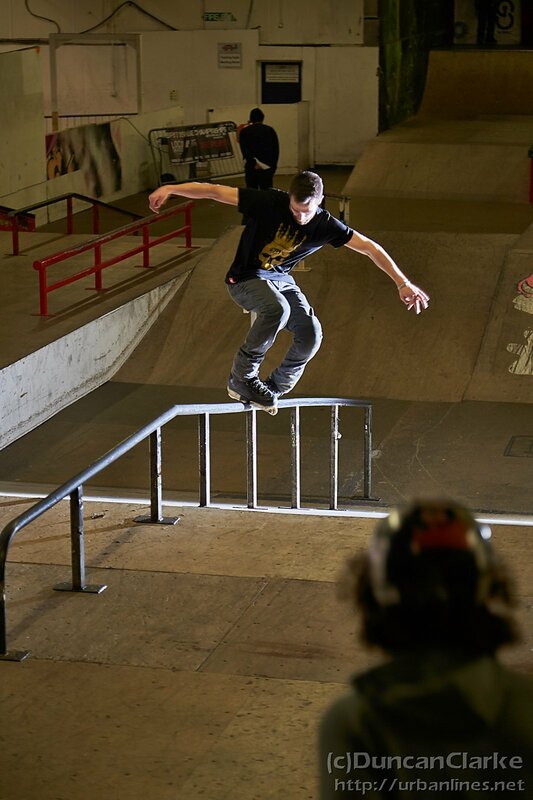 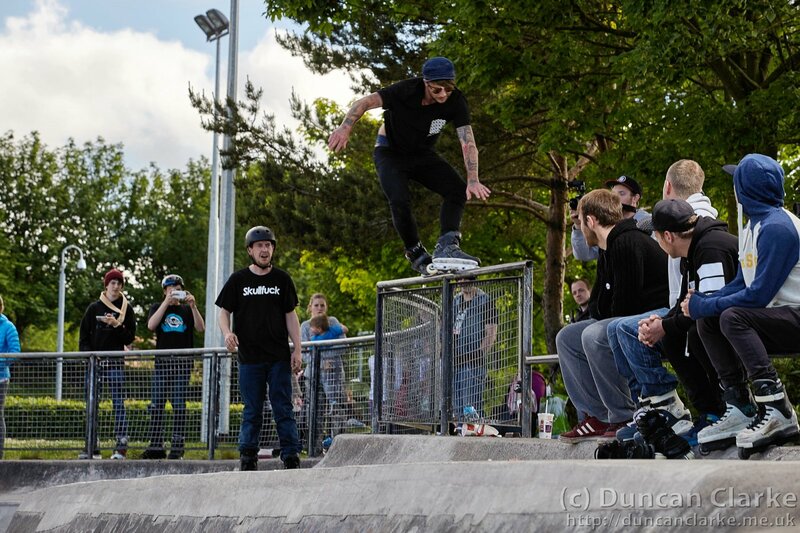 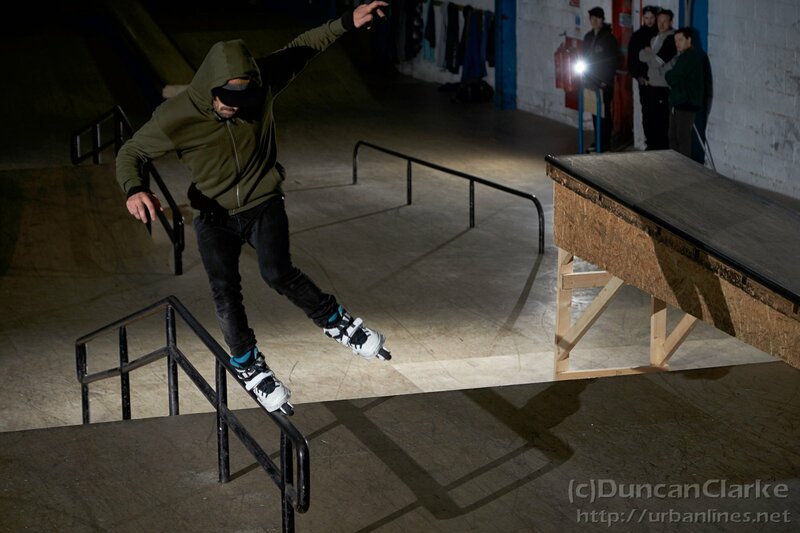 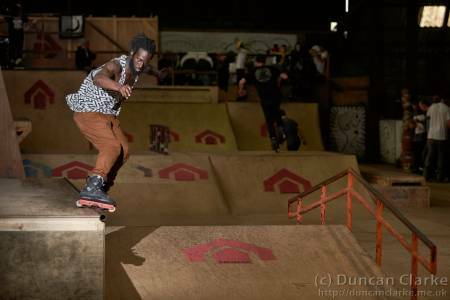 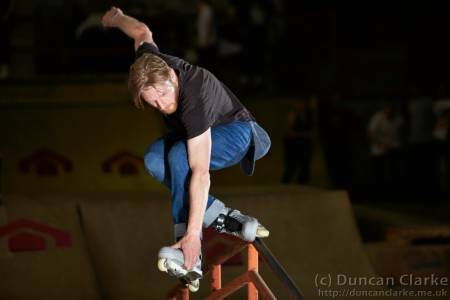 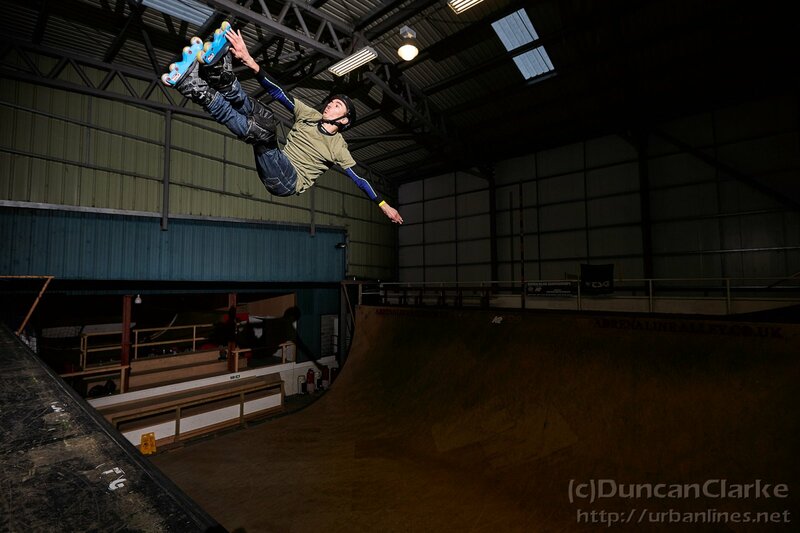 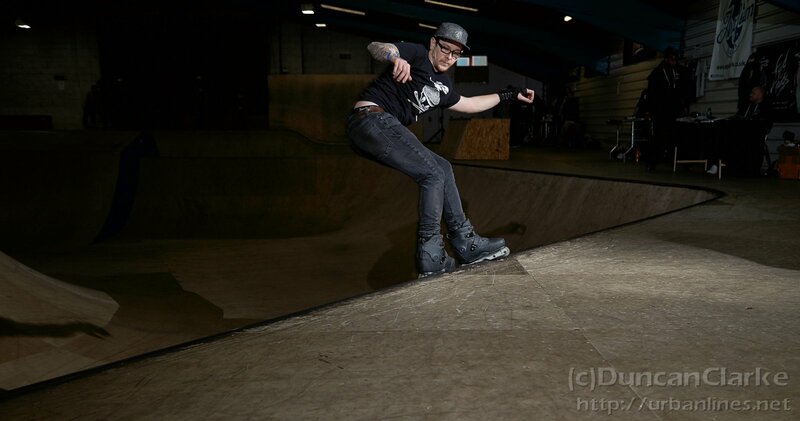 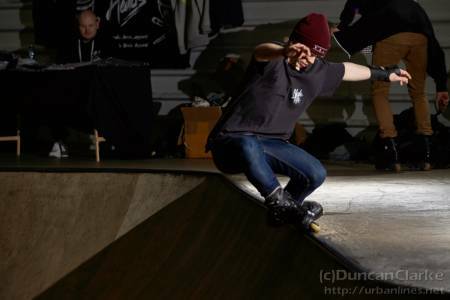 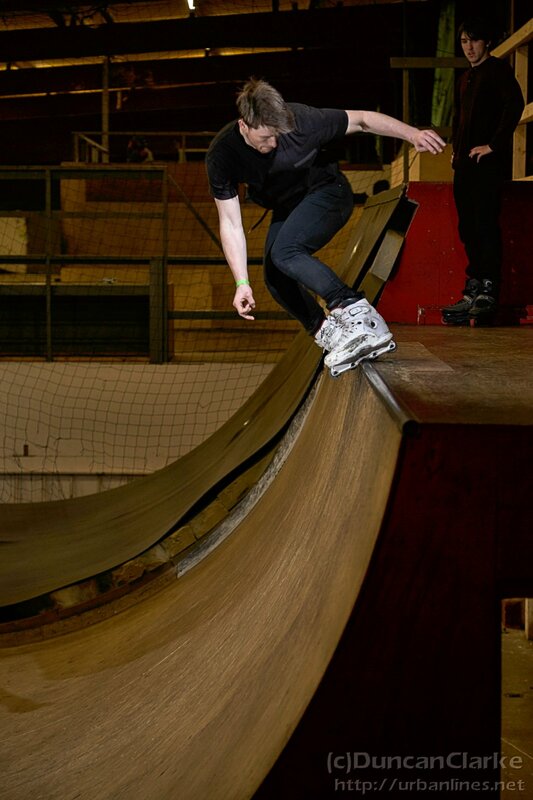 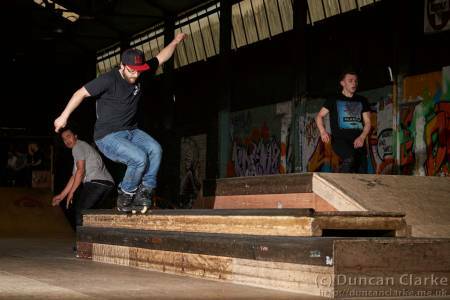 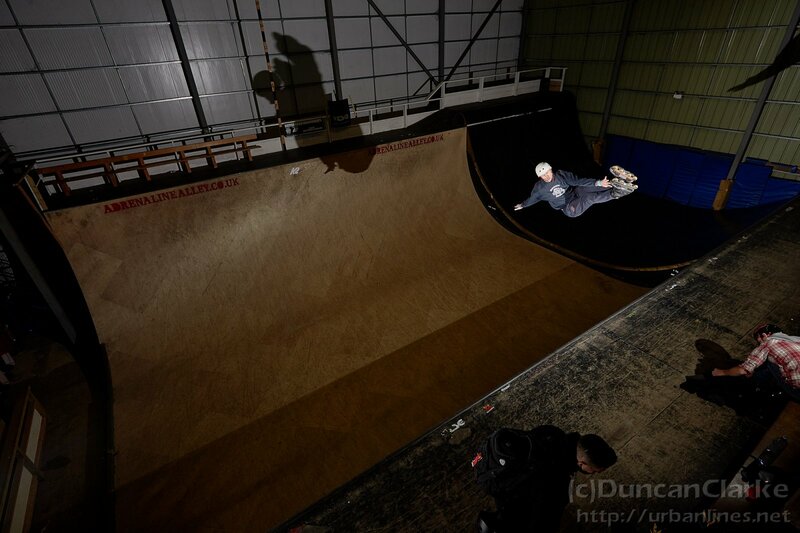 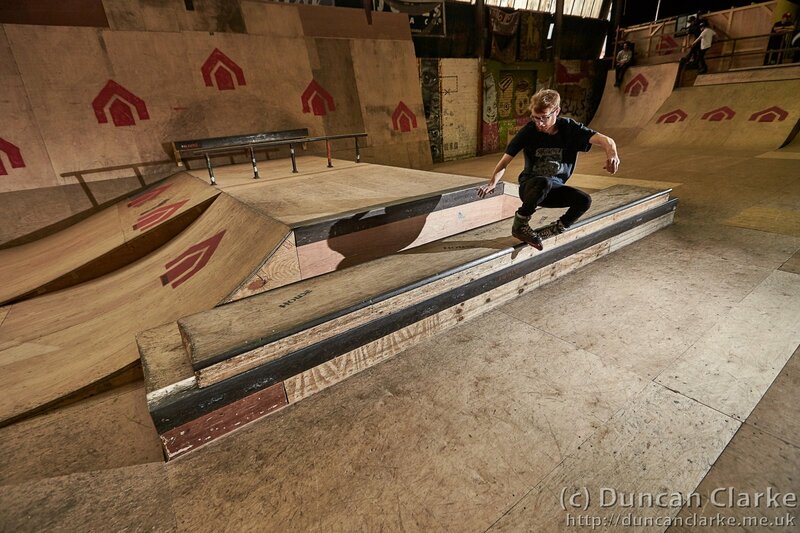 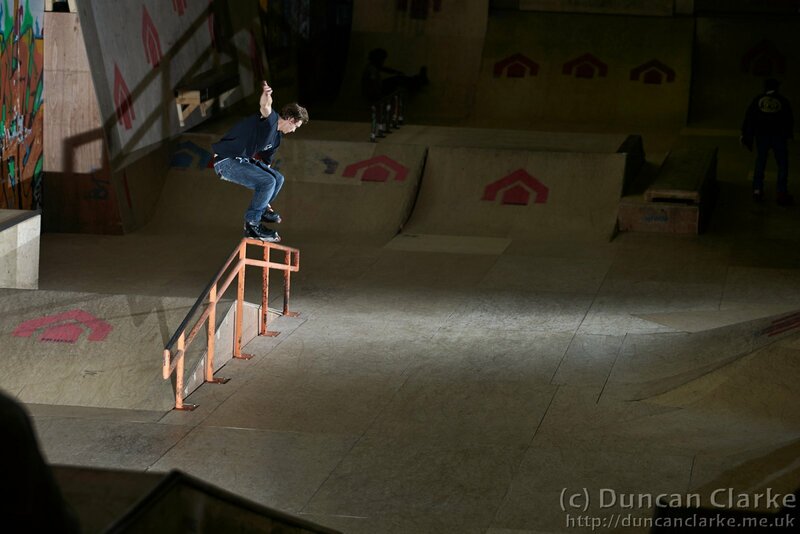 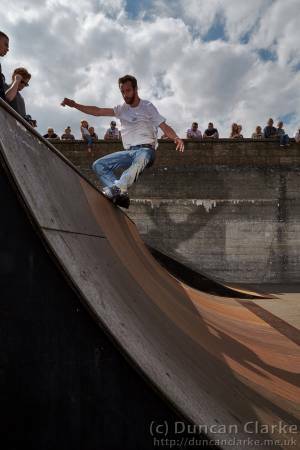 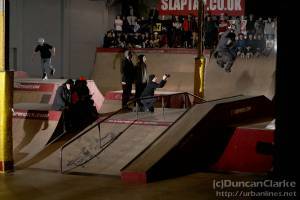 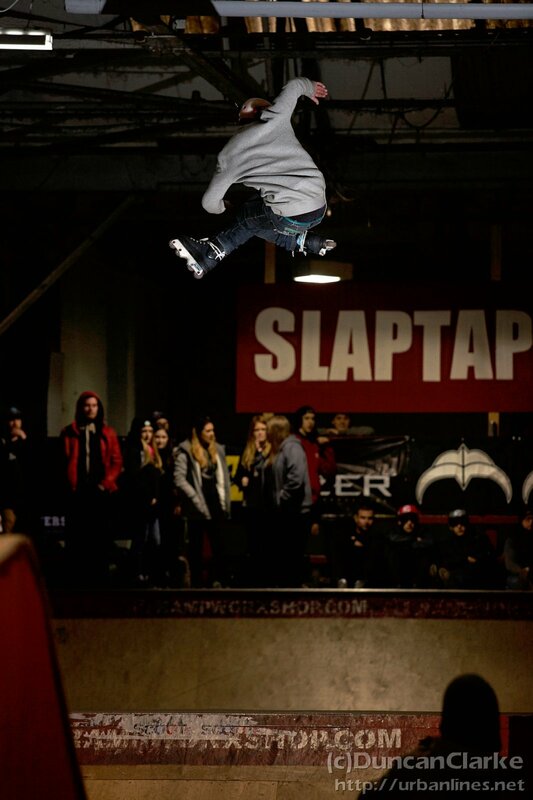 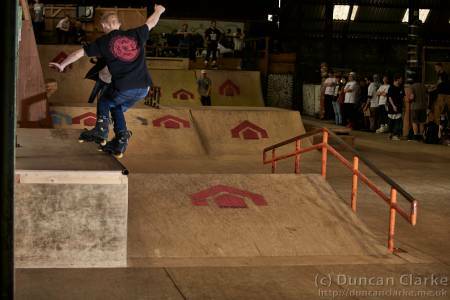 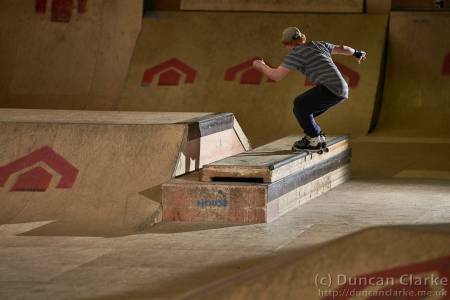 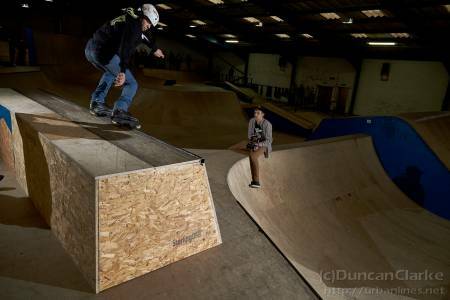 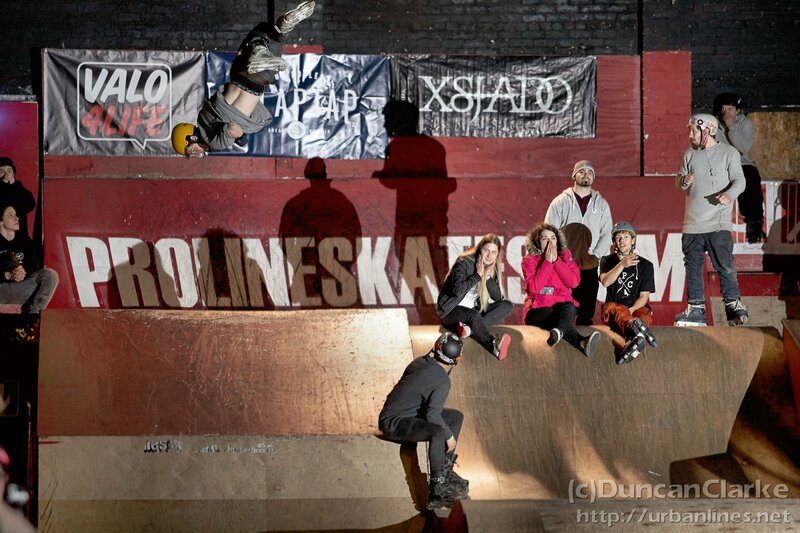 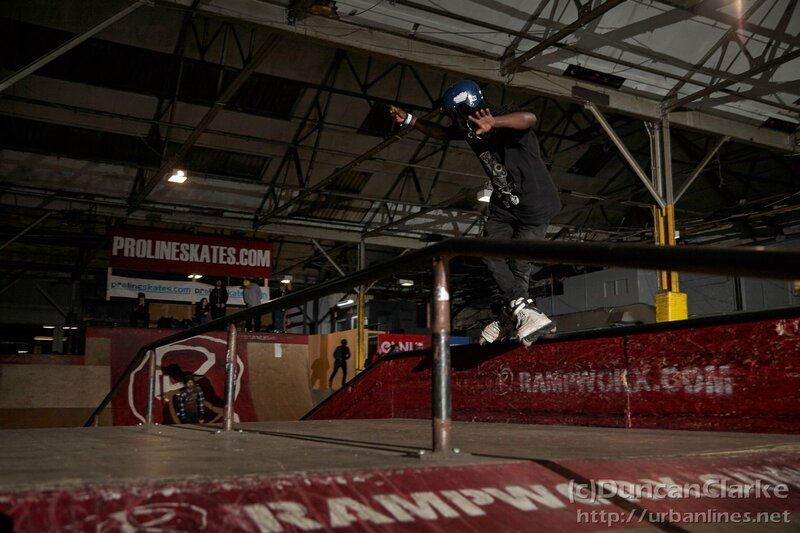 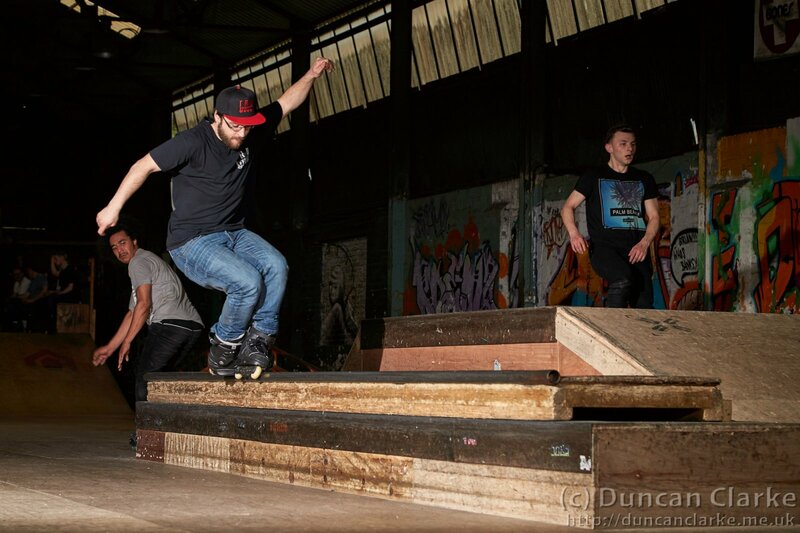 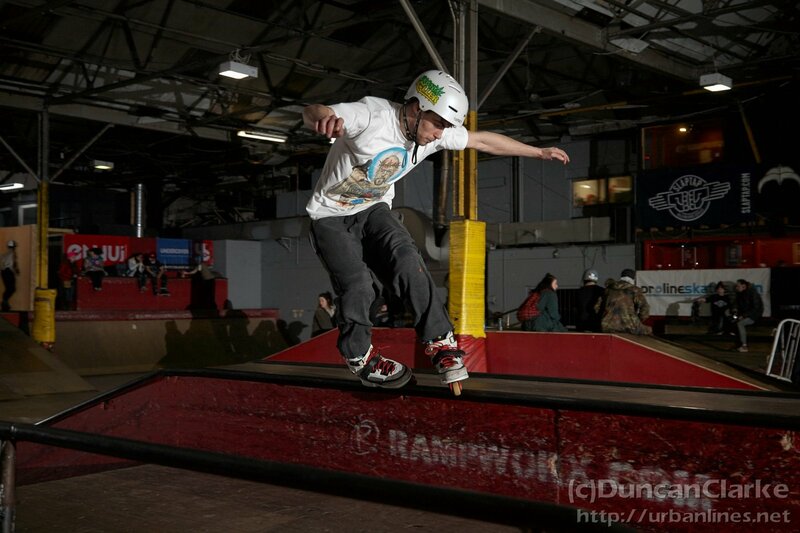 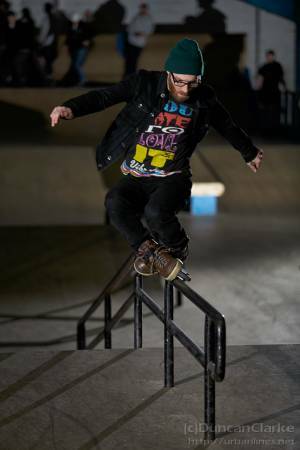 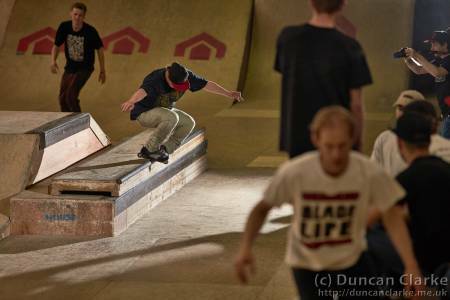 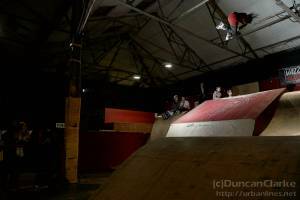 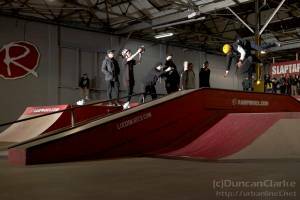 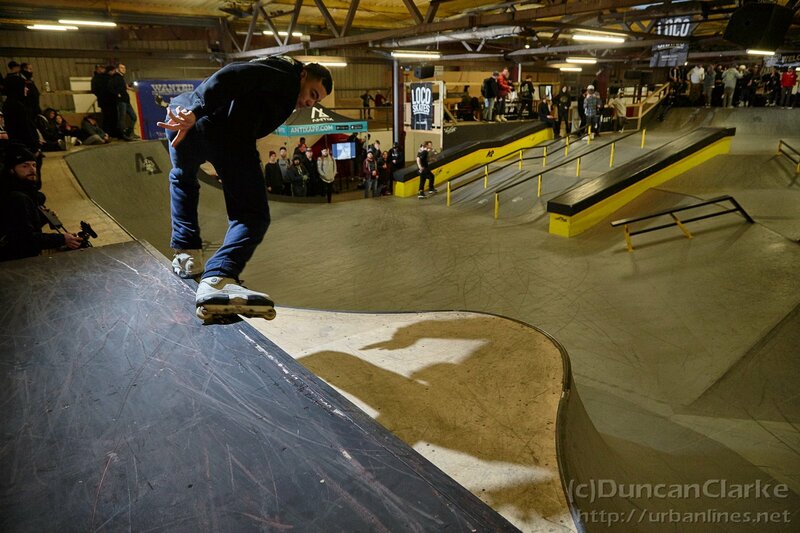 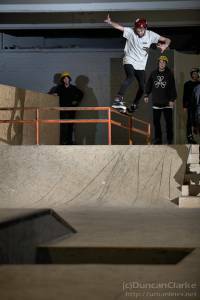 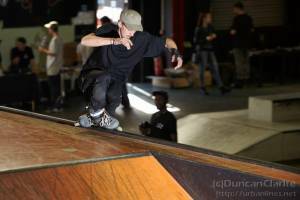 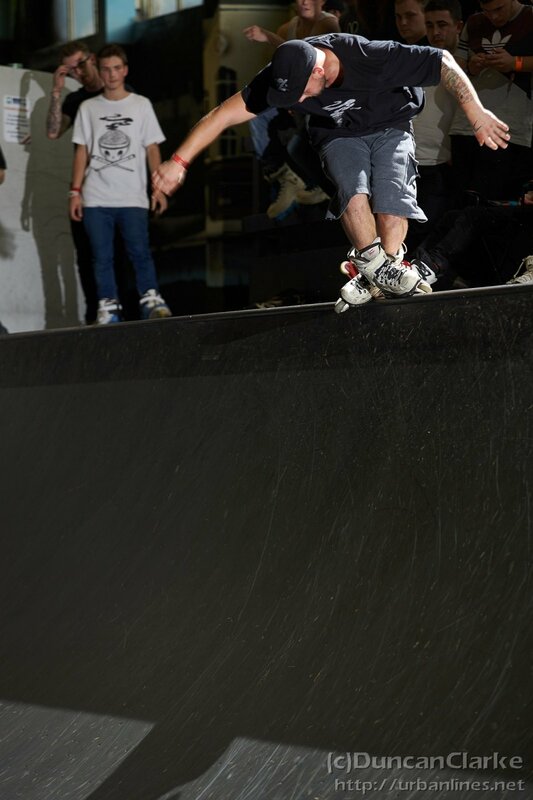 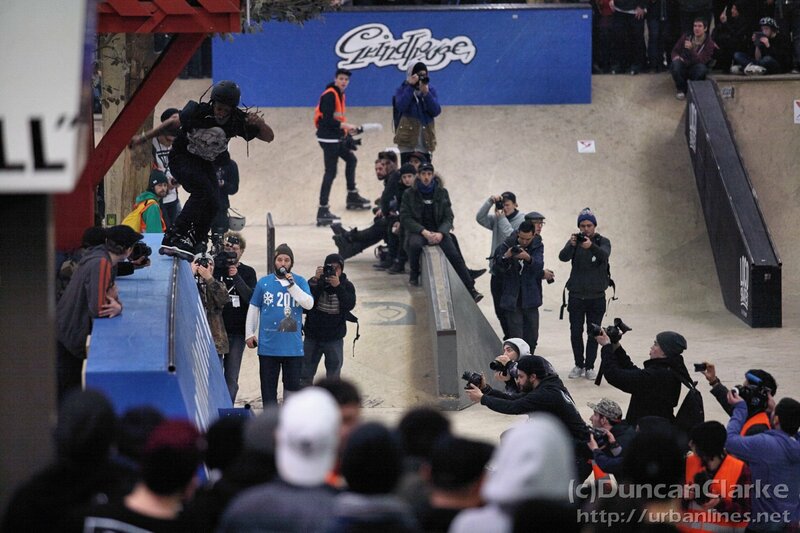 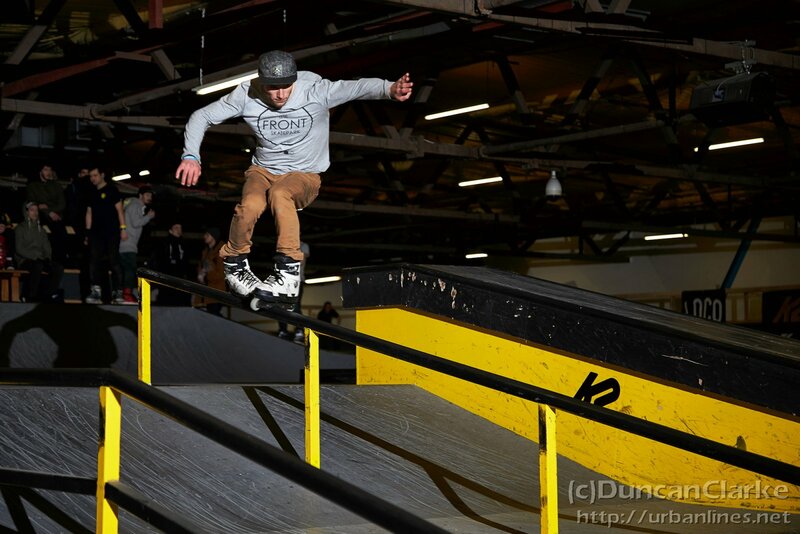 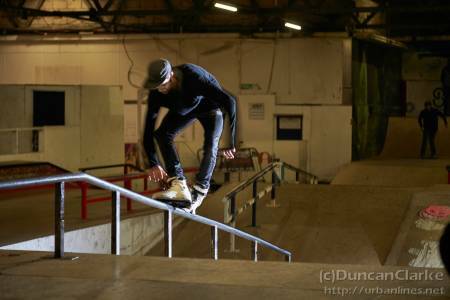 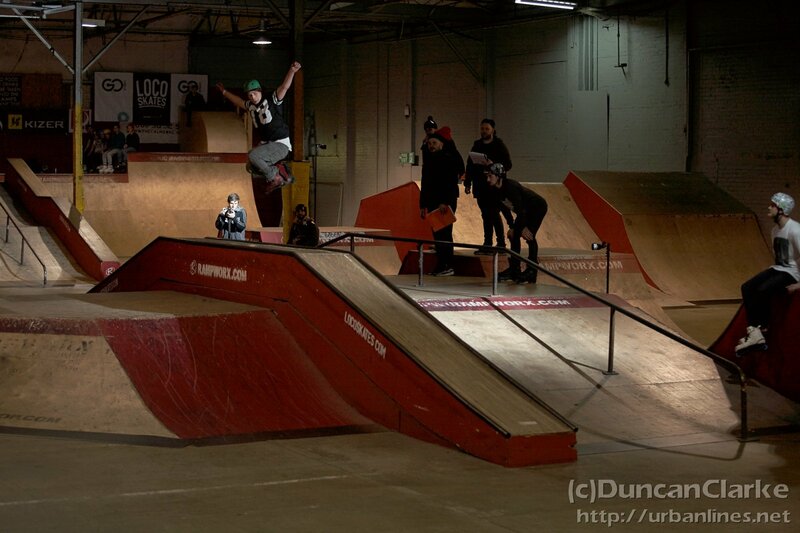 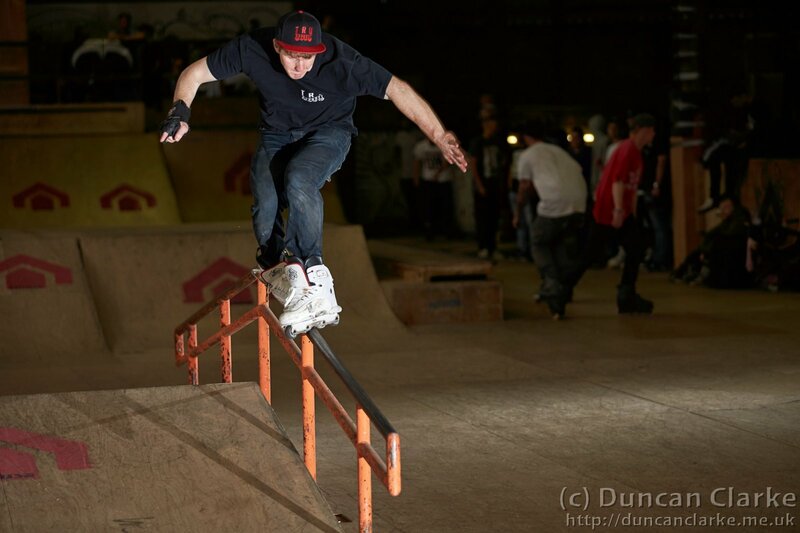 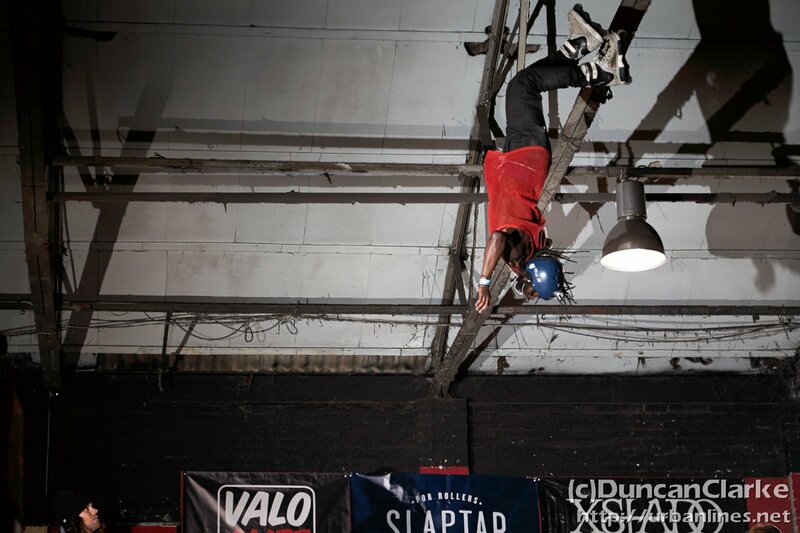 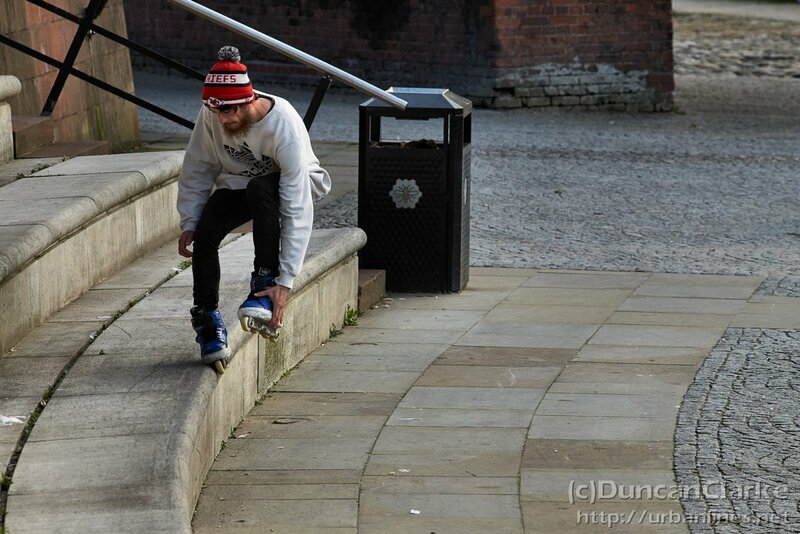 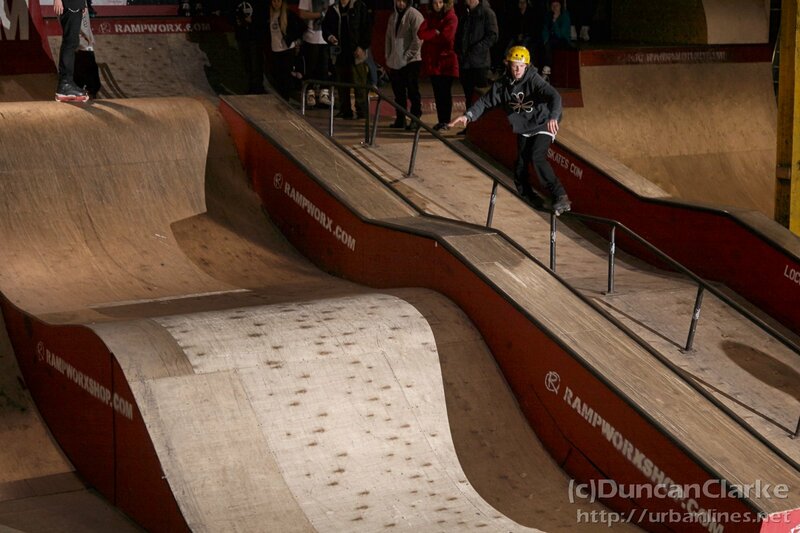 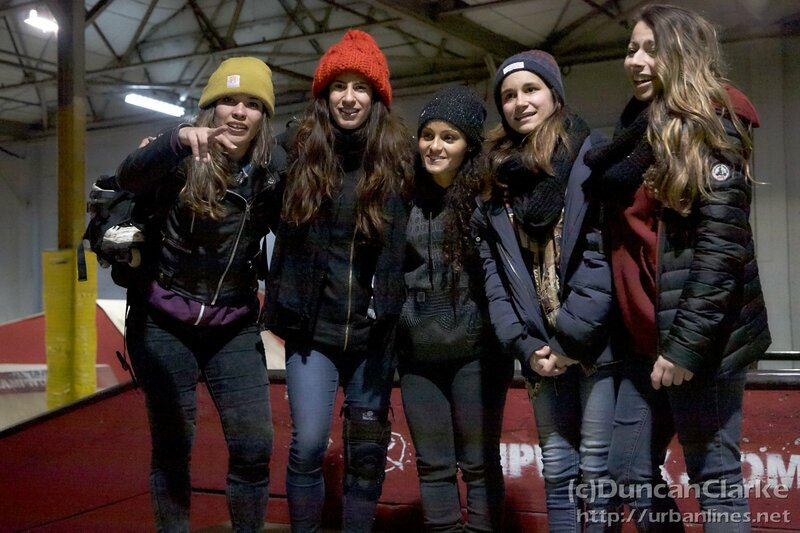 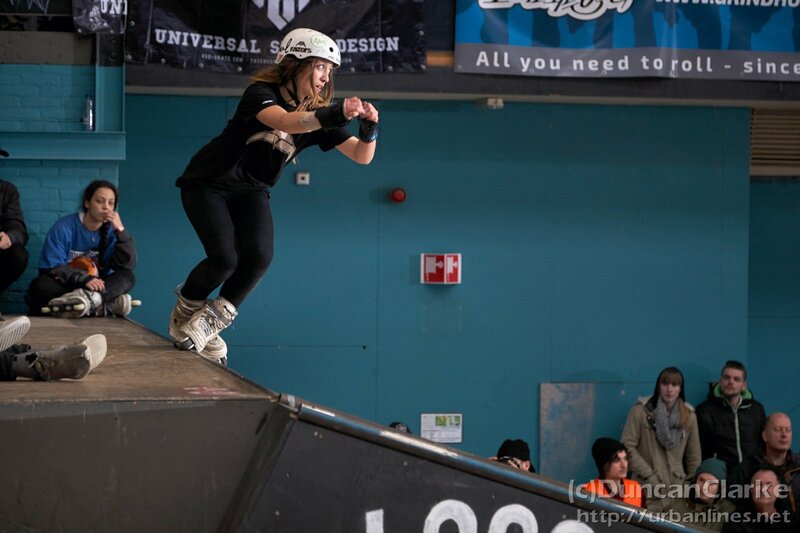 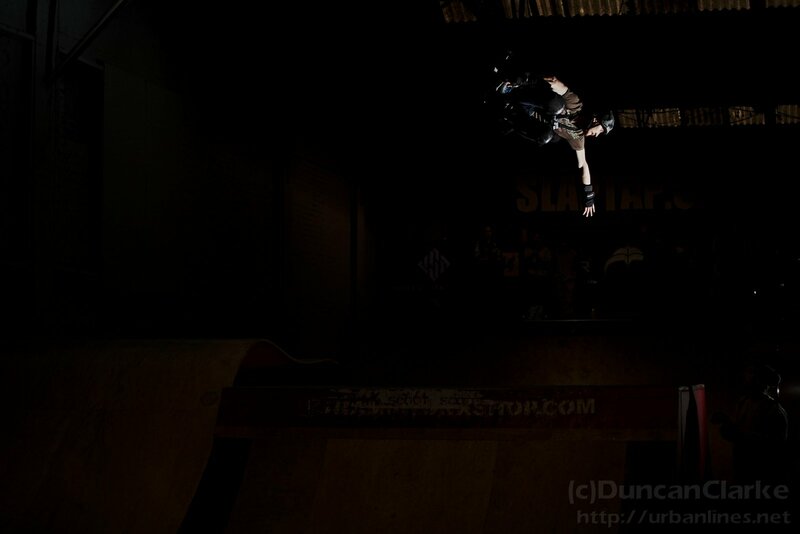 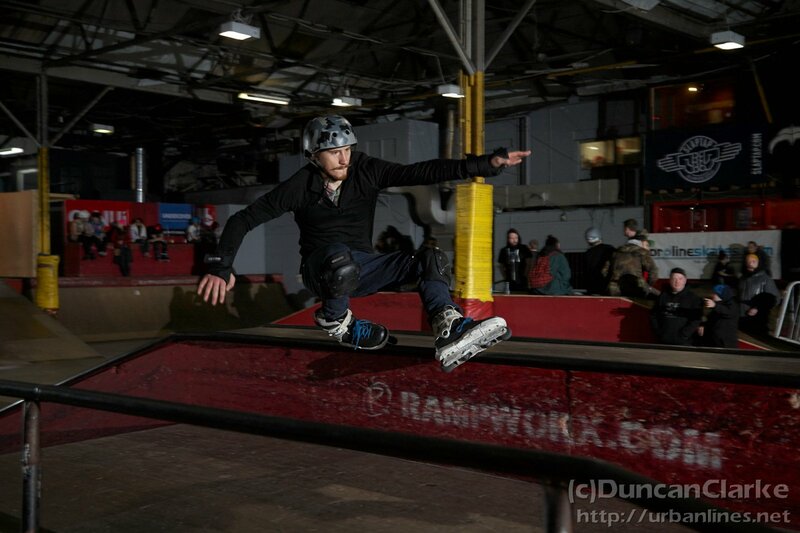 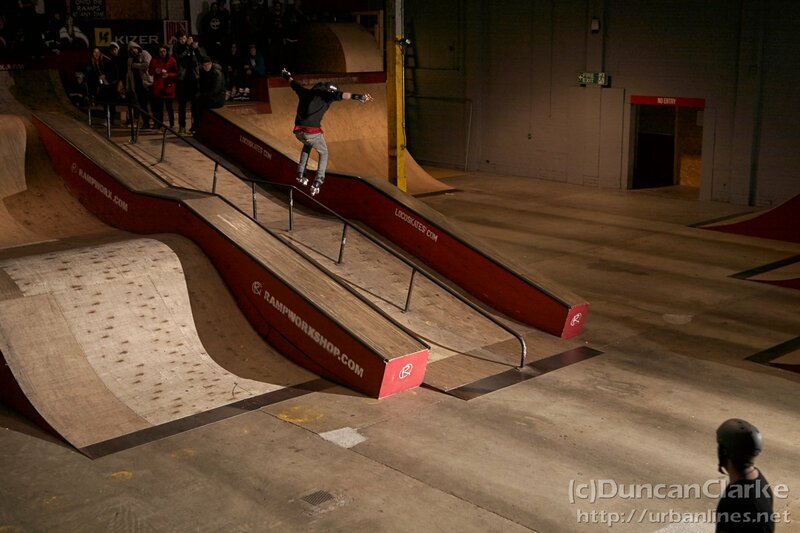 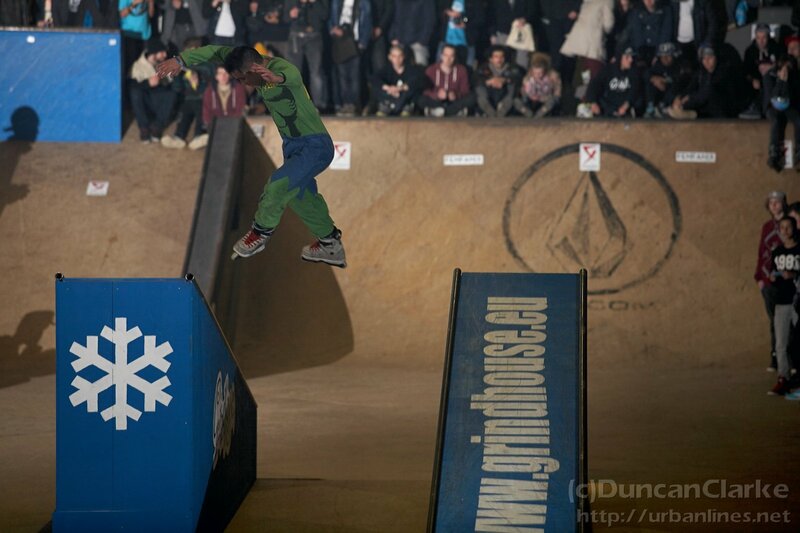 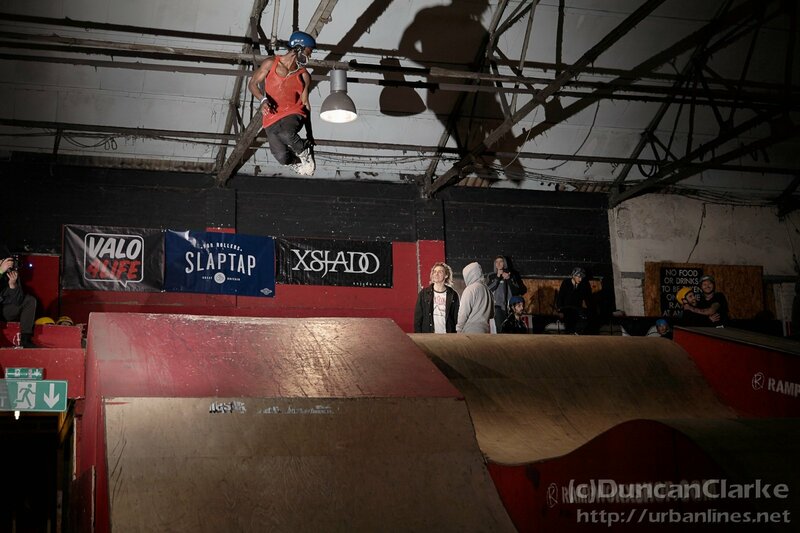 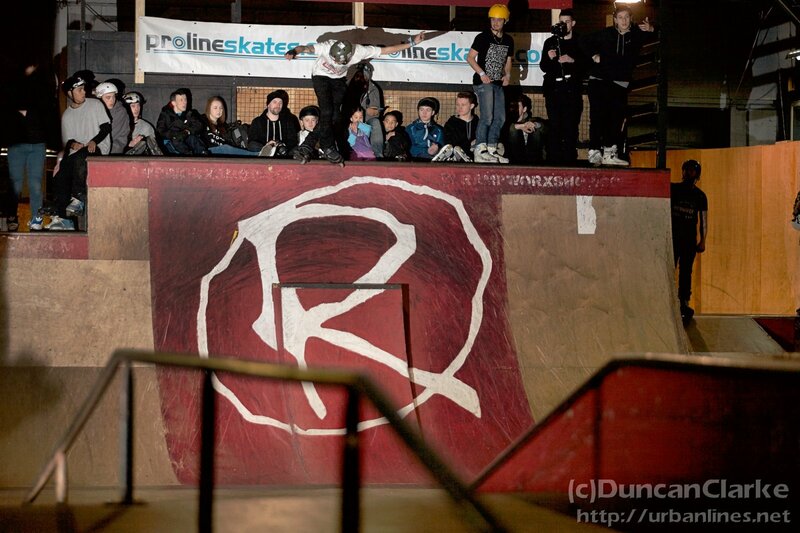 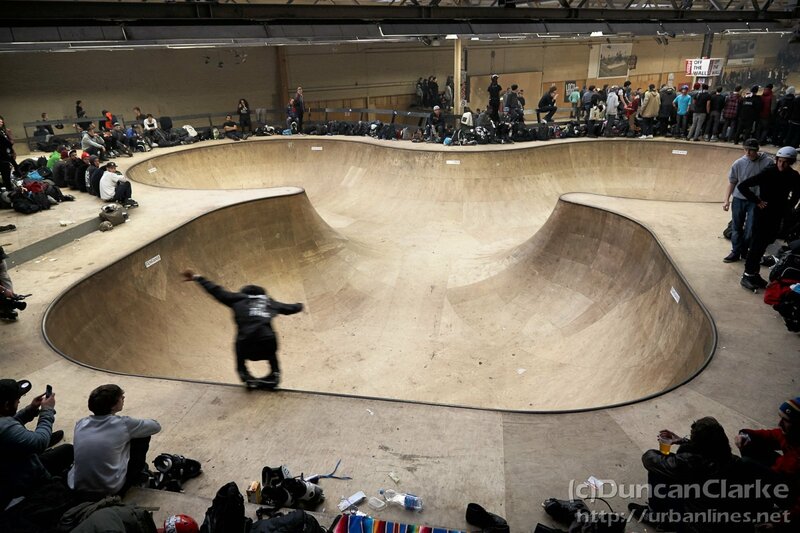 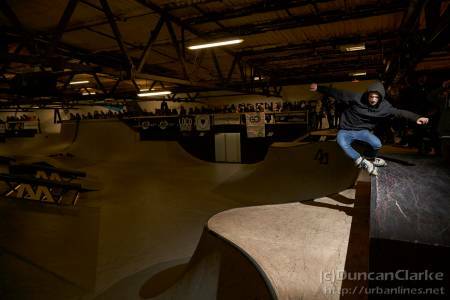 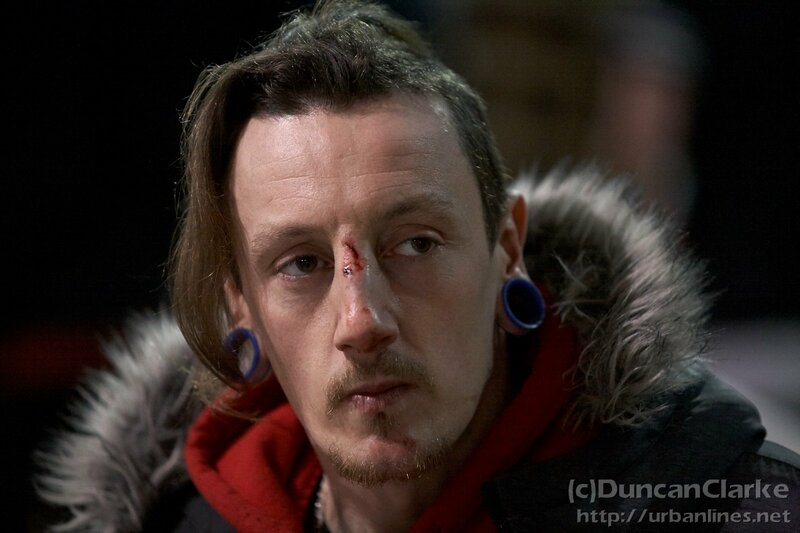 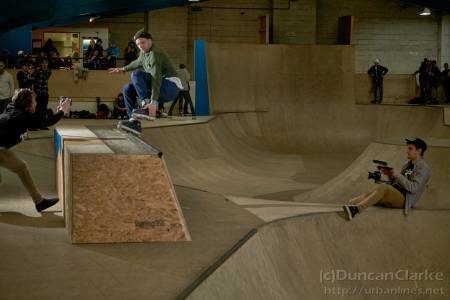 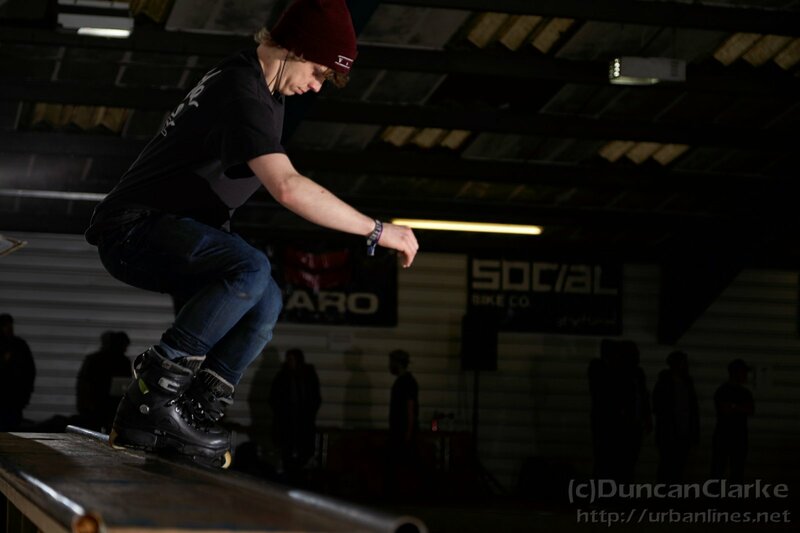 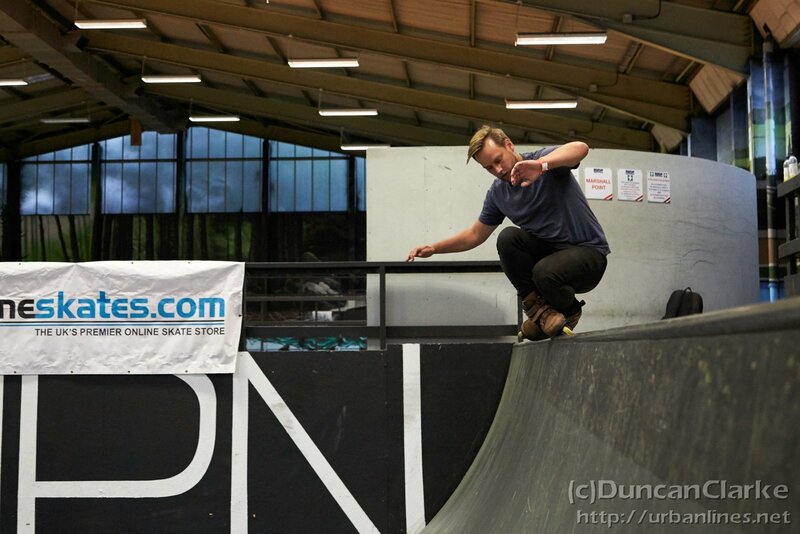 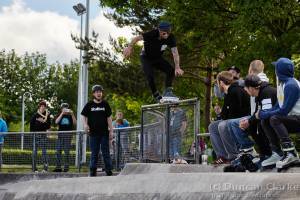 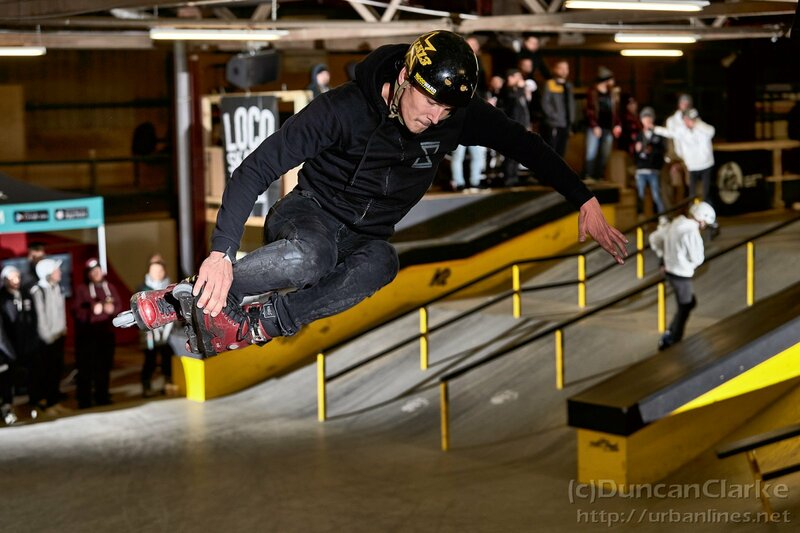 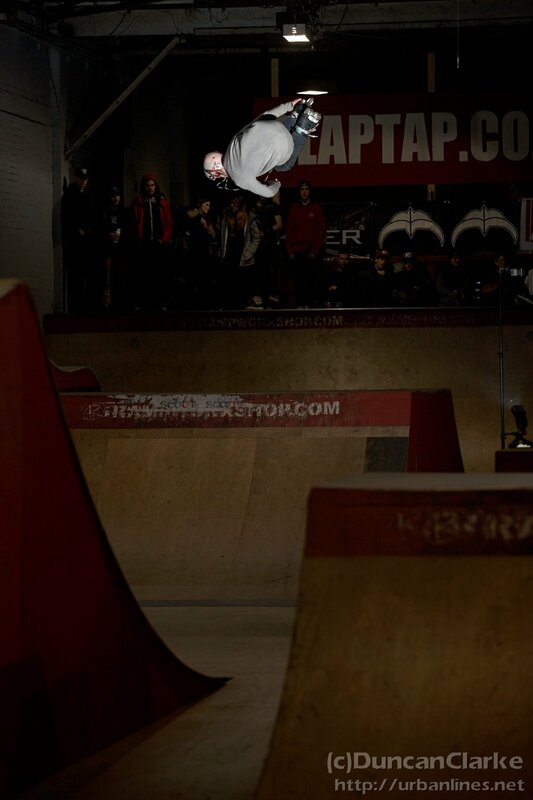 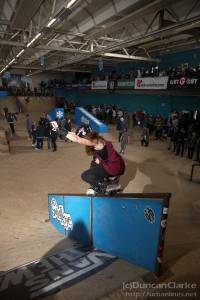 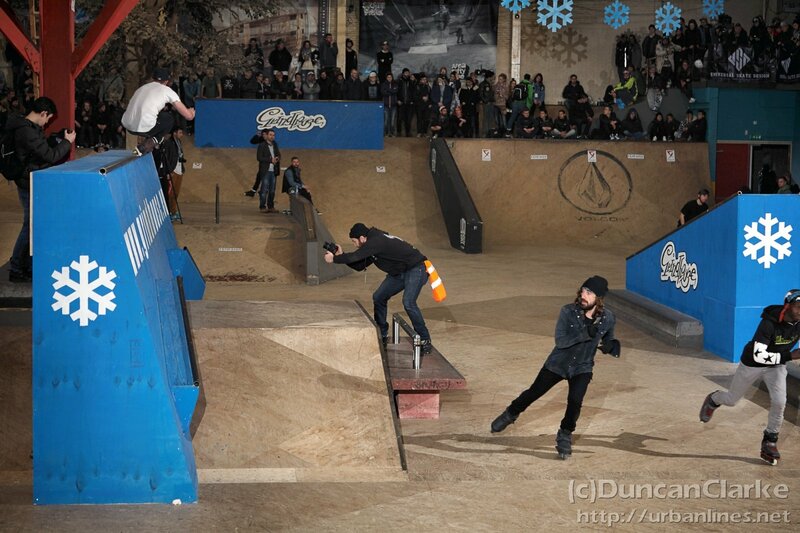 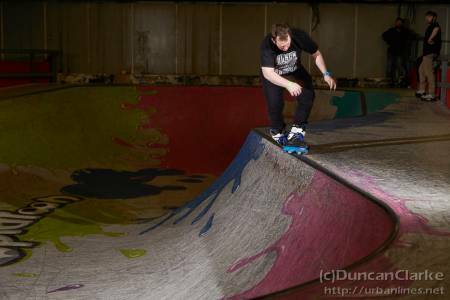 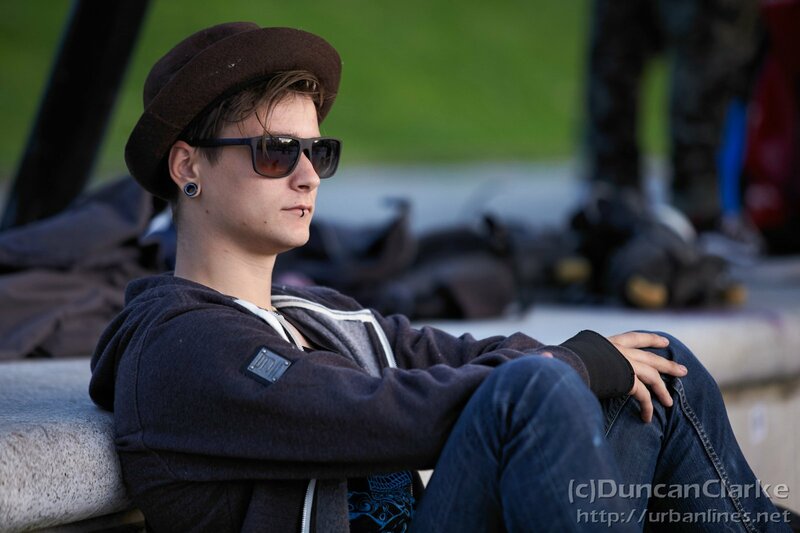 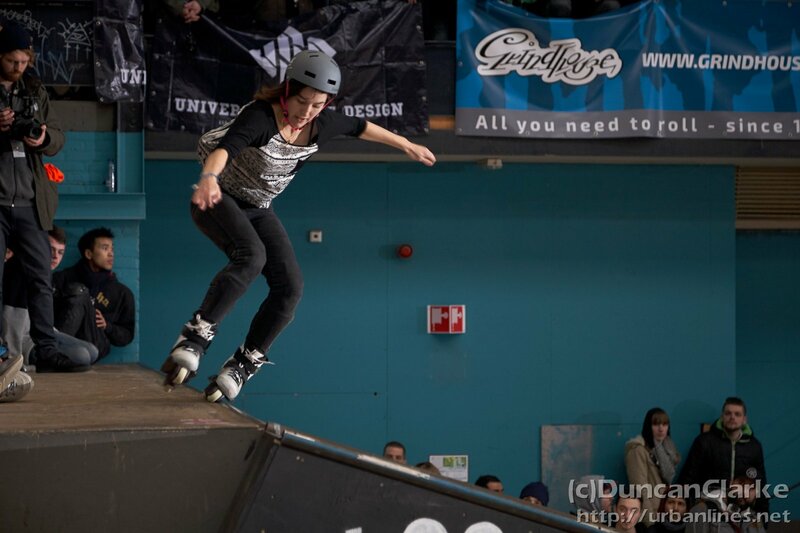 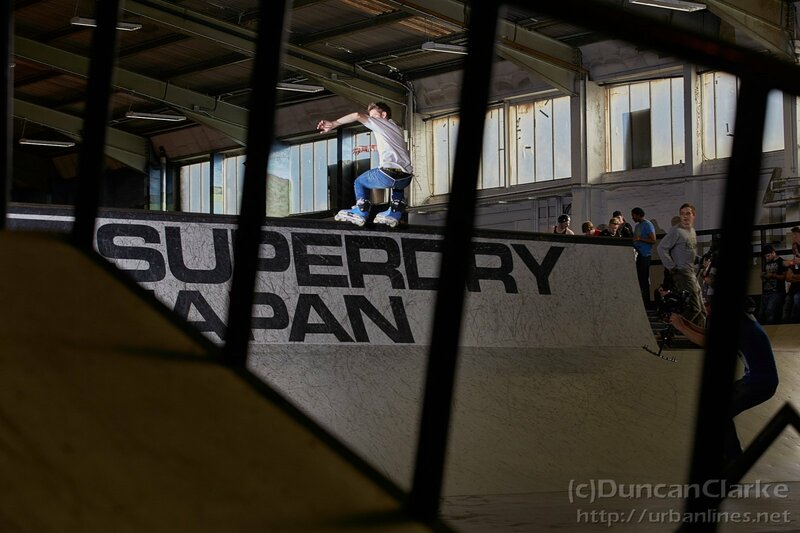 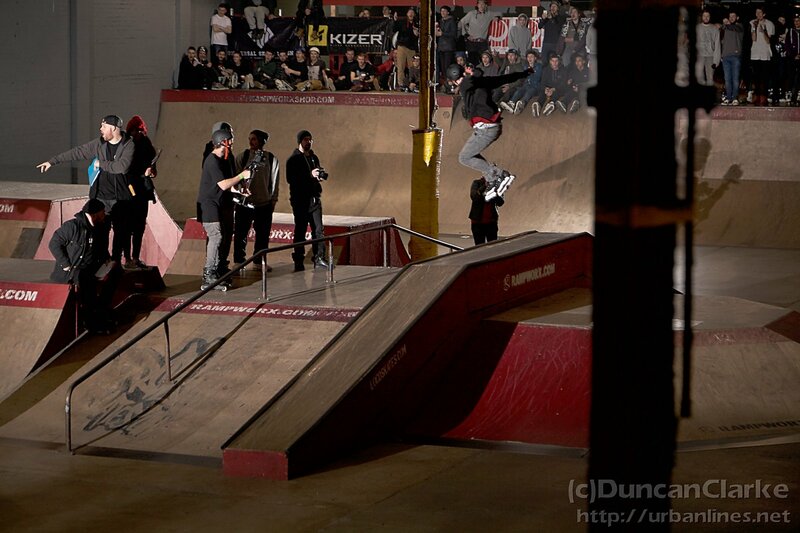 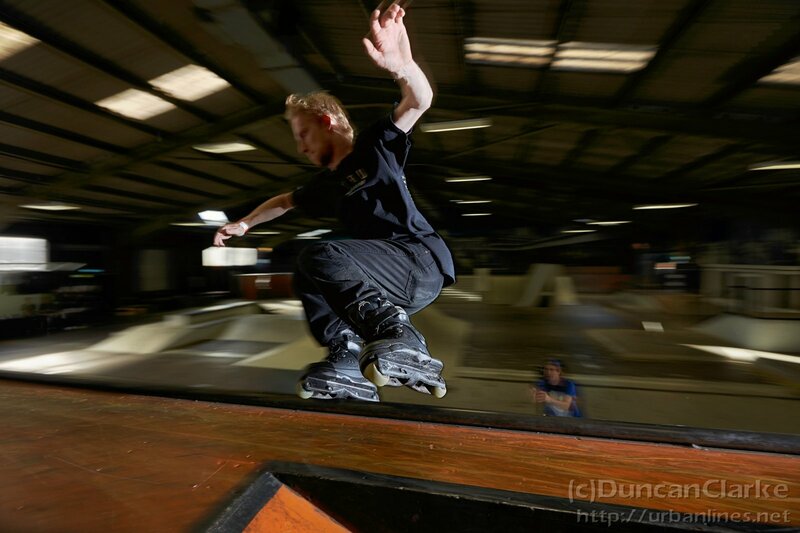 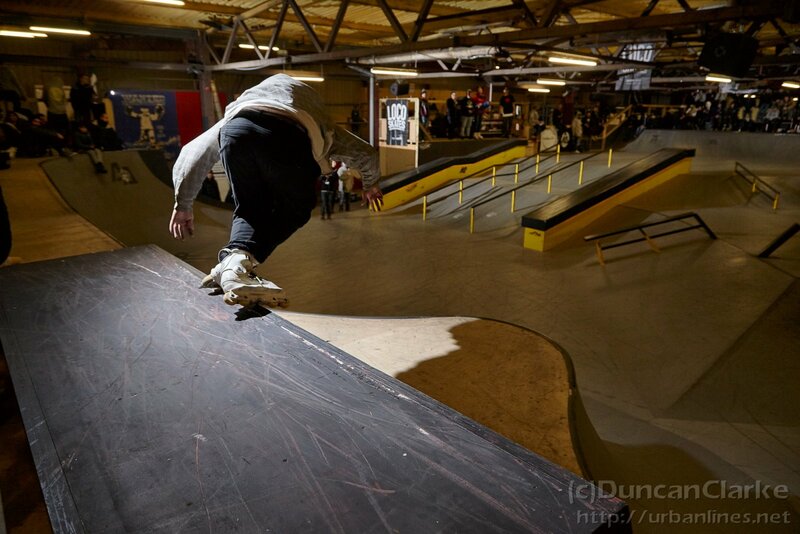 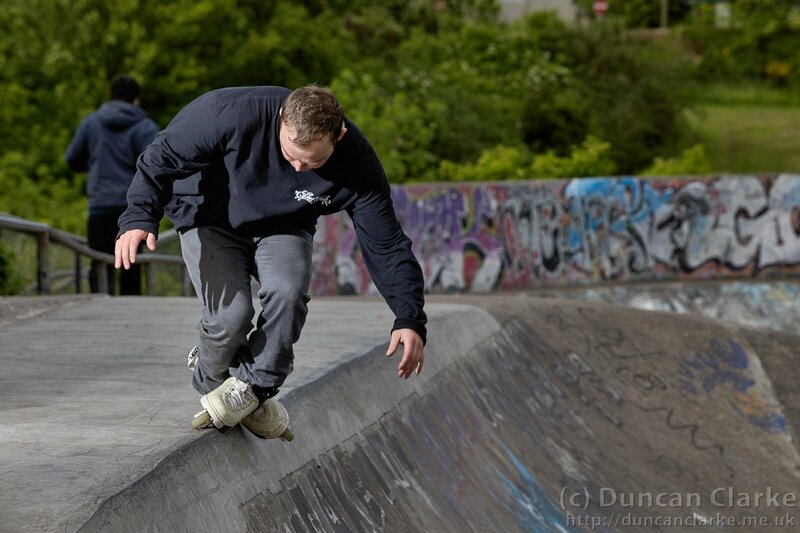 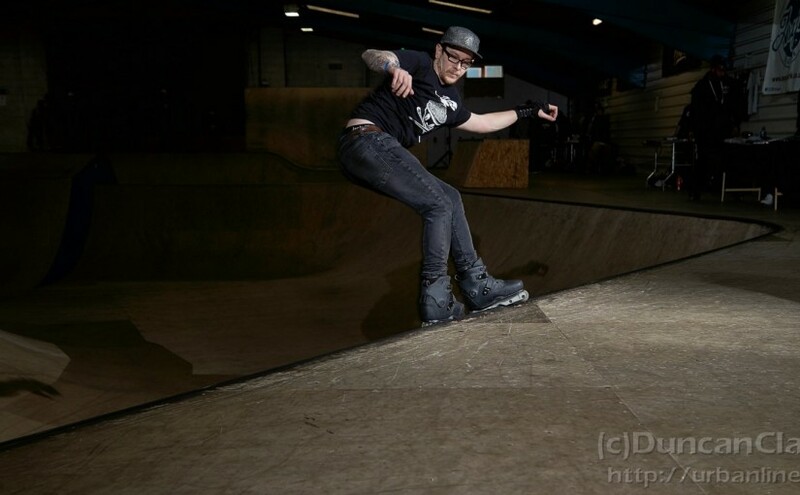 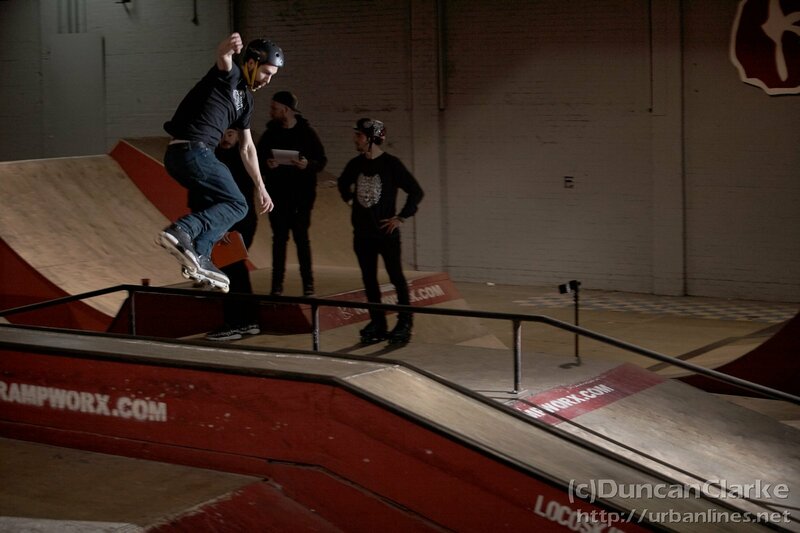 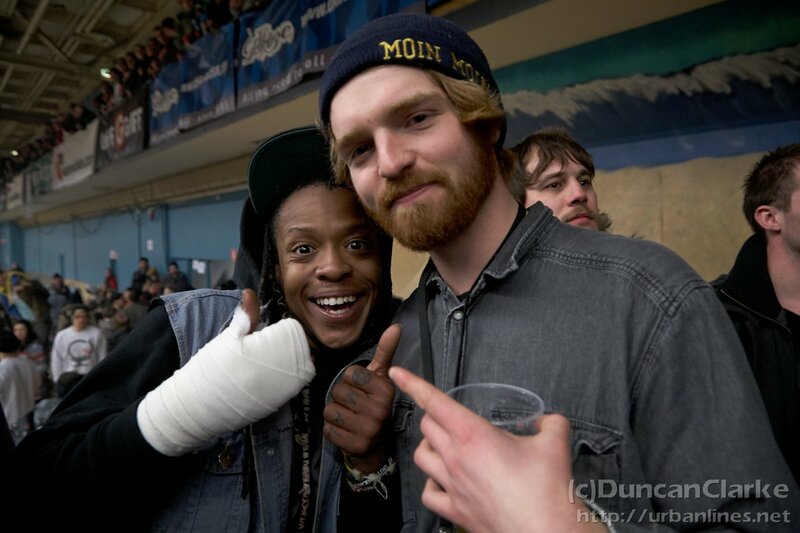 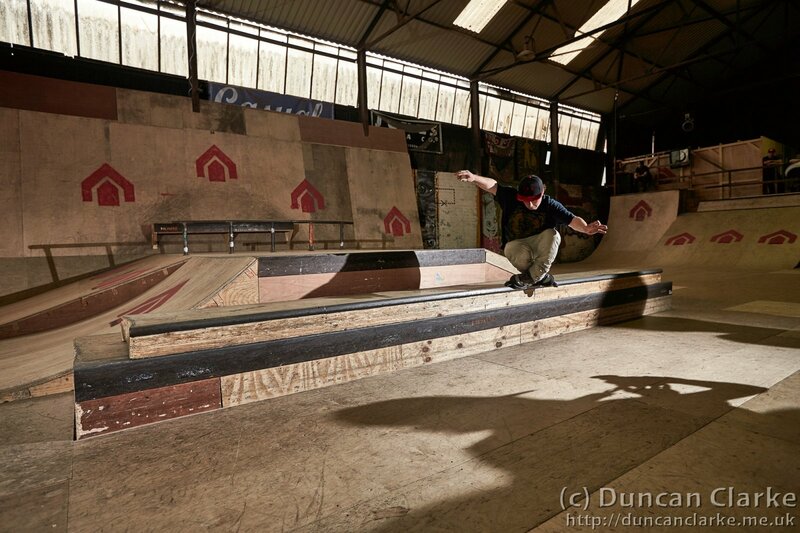 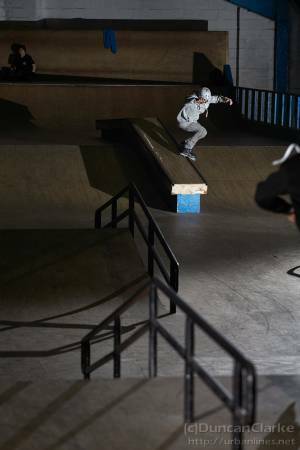 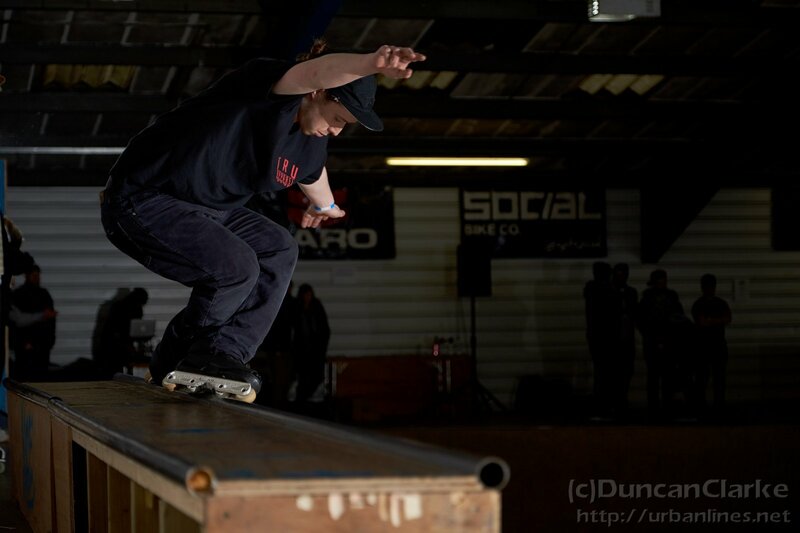 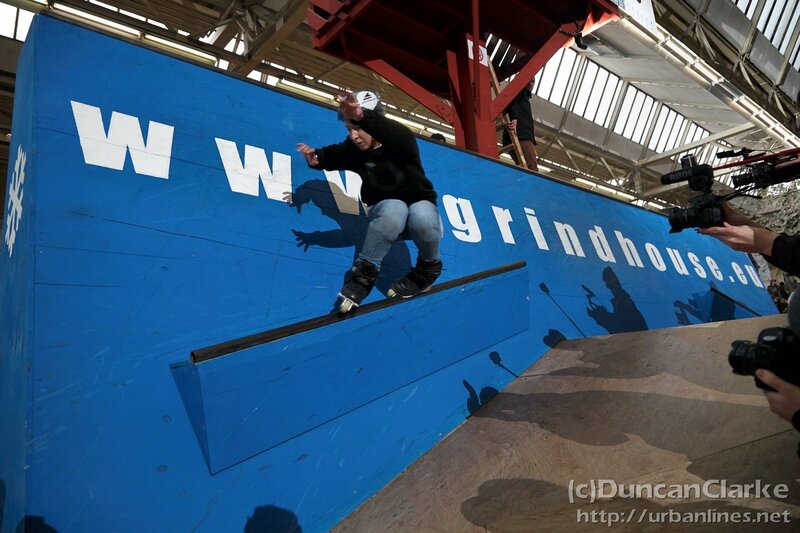 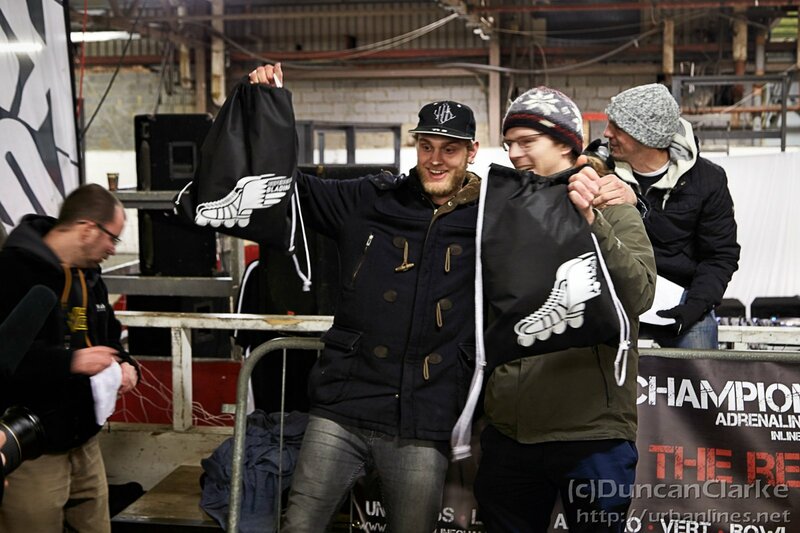 Held at The Asylum Skatepark in Huthwaite, Nottinghamshire there were visitors from all over the UK and beyond. 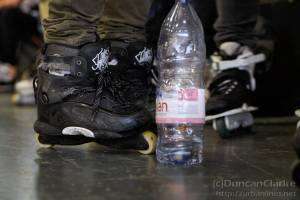 What I was glad to see was the skaters that turned up just to enjoy the day and the competition was the excuse to come down, not the reason. 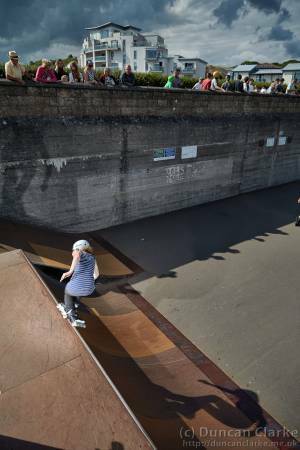 So many skaters old and new just skating to have fun at an amazing park with so many lines. 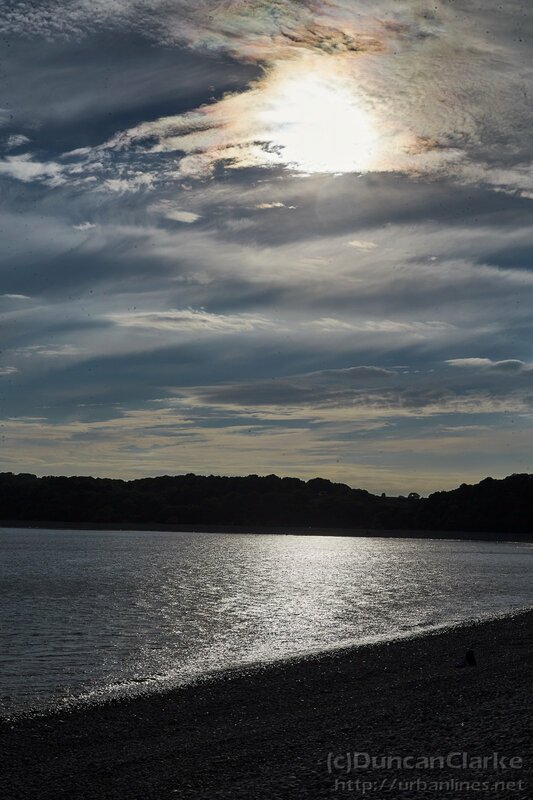 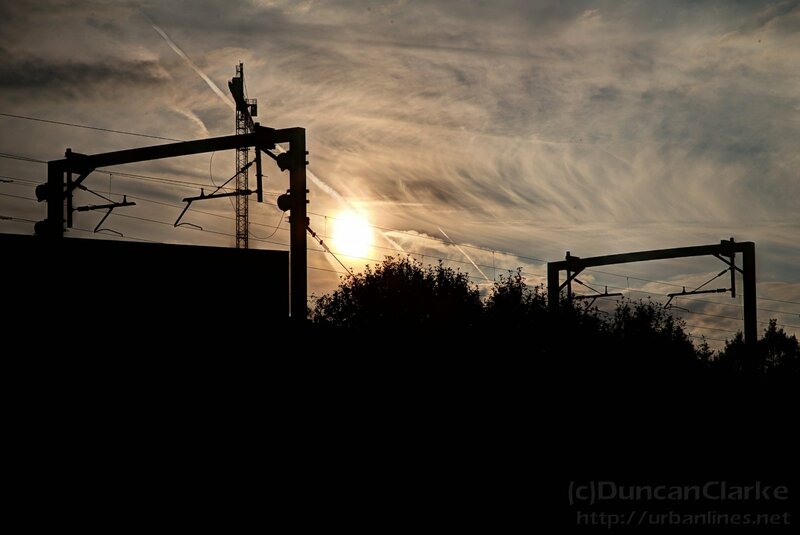 Well, as usual I had the camera out so took some shots. 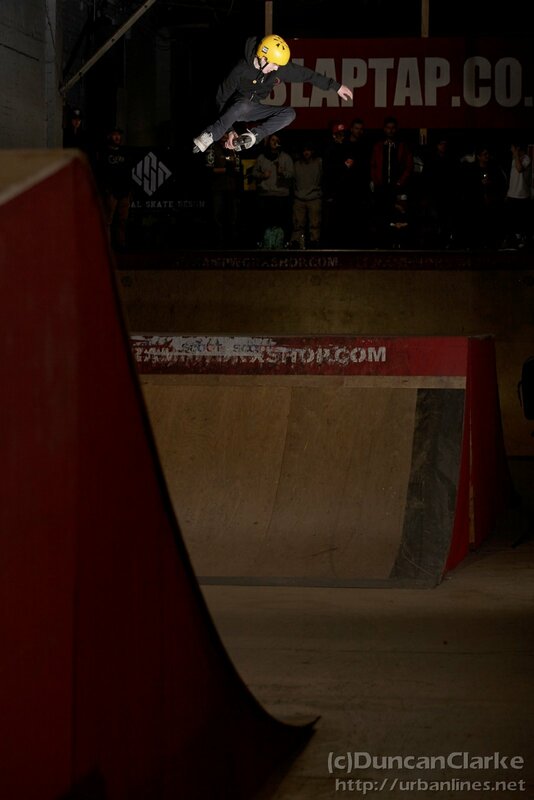 I also grabbed a handful of clips and if I put together a few of them into a mini edit I’ll add that below too. 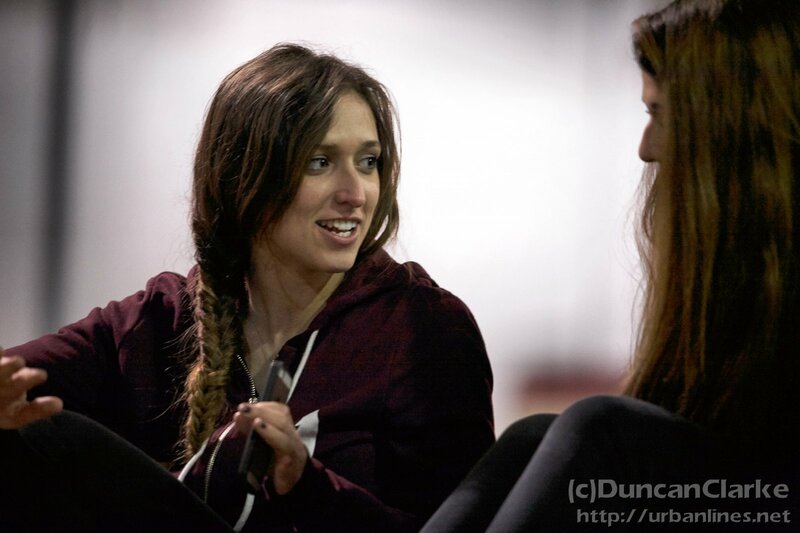 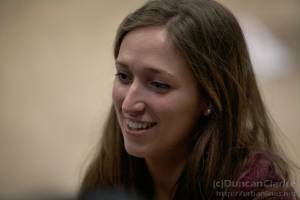 Just a few shots from the big session and competition down in Corby. 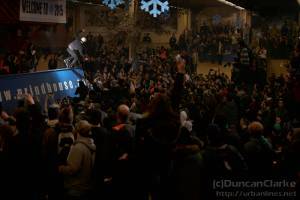 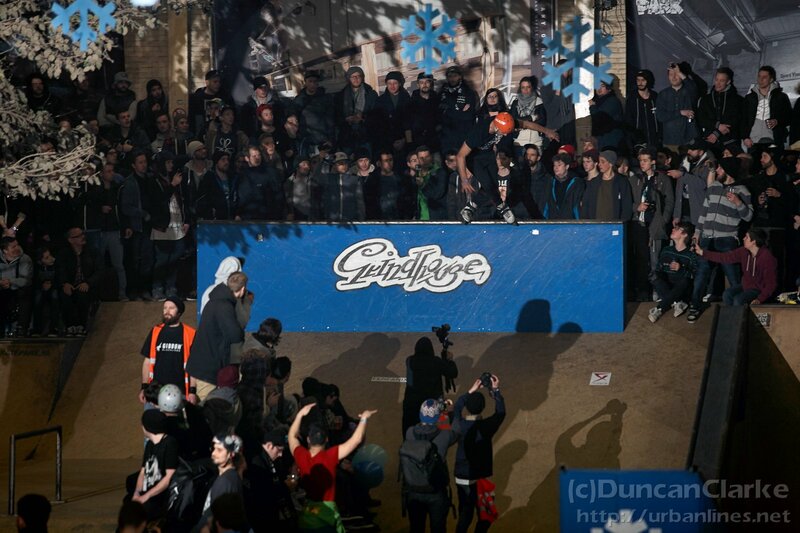 Great to see so many skaters and spectators turn up for an event in the middle of winter. 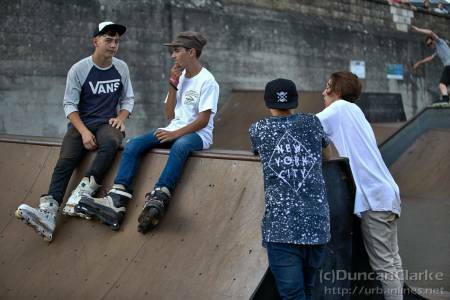 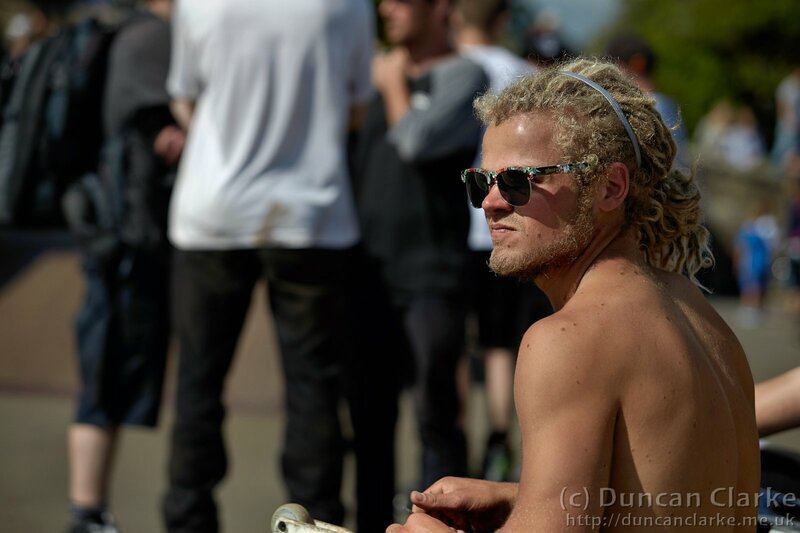 Another great day “Down South” at the Rush Skate Park with a few chill friends and rollers. 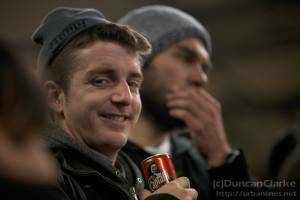 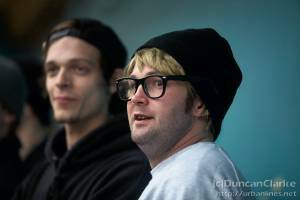 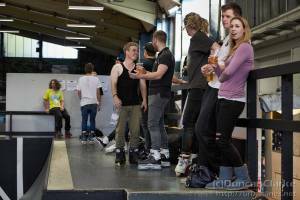 Good food, great beer and some top draw skating were all in attendance again this year. 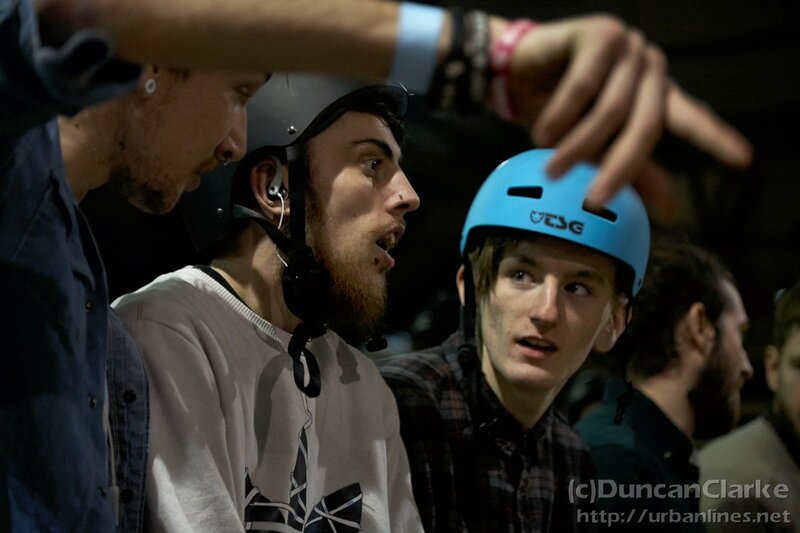 The pro and am were combined and it resulted in a mad session. 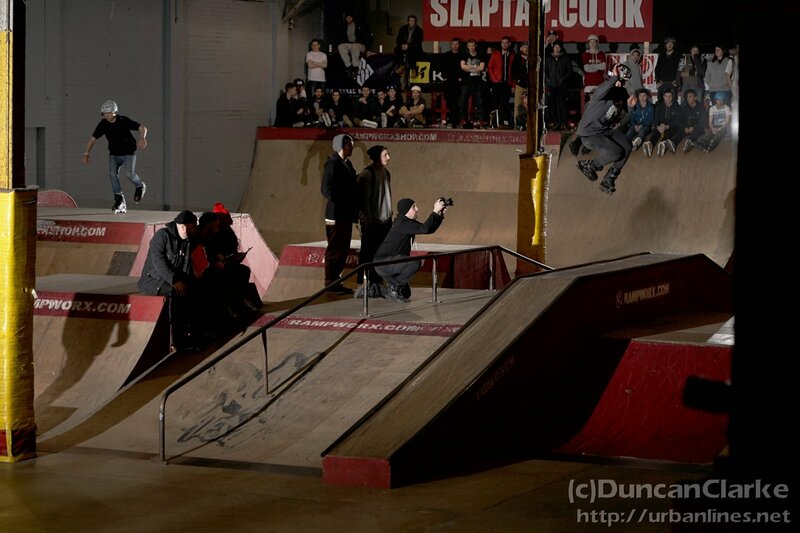 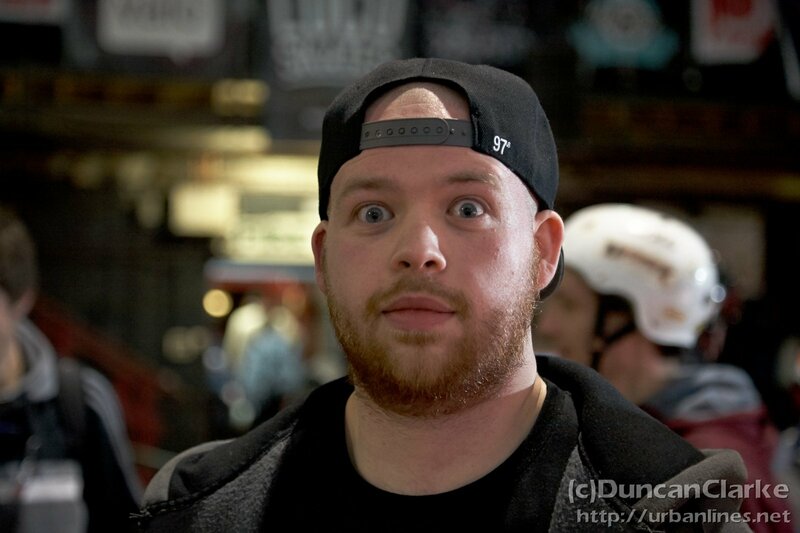 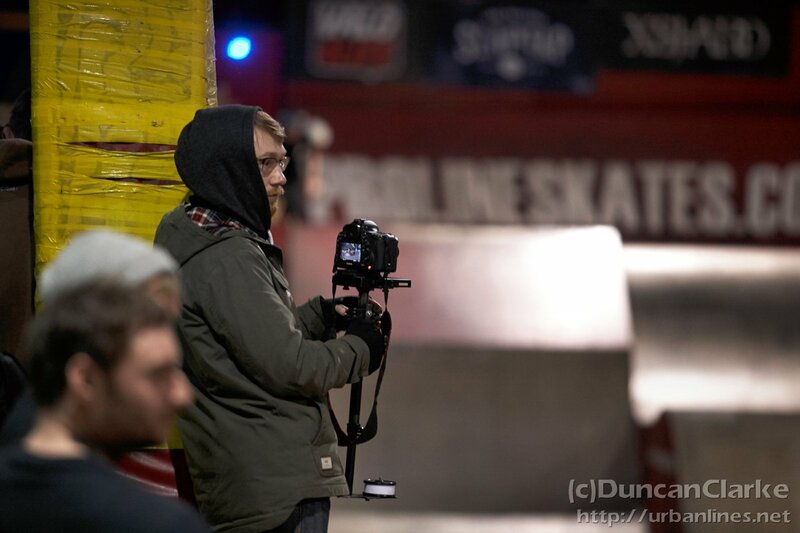 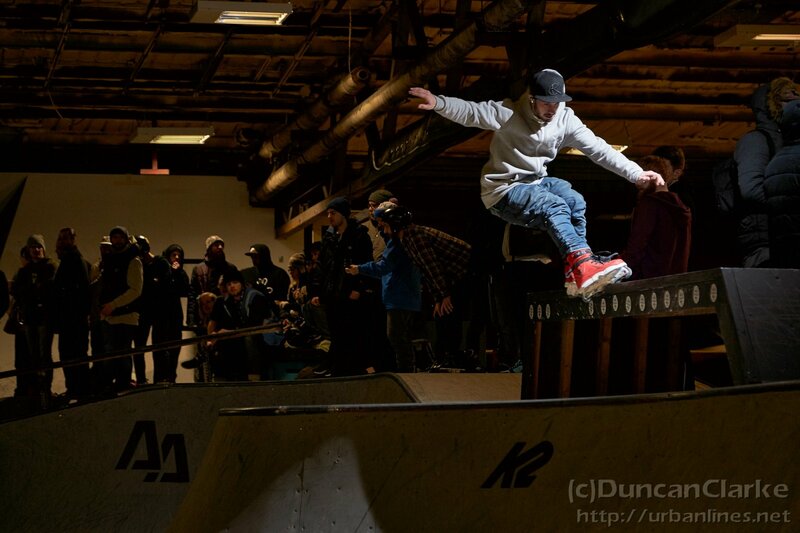 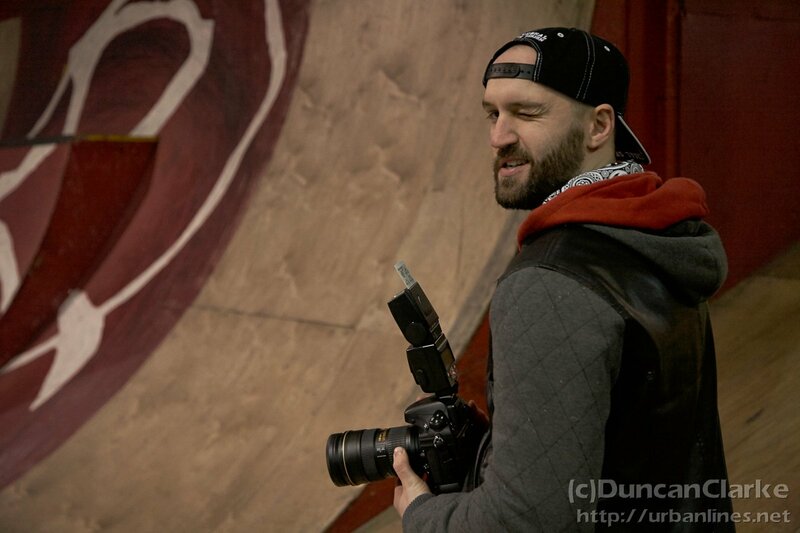 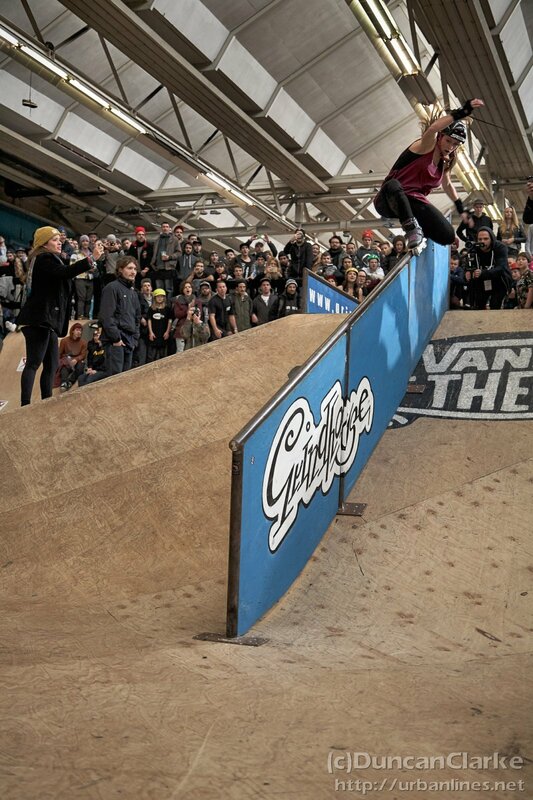 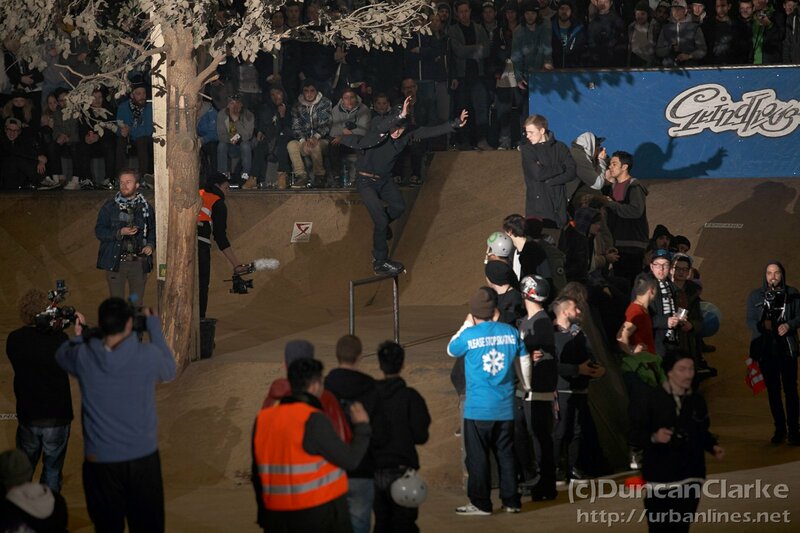 I didn’t get many shots at the Jam this year so you’ll have to take my word that it was the biggest and best yet. 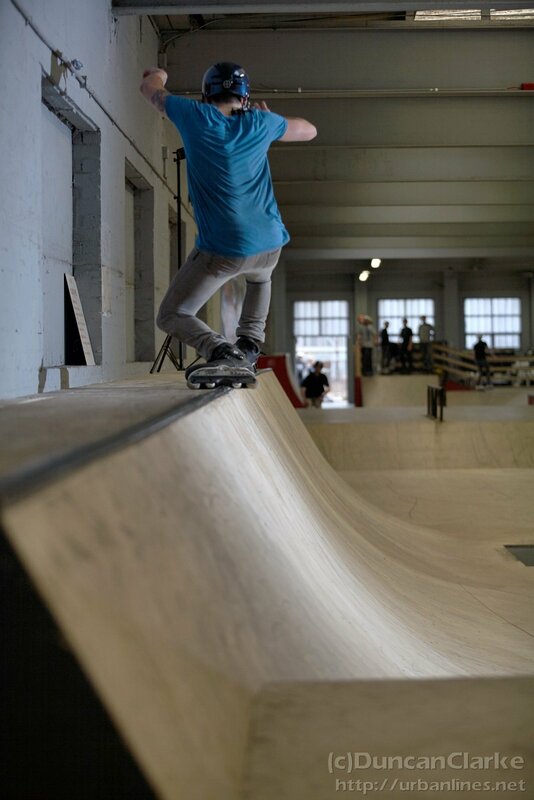 Great weather, amazing people and serious skating. 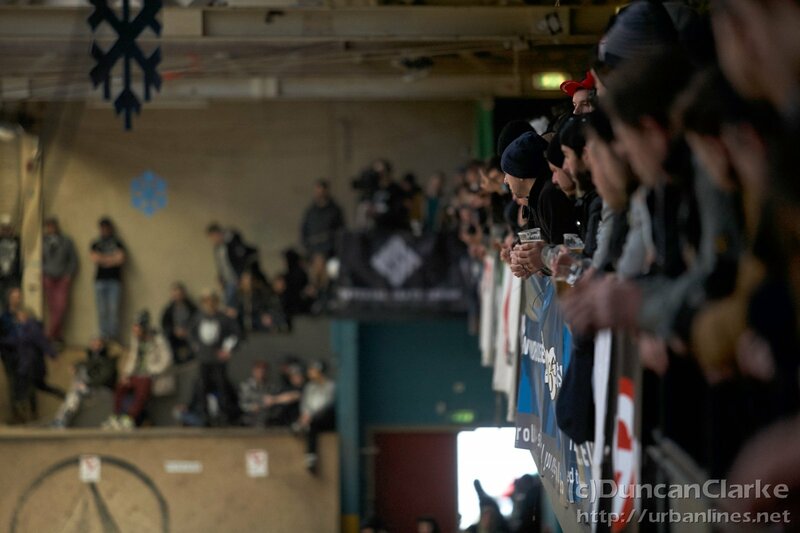 The best atmosphere you can get when sessioning. 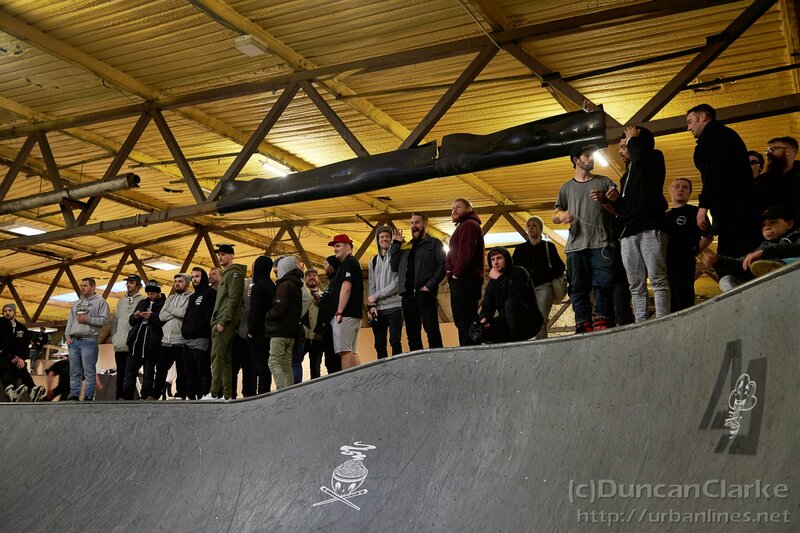 just a crowd of friends meeting up for good times and to share times with the best company. 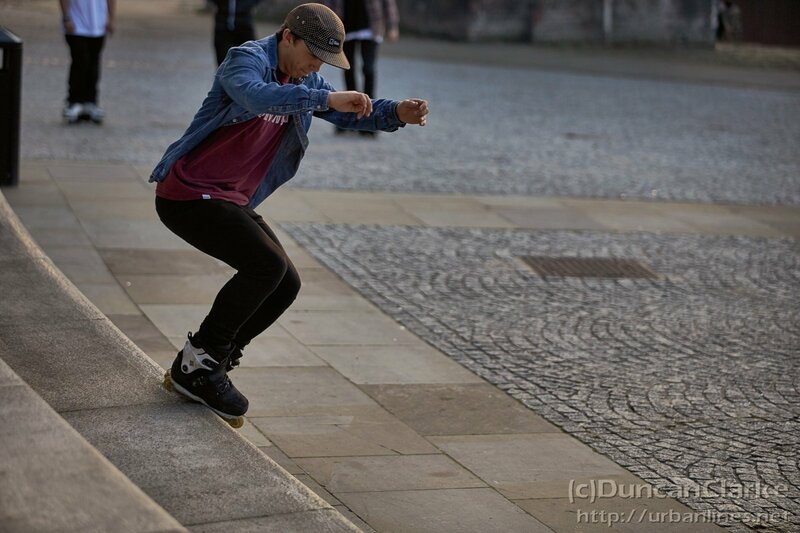 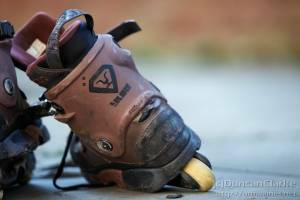 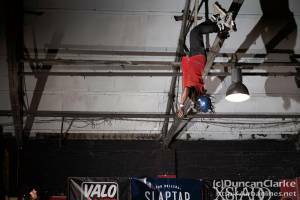 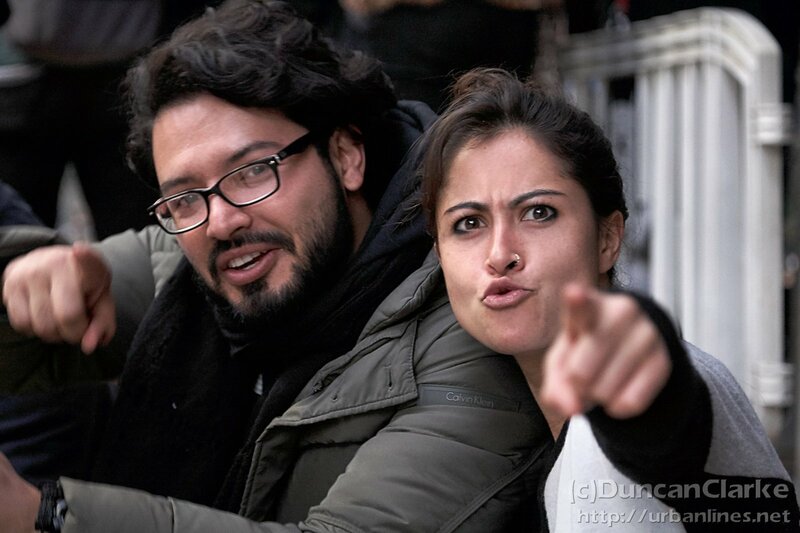 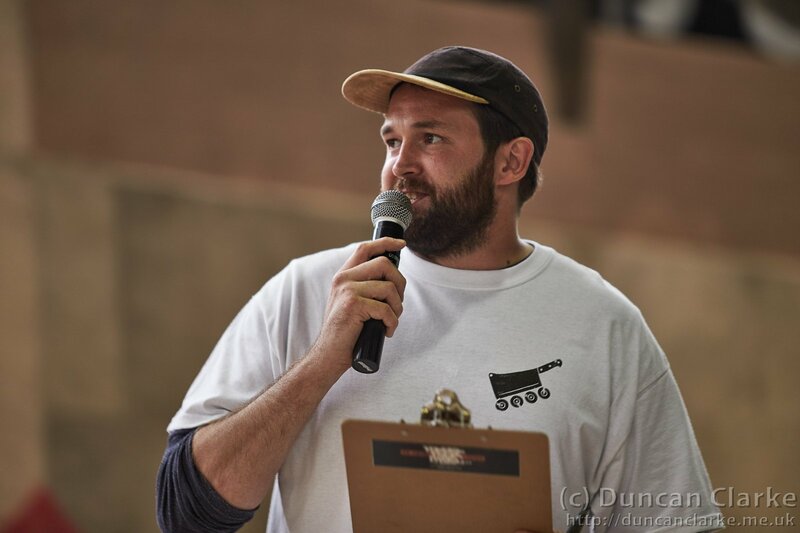 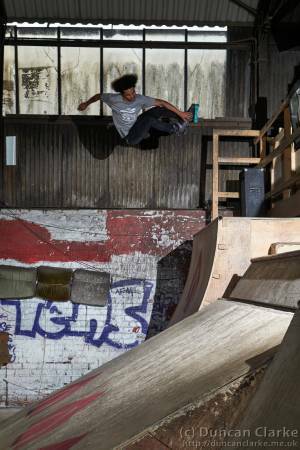 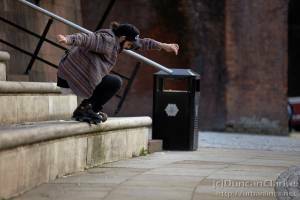 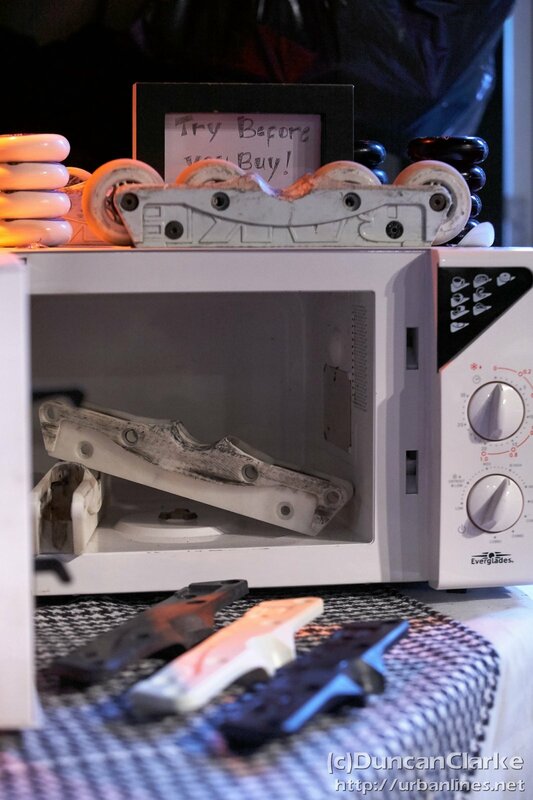 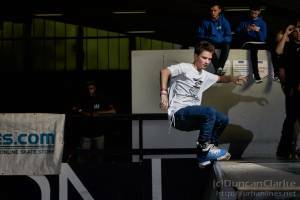 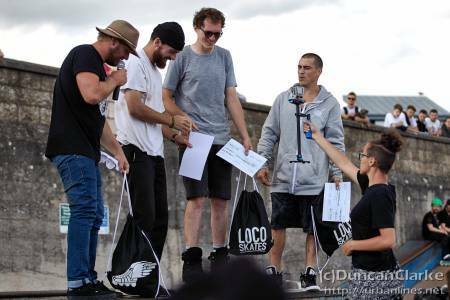 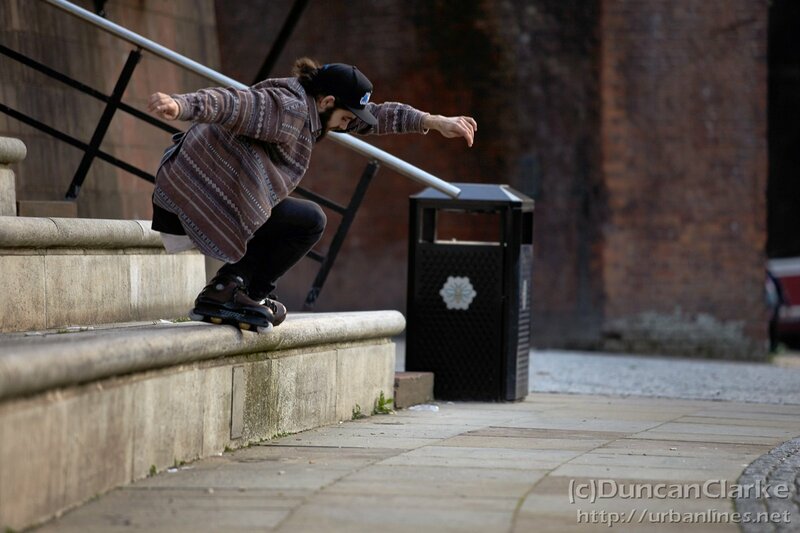 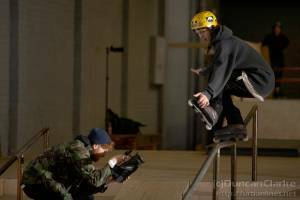 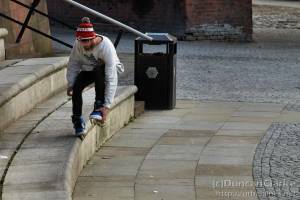 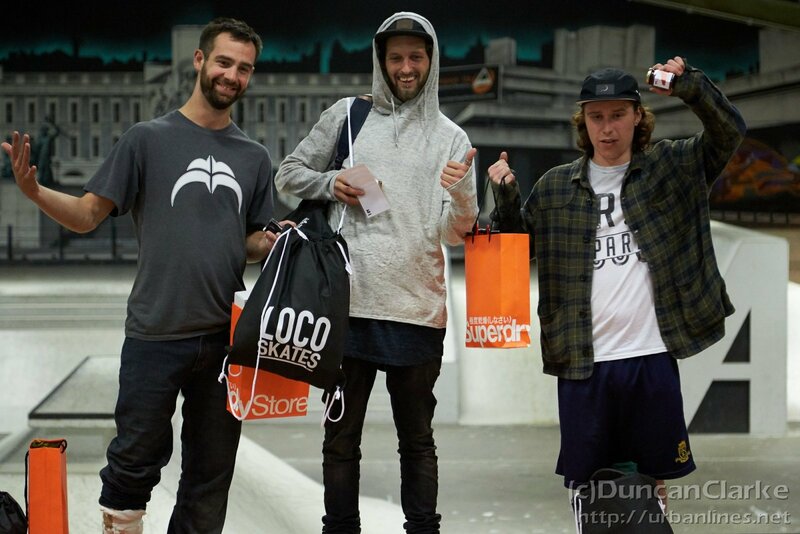 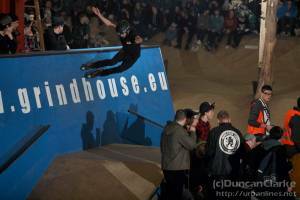 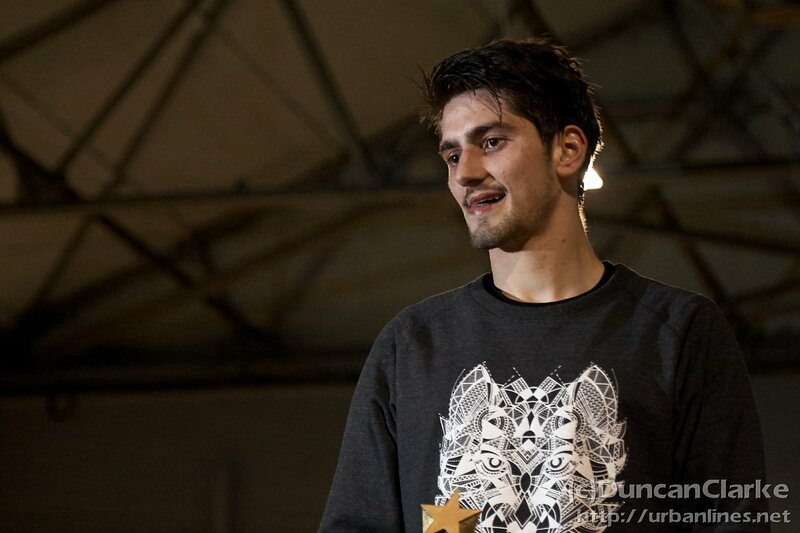 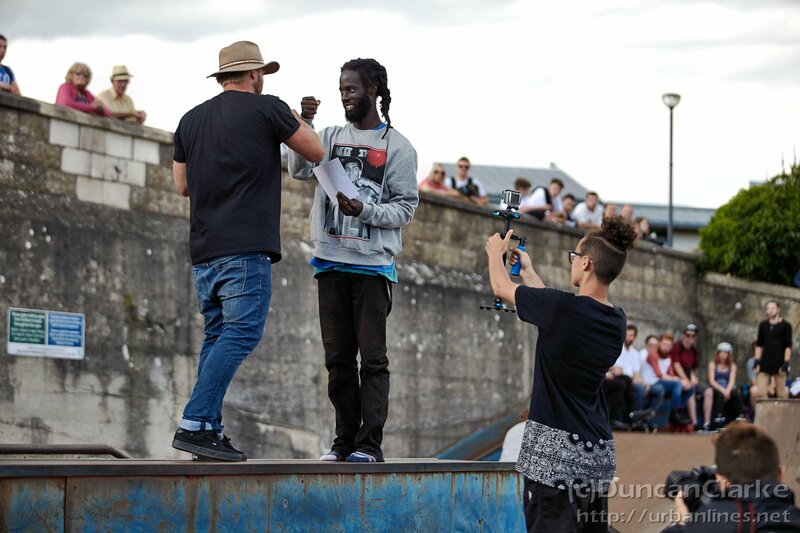 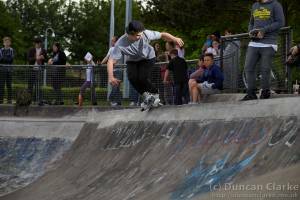 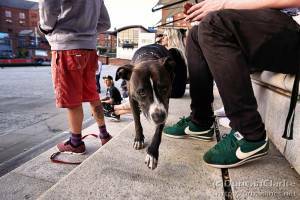 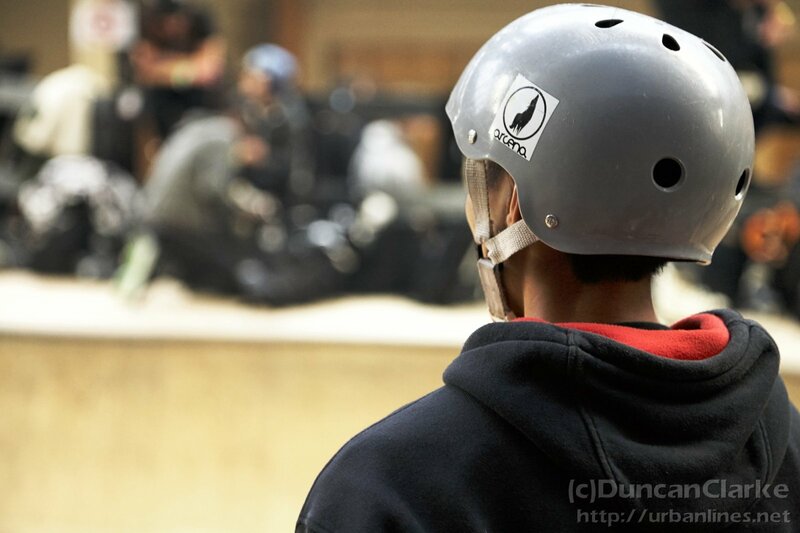 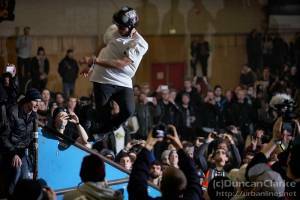 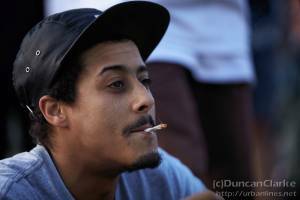 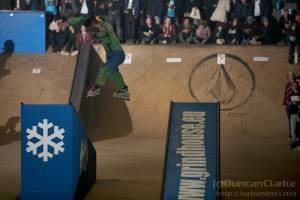 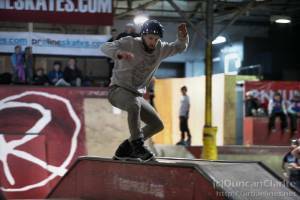 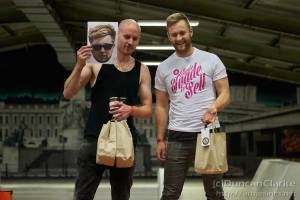 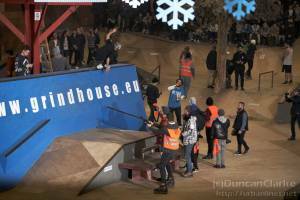 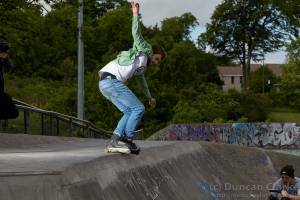 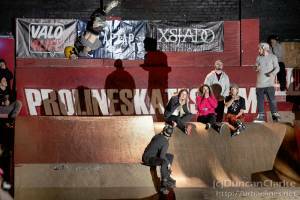 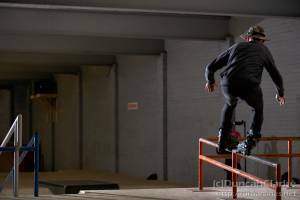 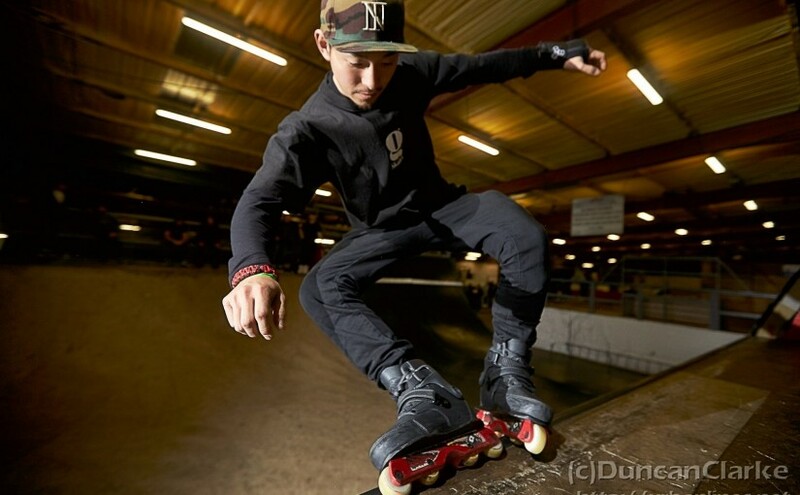 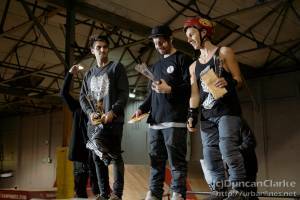 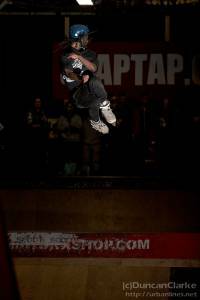 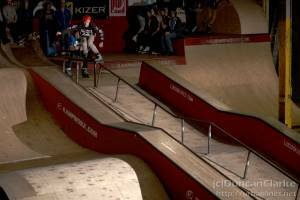 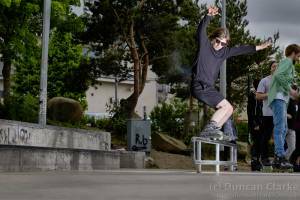 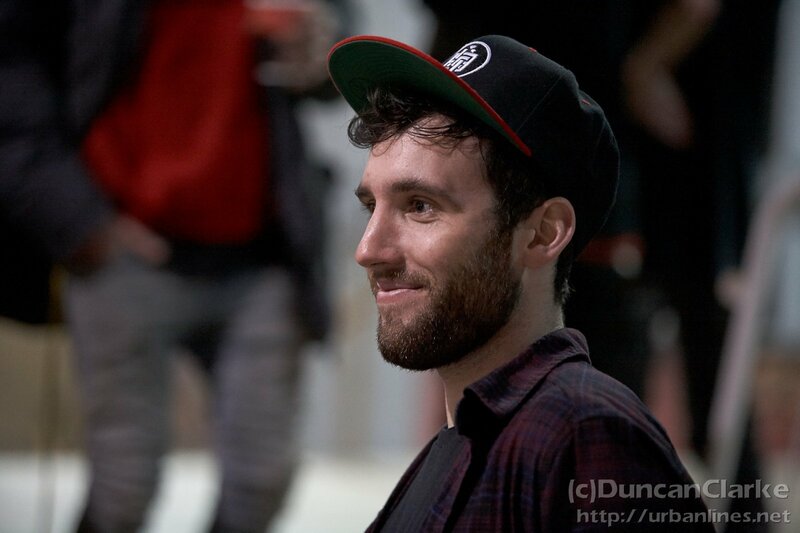 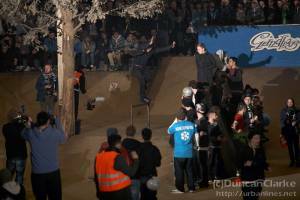 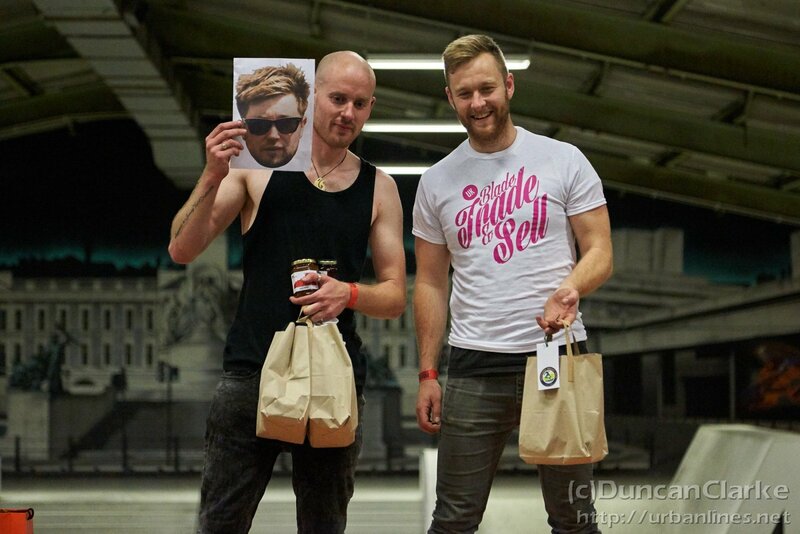 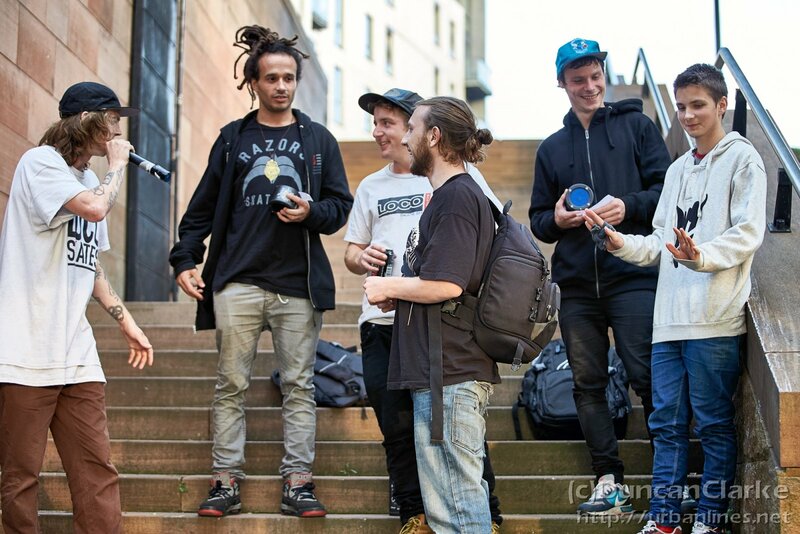 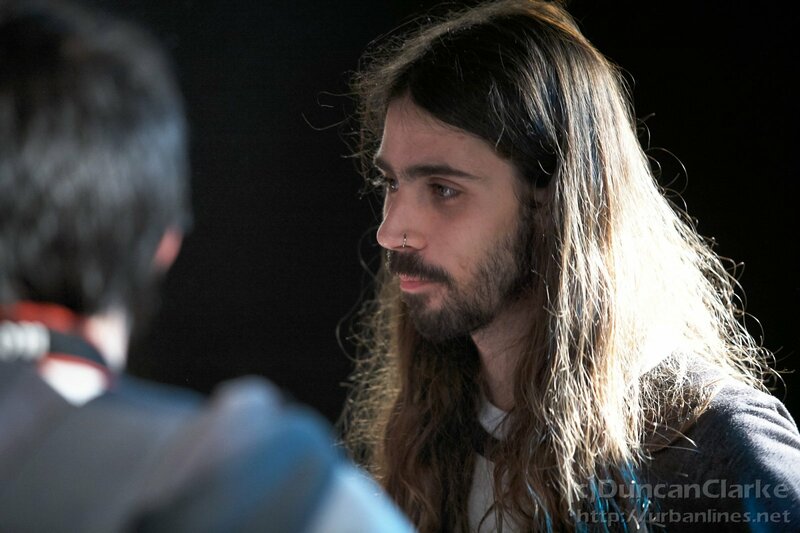 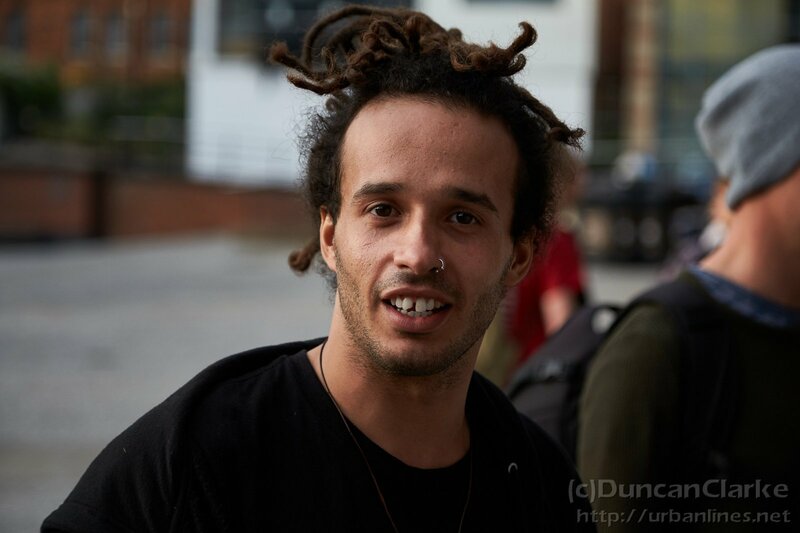 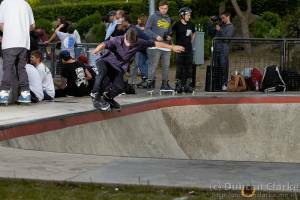 1st – Yuri Botelho – LocoSkates £100 prize plus more! 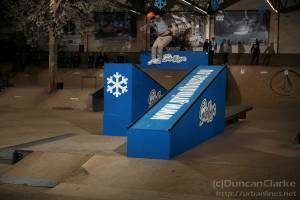 2nd – Dave Mutschall – nuff stuff! 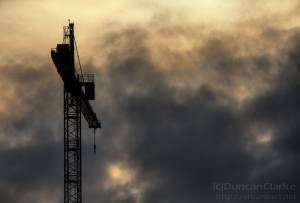 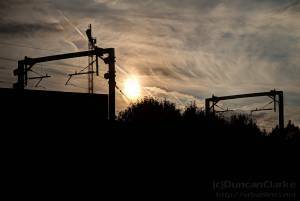 3rd – Dan Collins – more stuff! 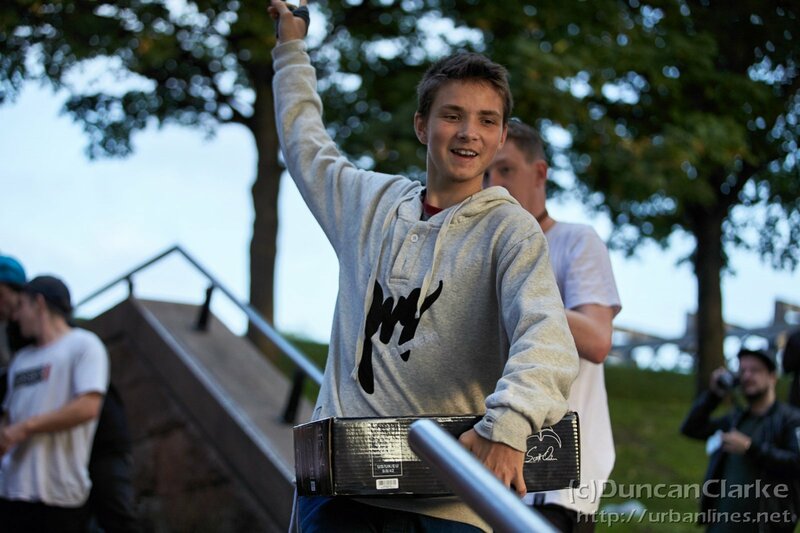 Special prize goes to Niko Salaman for smashing it! 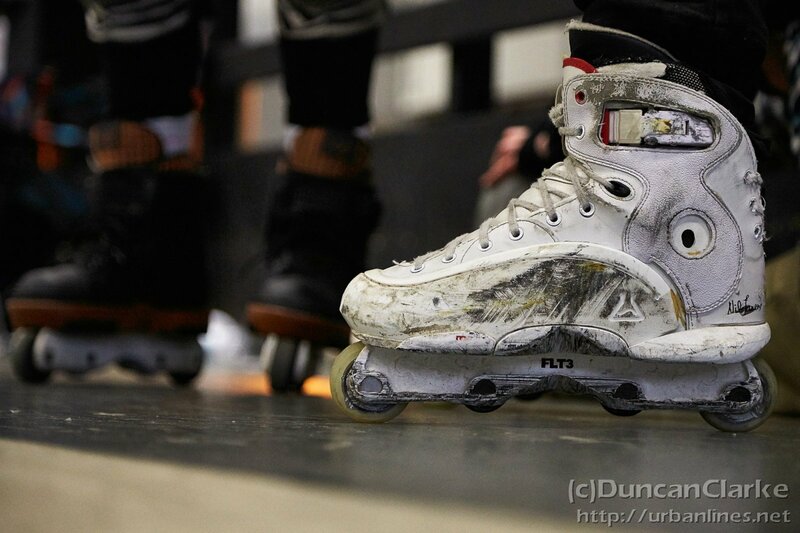 Pair of Razors Scott Quinn signature pro skate. 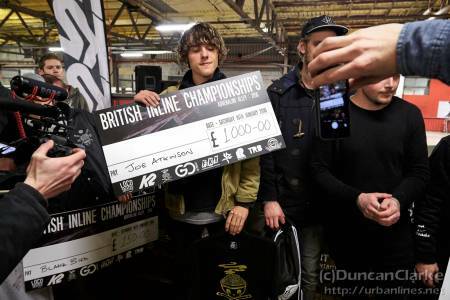 James Keyte special prize, a palm sized tattoo from Tatt Studioix Manchester! Thanks again to Alex, Scott, Lemon, Jam, the Peters family for bringing the box and everyone who helped support, organise, and clear up after such an amazing event. 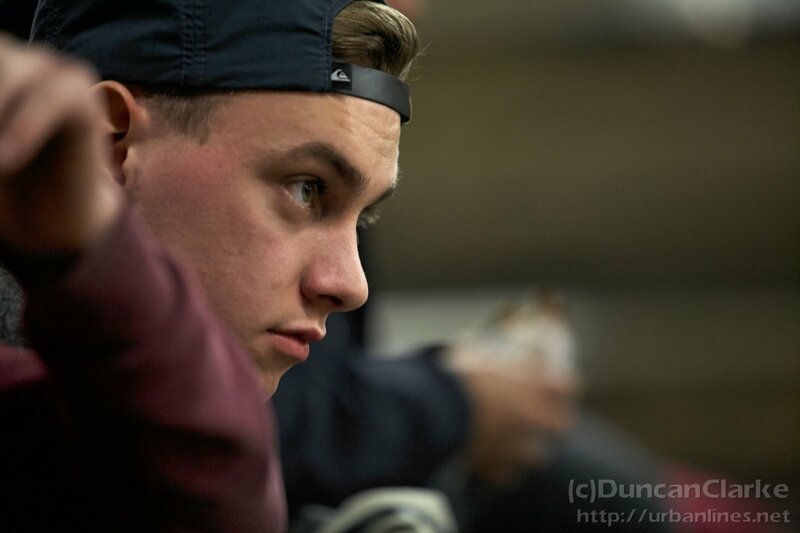 Still working through all of the photos I have amassed at the end of last month. I had also forgotten that I got shots from three days at Area 51, not just the two of Winterclash so the third instalment of the Dutch trilogy will be coming soon(ish). 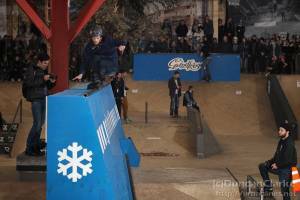 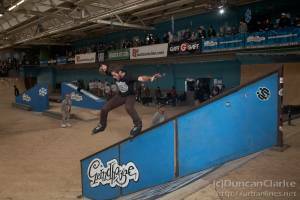 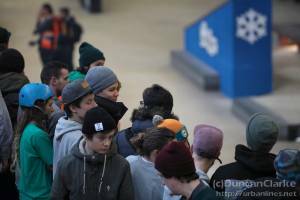 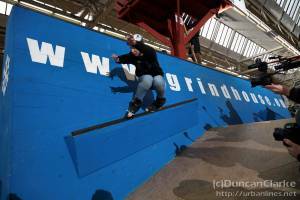 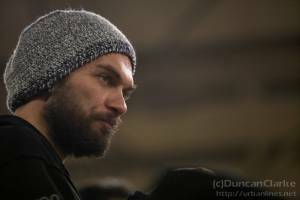 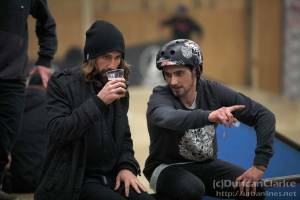 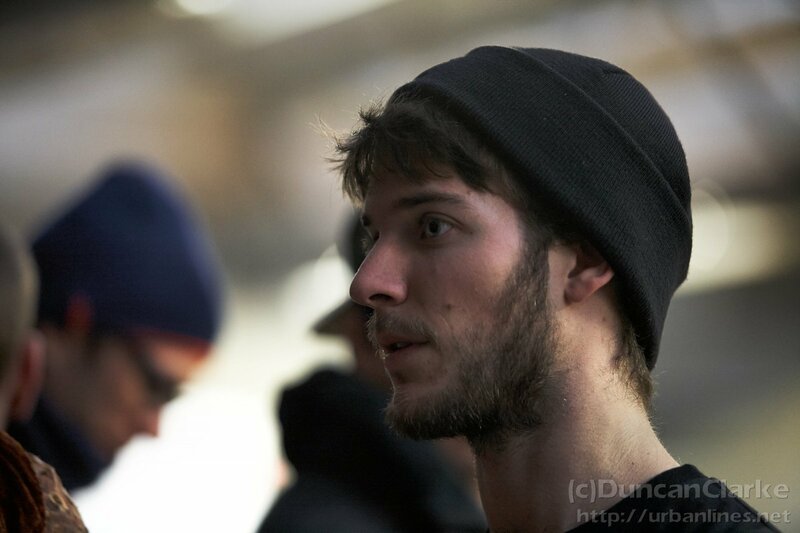 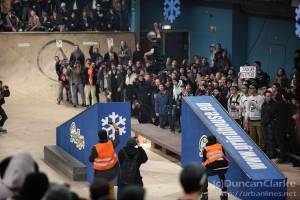 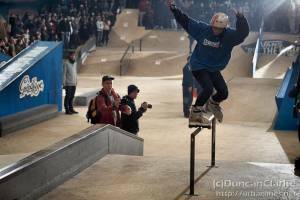 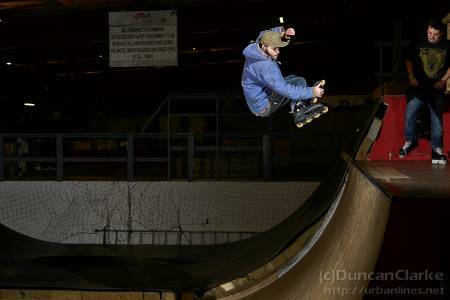 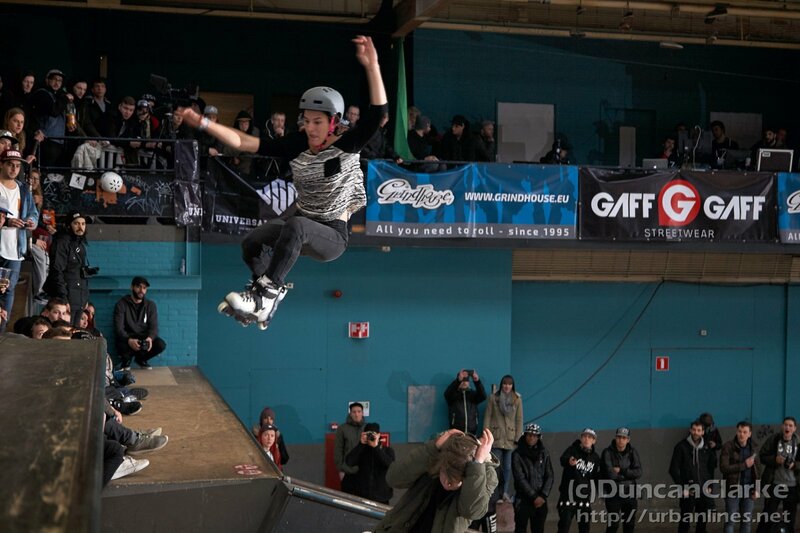 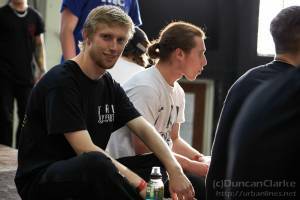 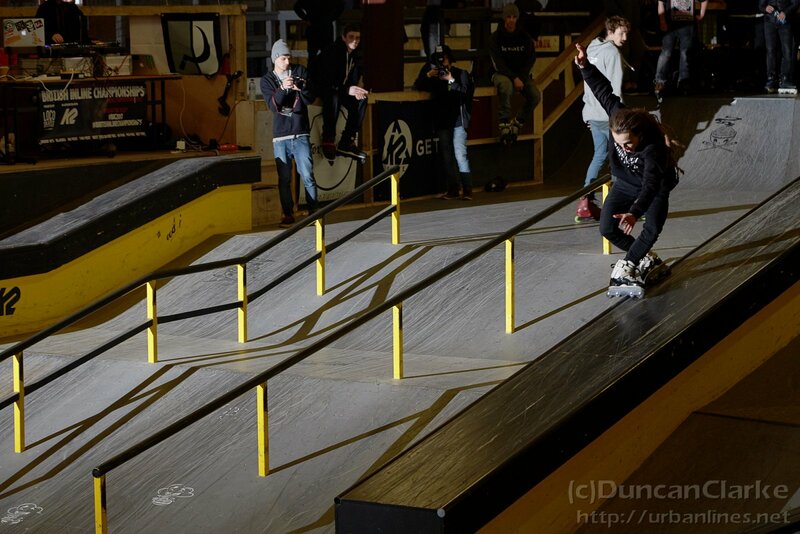 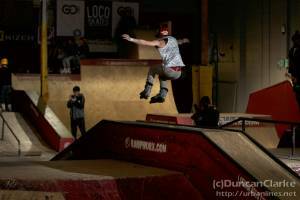 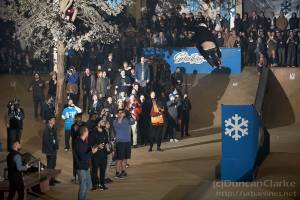 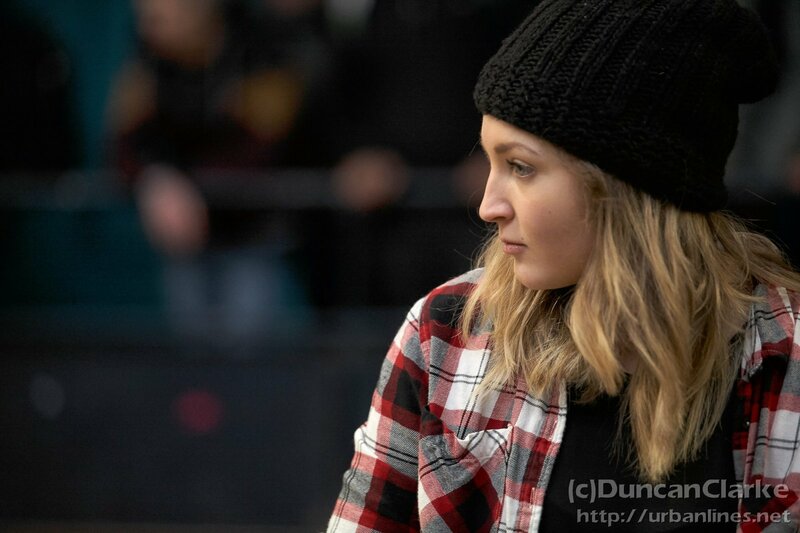 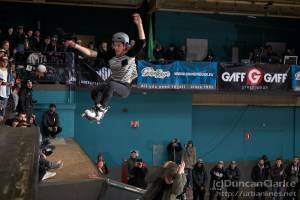 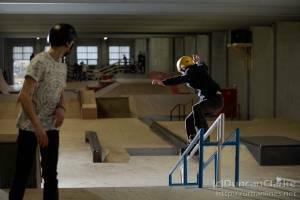 For now though, the second day of skating in Eindhoven for Winterclash 2015.